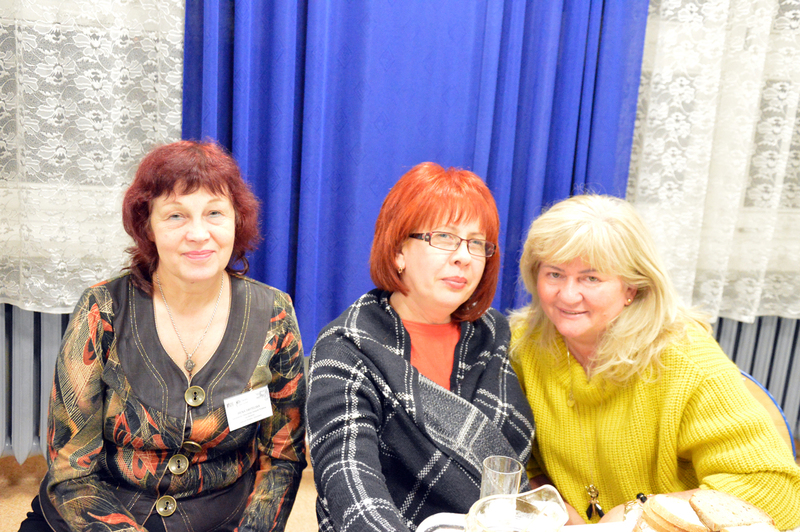 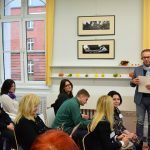 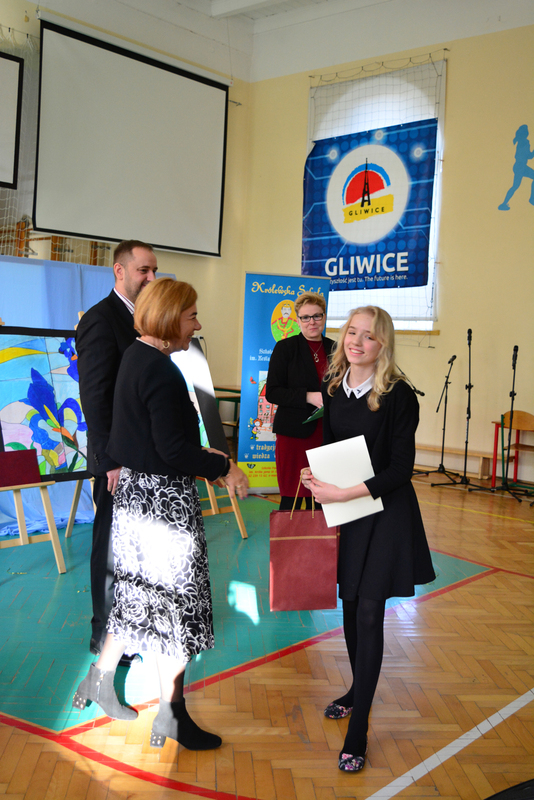 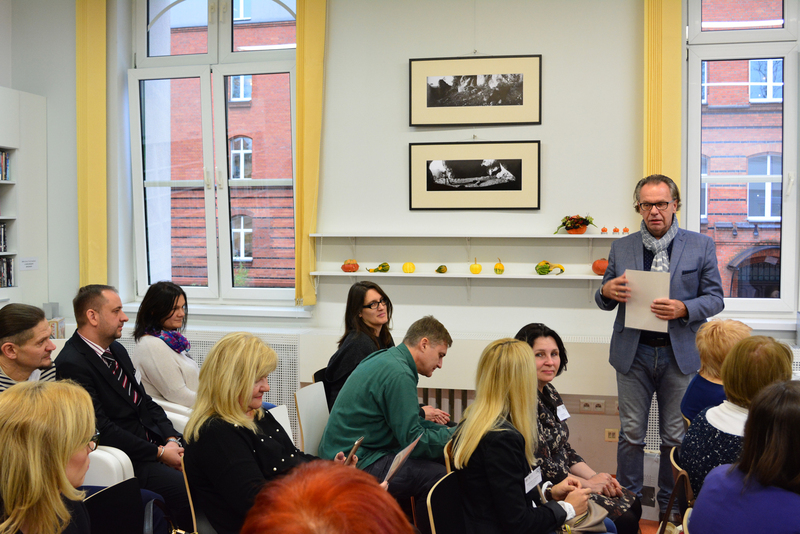 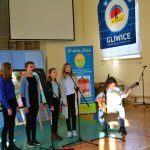 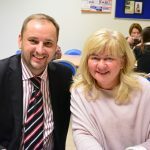 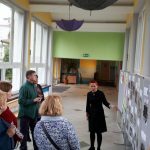 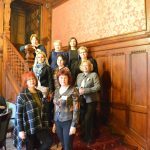 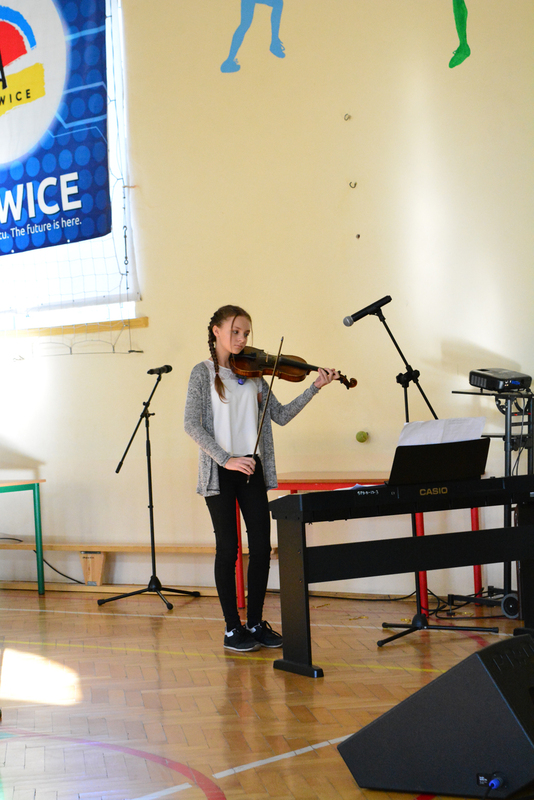 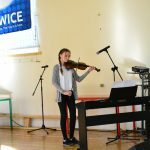 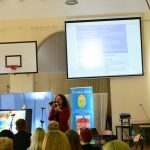 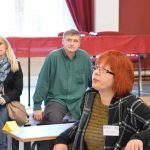 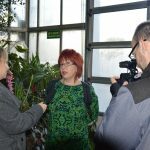 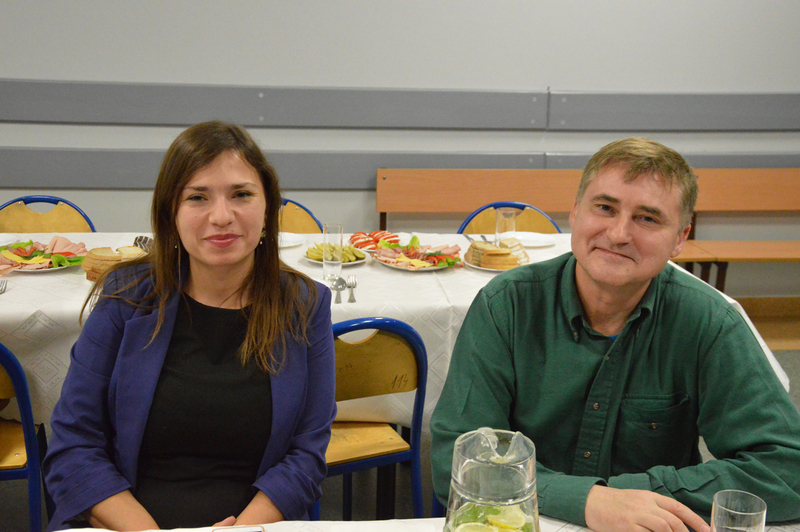 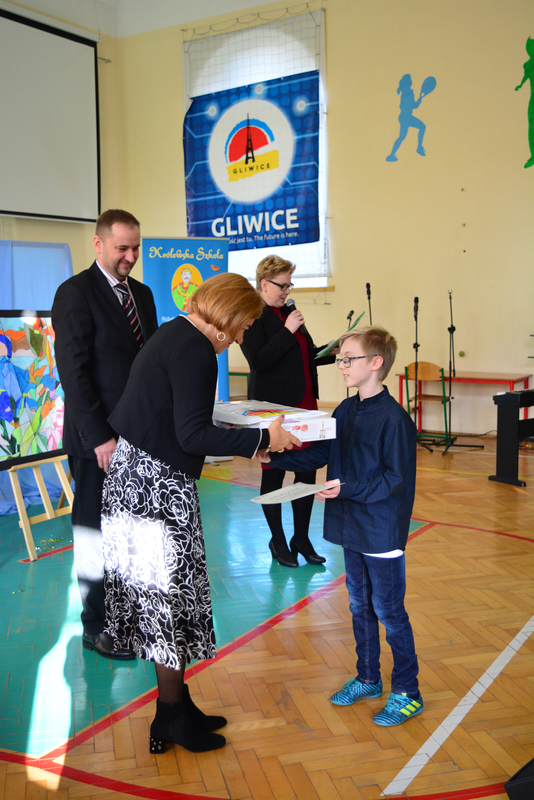 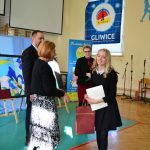 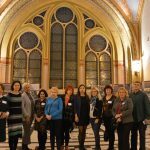 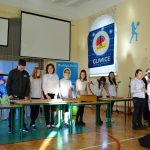 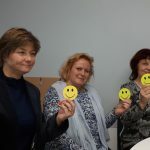 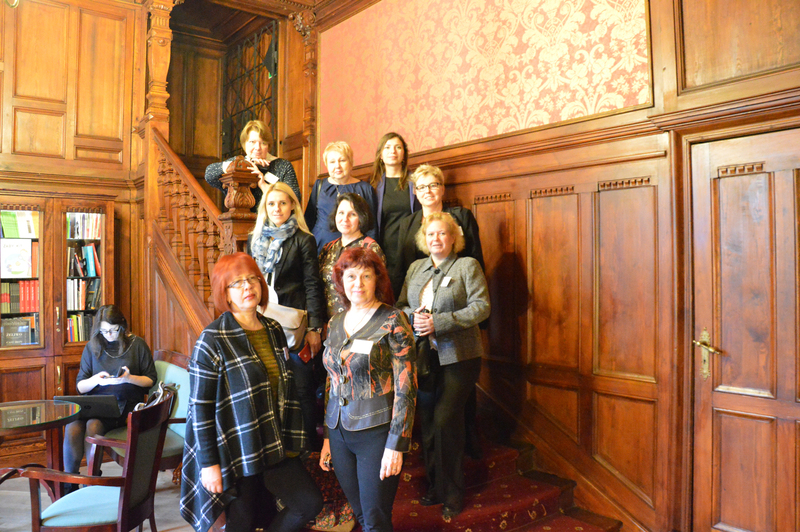 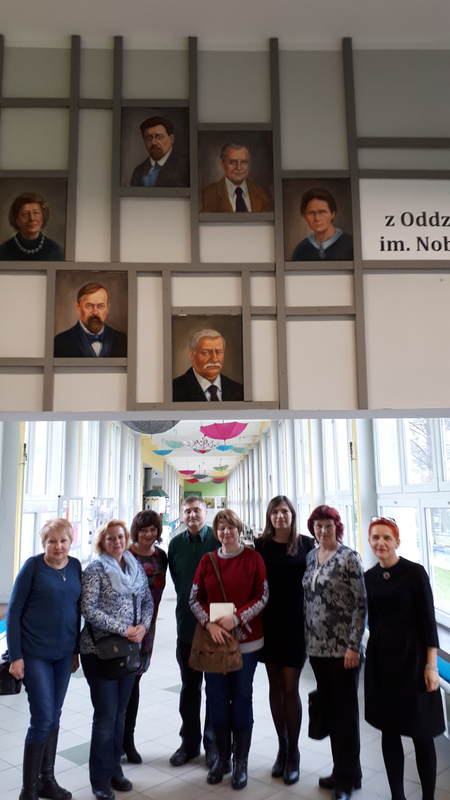 Summary of the Project – meeting in Gliwice. 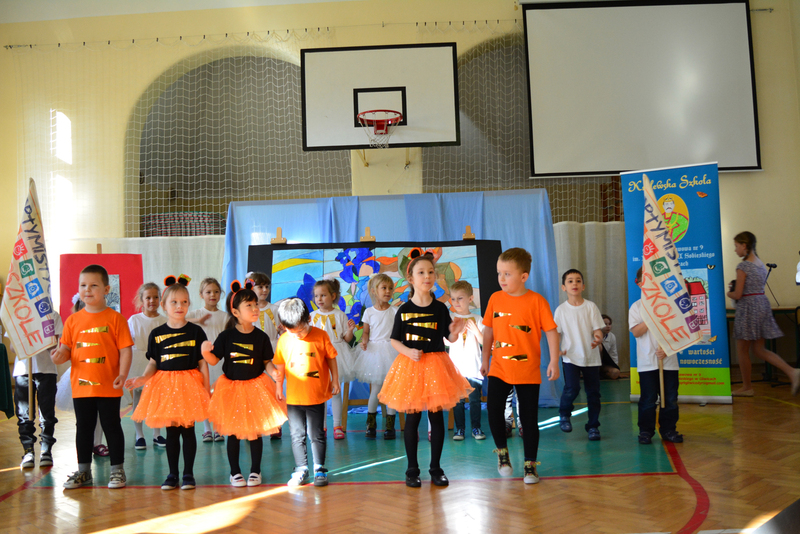 22-23 November 2017. 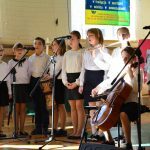 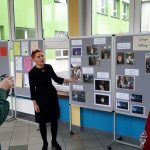 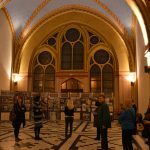 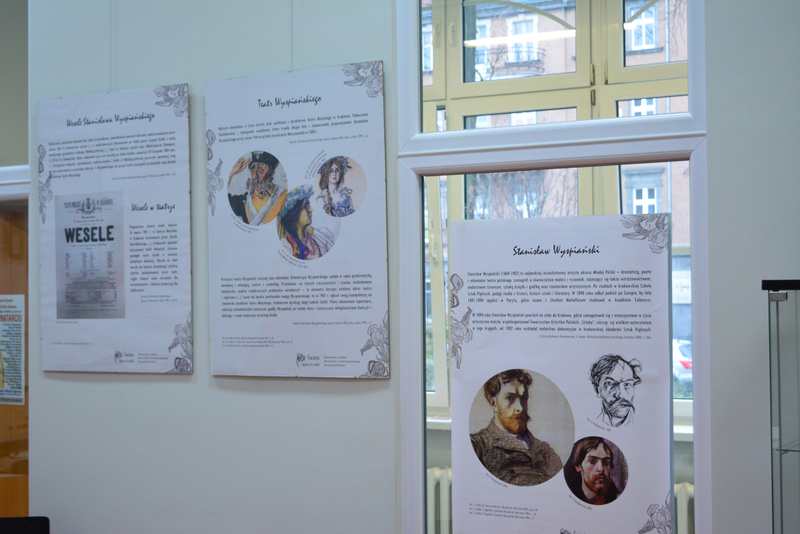 The Polish-Ukrainian Project titled „You Give the World a Shape – 110th anniversary of Stanisław Wyspiański ‘s Death” comes to an end. 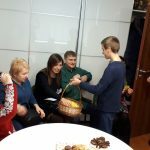 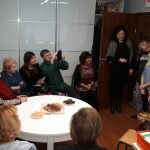 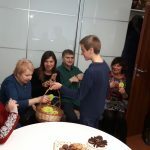 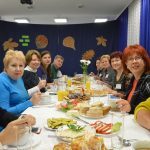 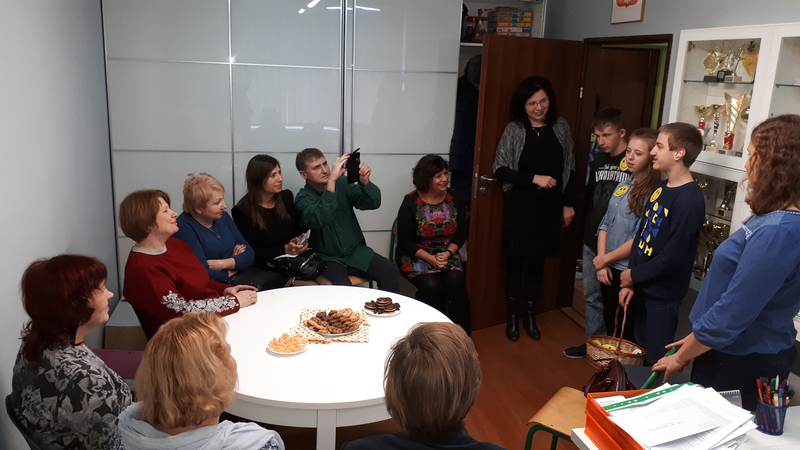 Its formal completion was celebrated on 22 and 23 November 2017 during a visit of the twelve-person group from Yavoriv, Koziatyn, Lviv, and Zhytomyr. 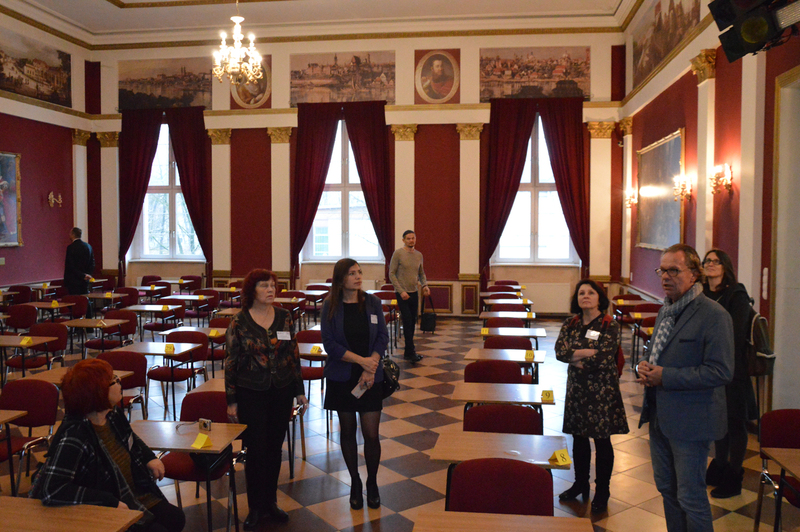 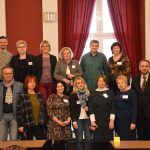 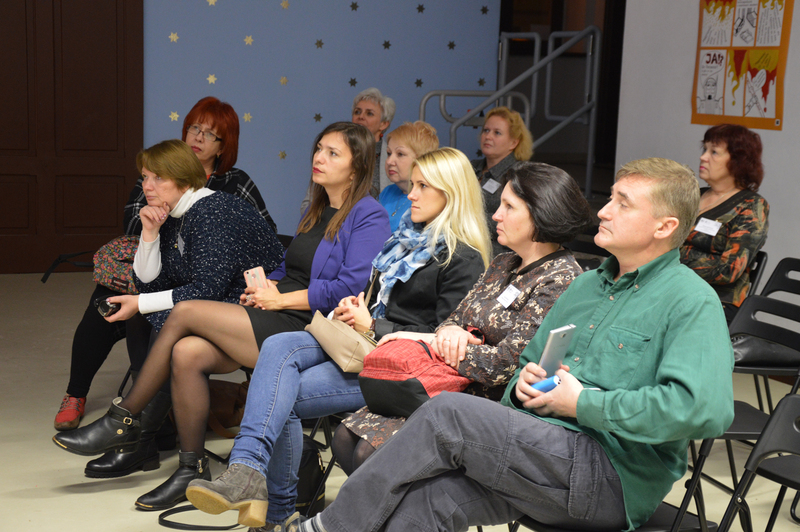 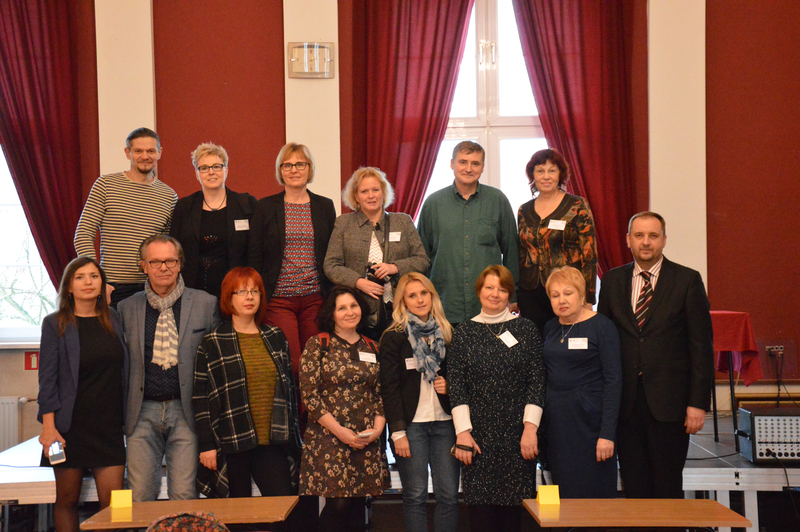 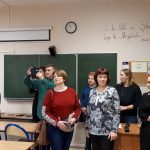 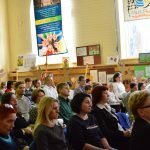 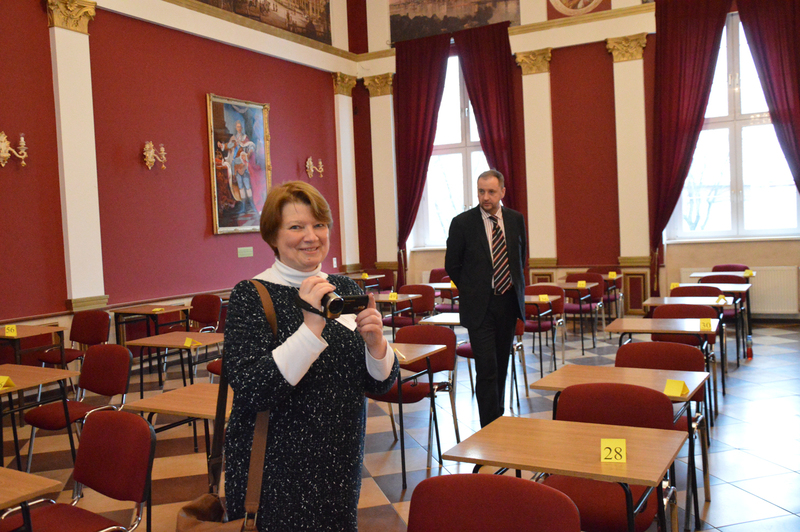 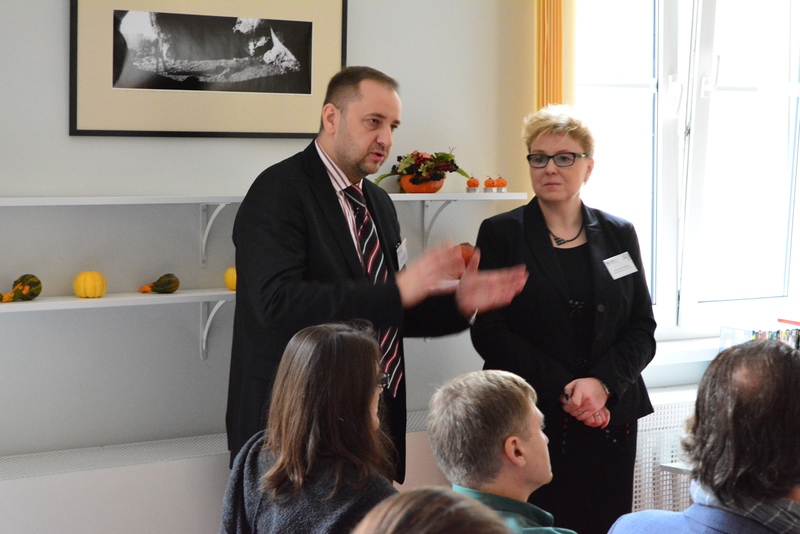 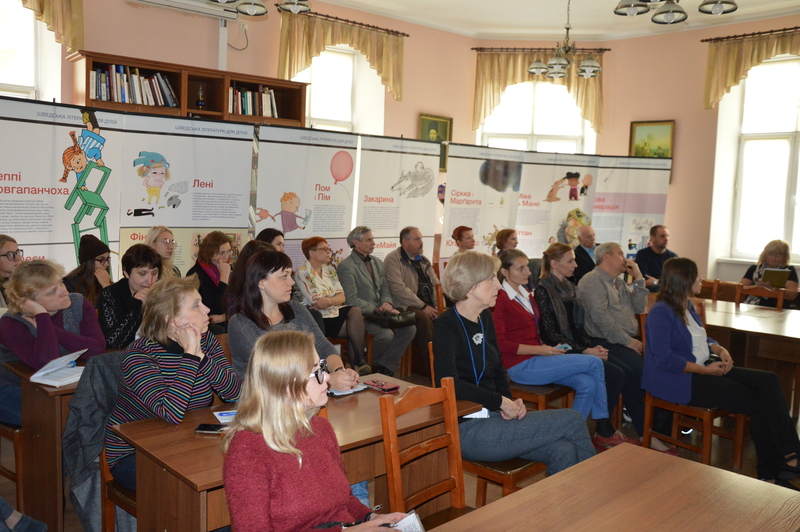 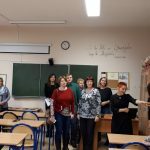 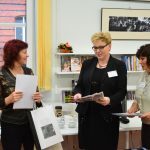 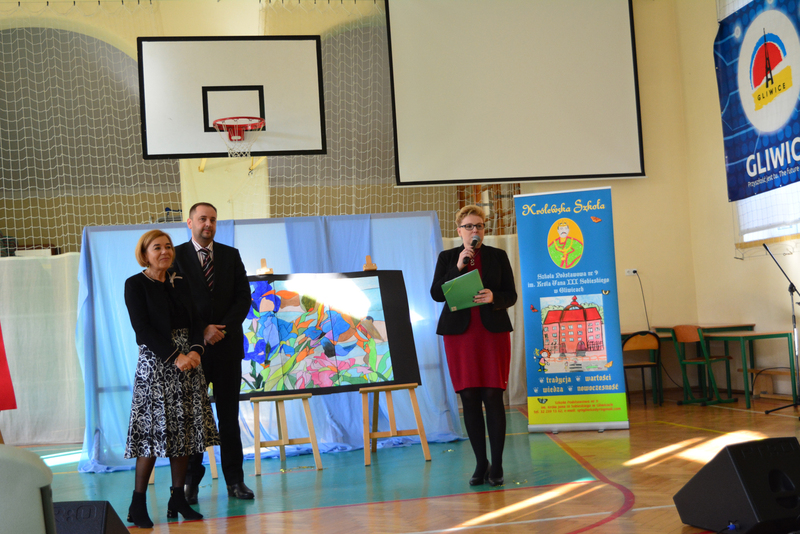 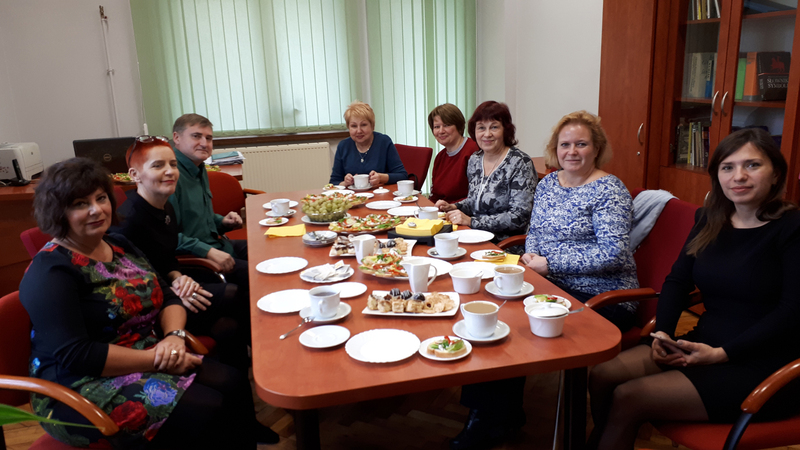 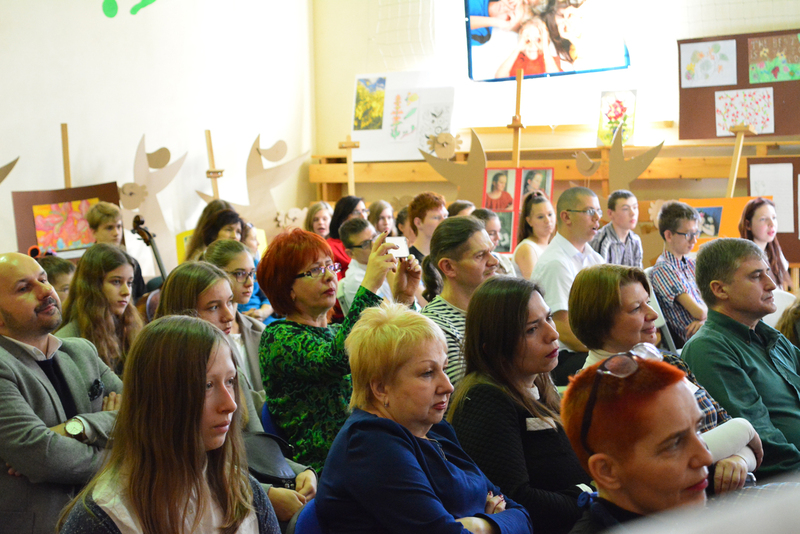 These were school headmasters, presidents of associations, librarians and representatives of the Project Strategic Partner – Marian Besaga, PhD and Prof. Aleksander Pietrowski from the Lviv National Academy of Fine Arts. 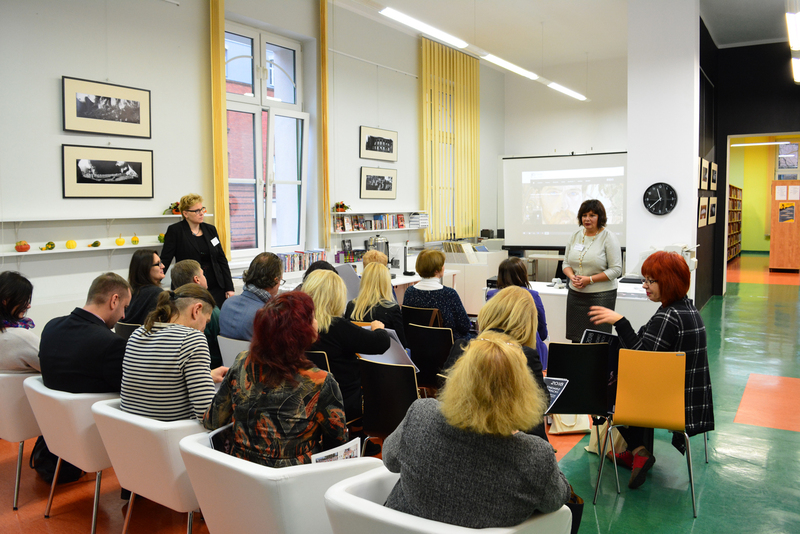 The Central Library was the place where the Project was discussed and summarised; Bogna Dobrakowska – the director of Municipal Public Library thanked everybody for their participation; the Gliwice partners – for their contribution and commitment, and Izabela Kochańczyk – for making her best efforts to coordinate the Project tasks. 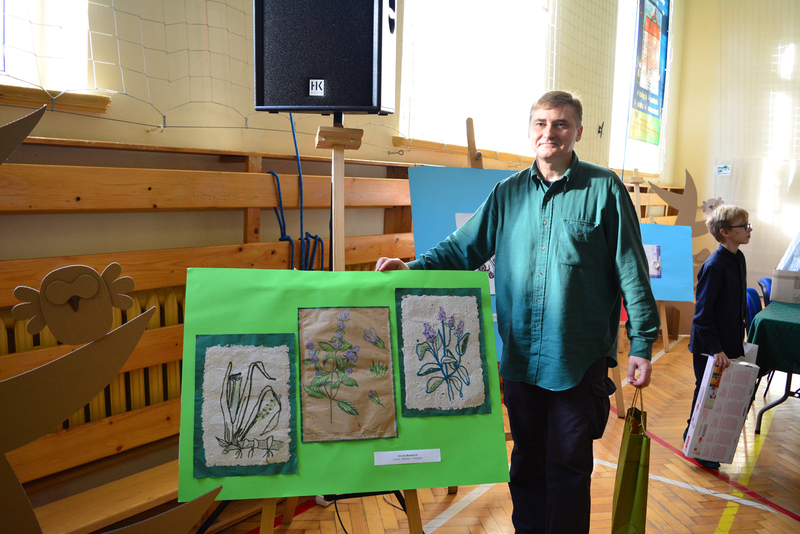 Furthermore, materials inspired by the works of Stanisław Wyspiański were presented. 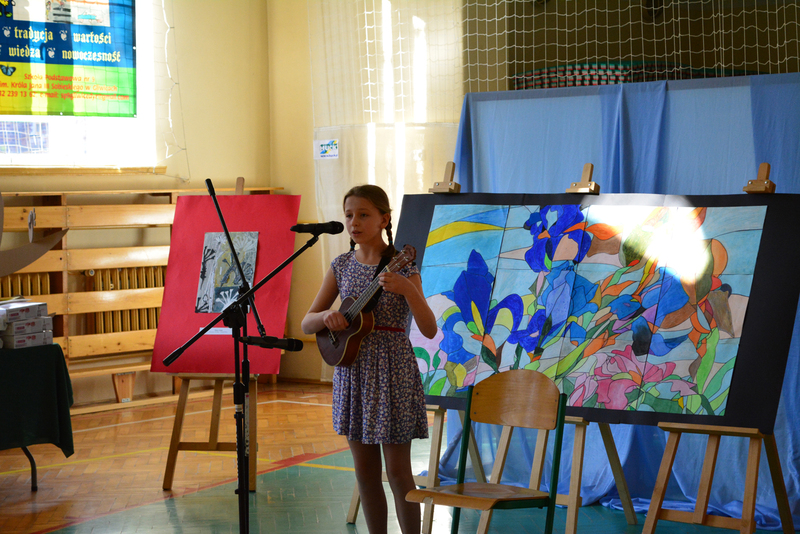 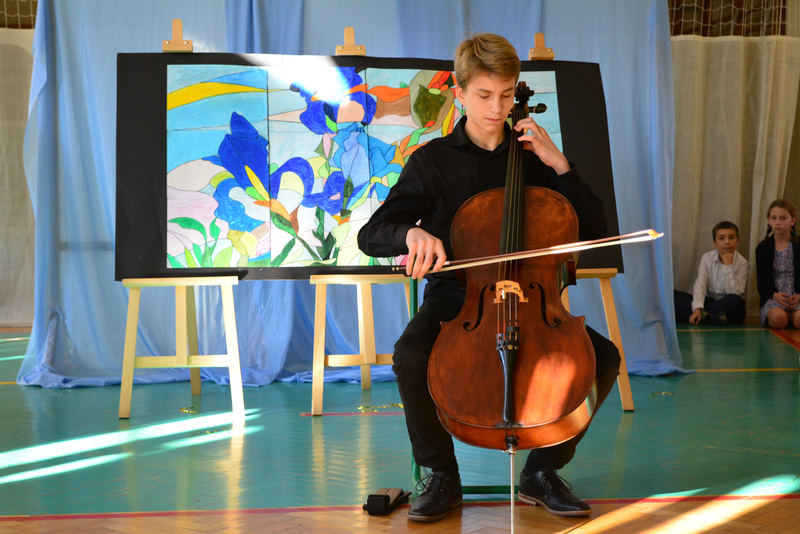 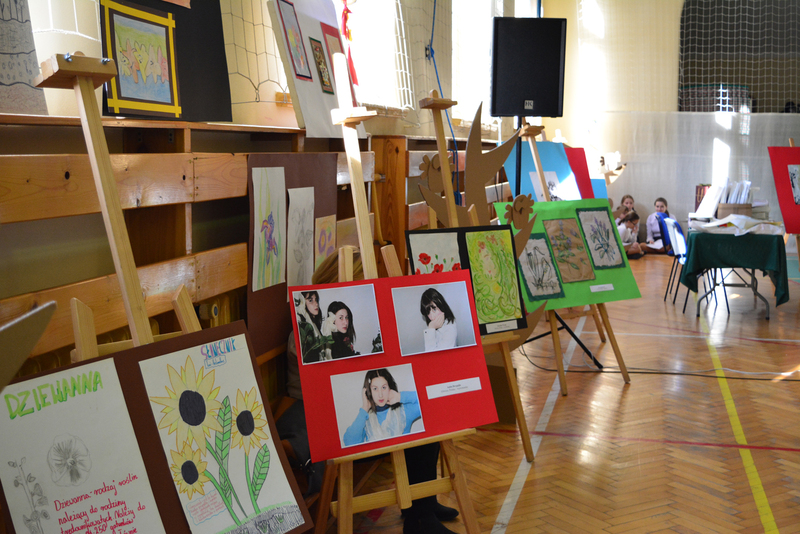 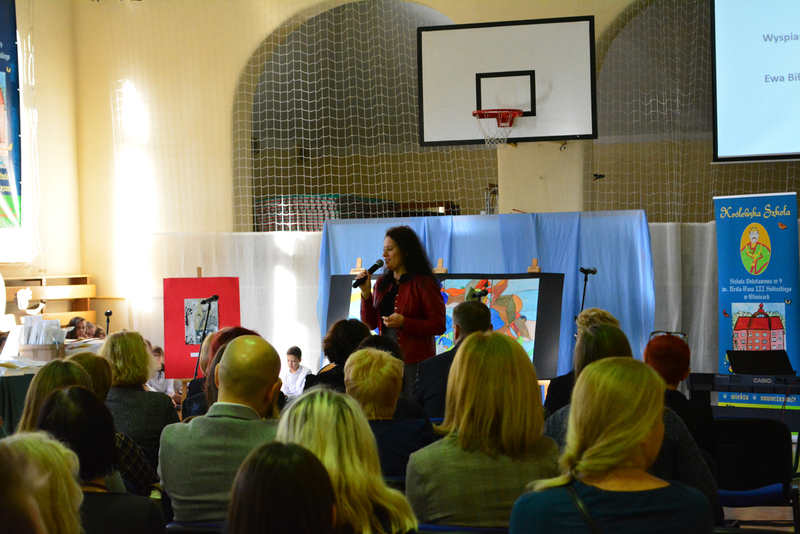 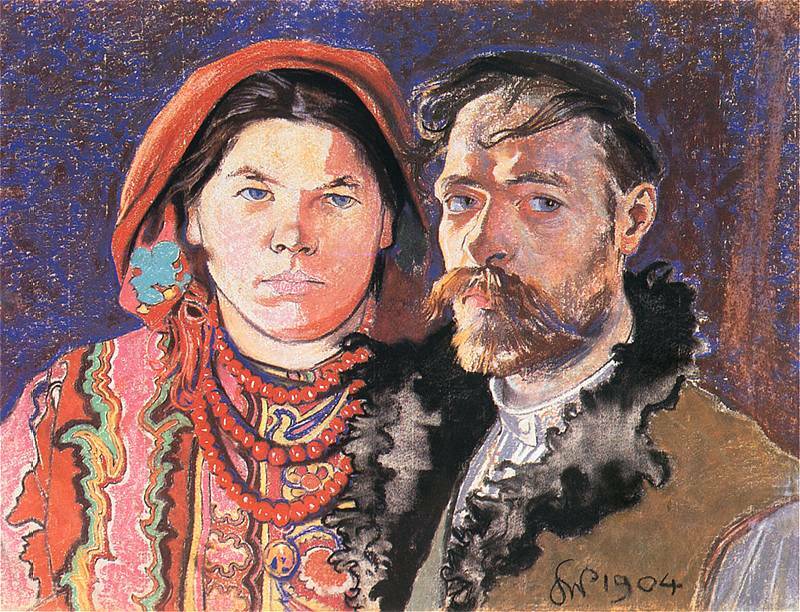 In Primary School no 9 an exhibition of works sent for two competitions were admired, namely “Contemporary Wyspiański’s Flowers” and “Portrait in the Wyspiański Fashion”. 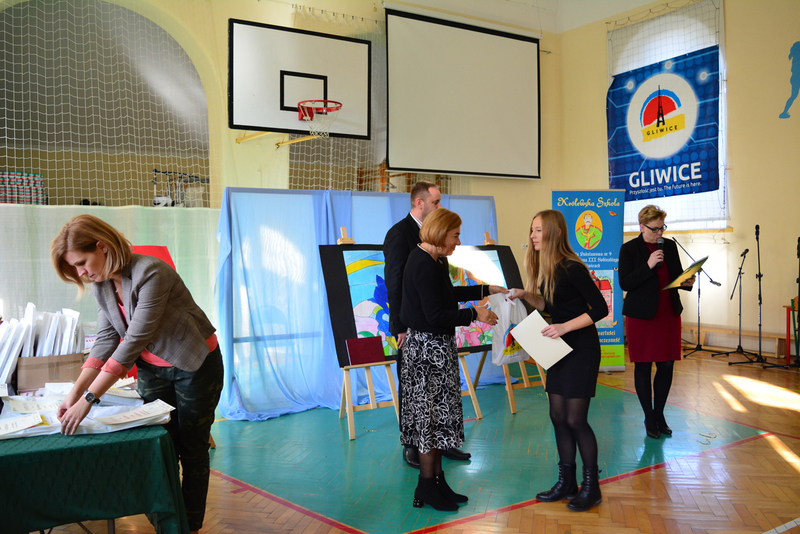 The results were announced and the winners were awarded. 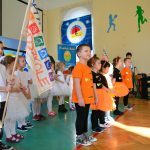 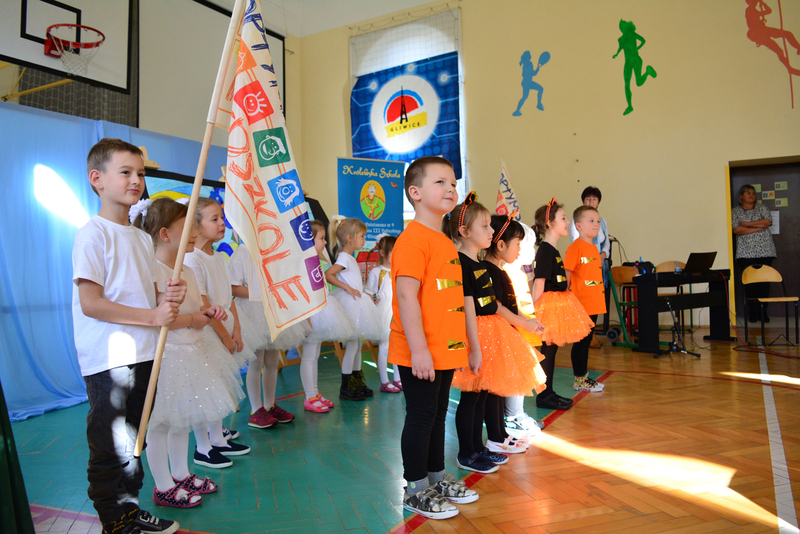 Additional splendour to the ceremony was provided by performance of primary school children from PS no 6, PS no 9, School Complex no 7 and the “Stokrotka” International Kindergarten. 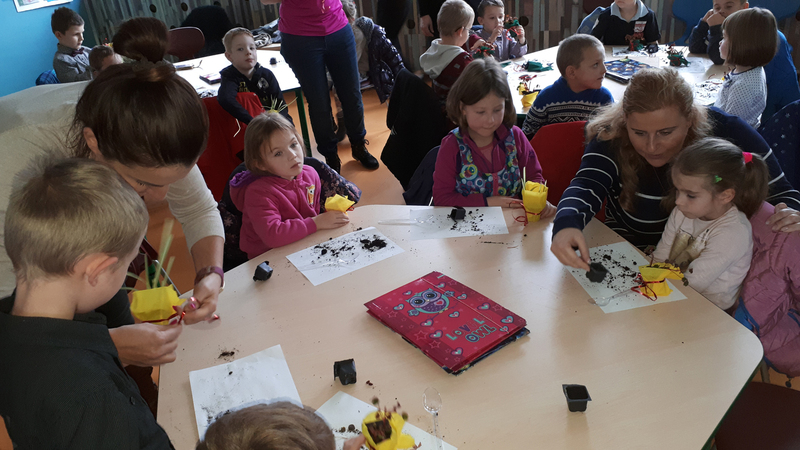 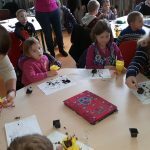 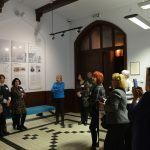 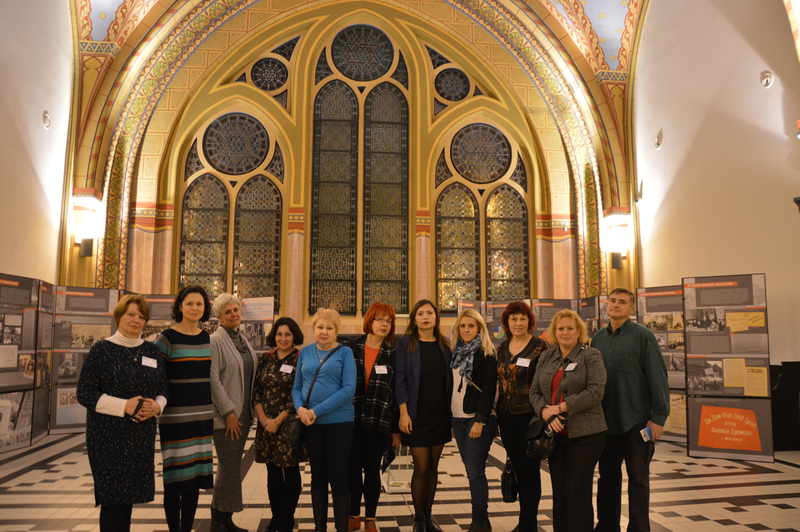 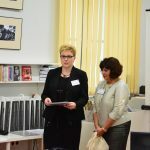 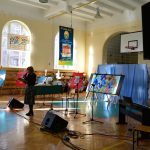 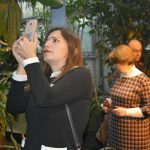 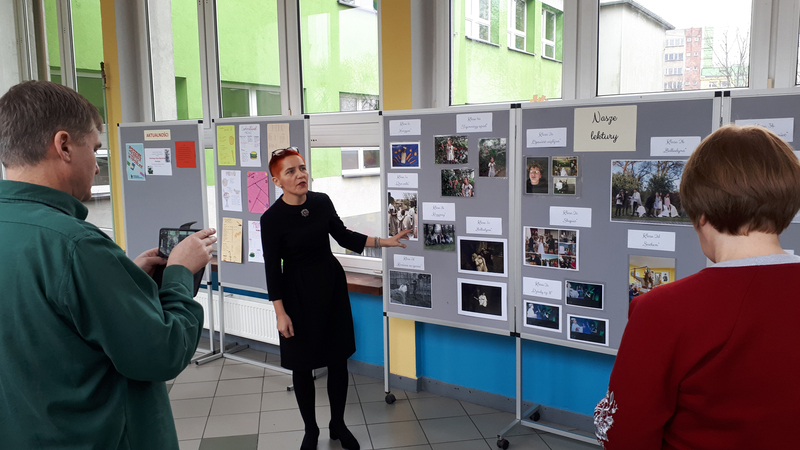 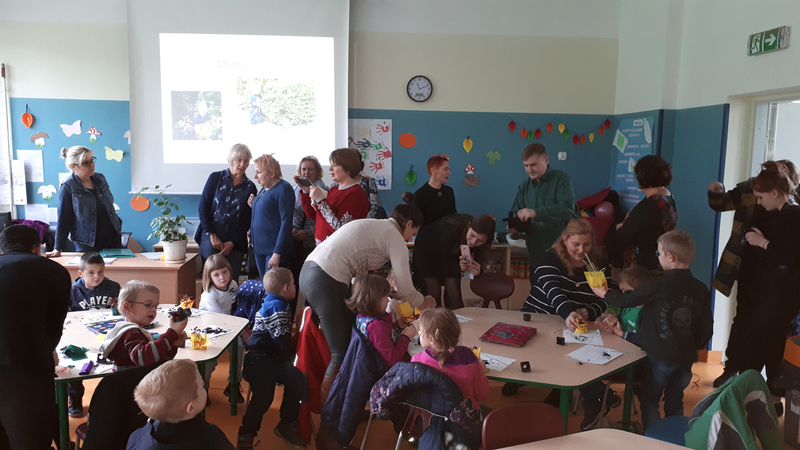 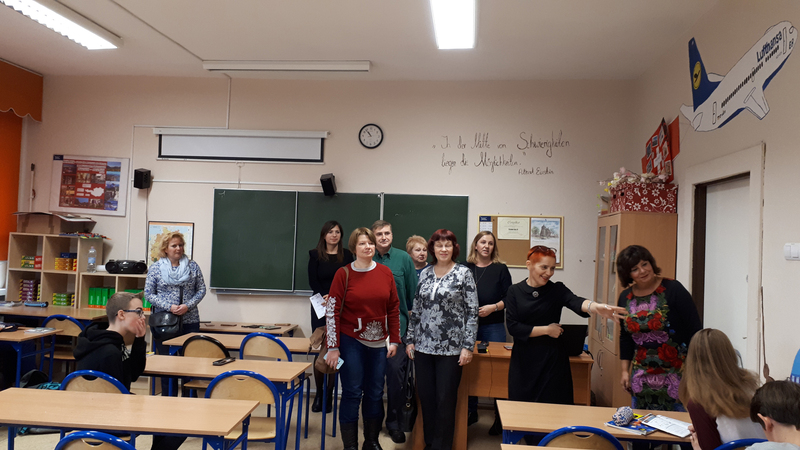 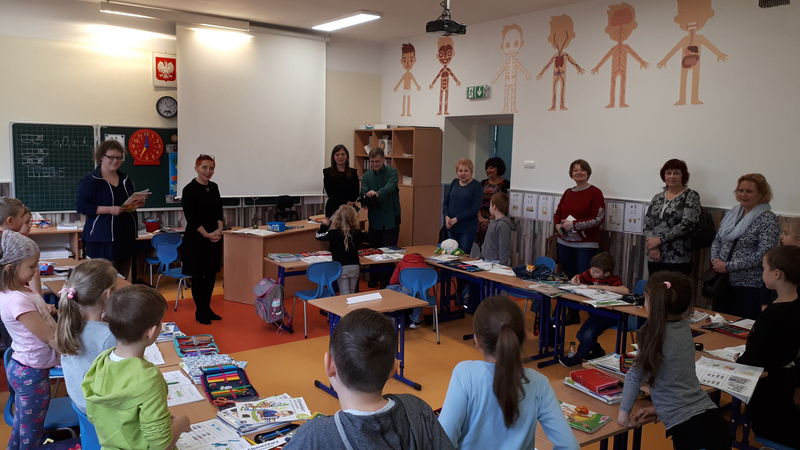 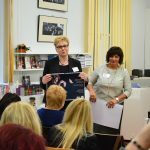 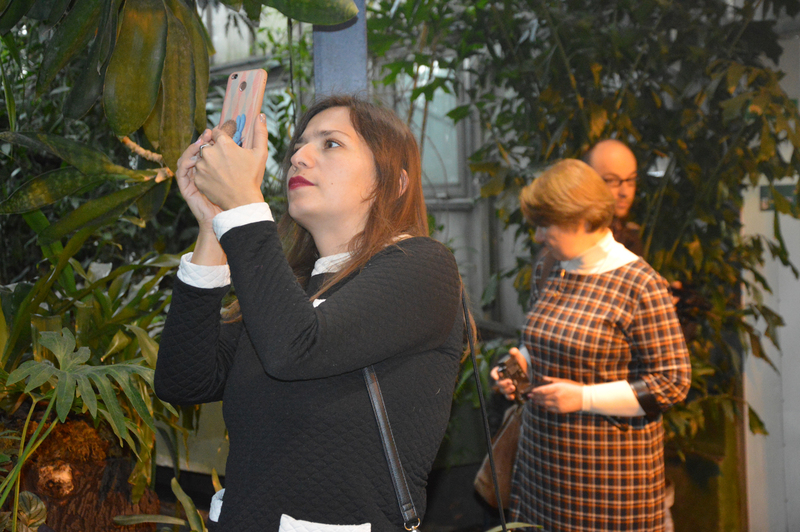 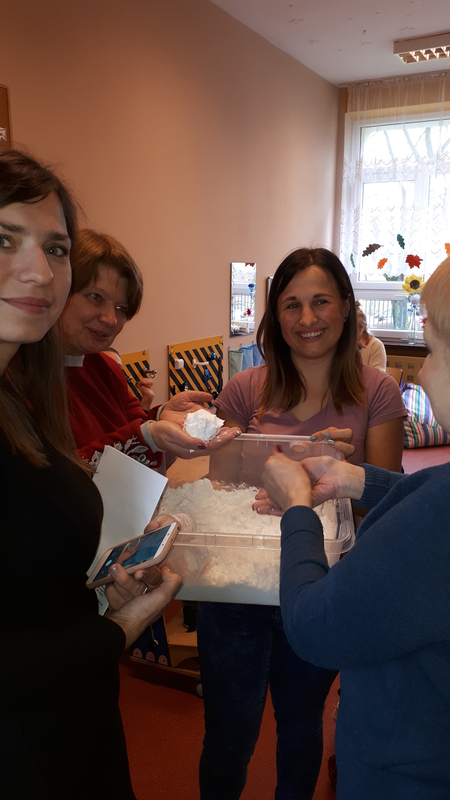 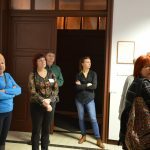 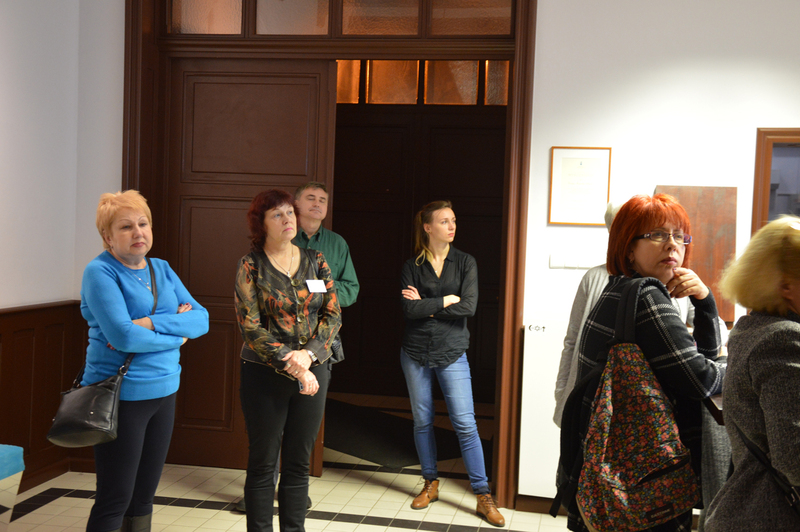 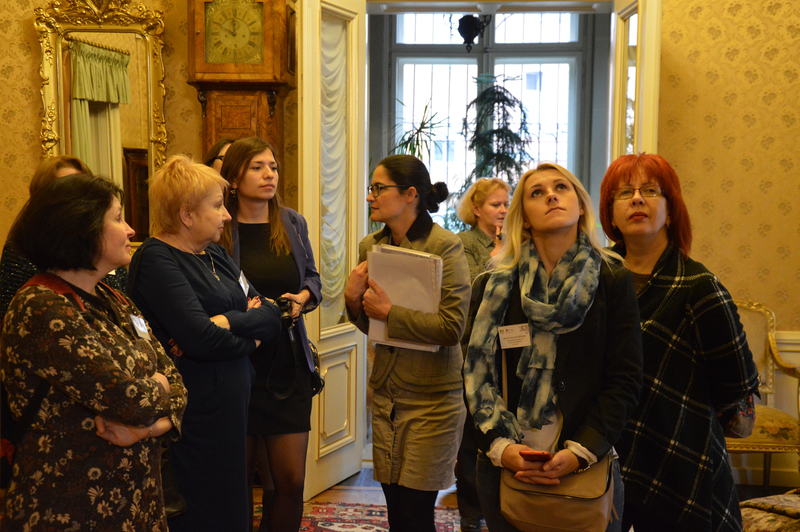 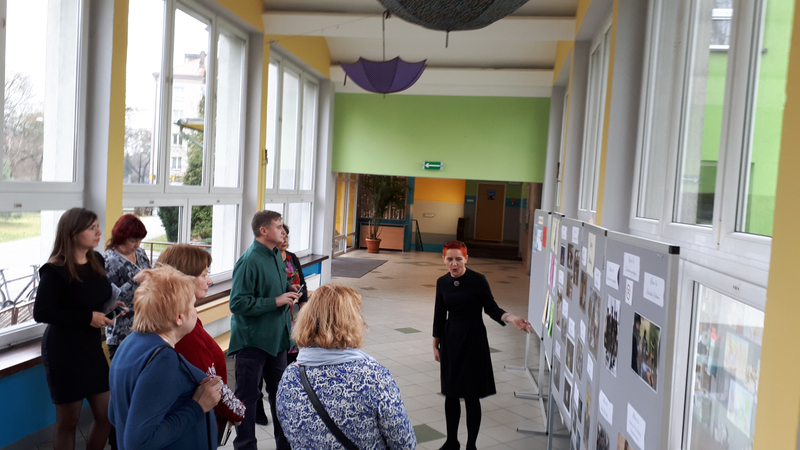 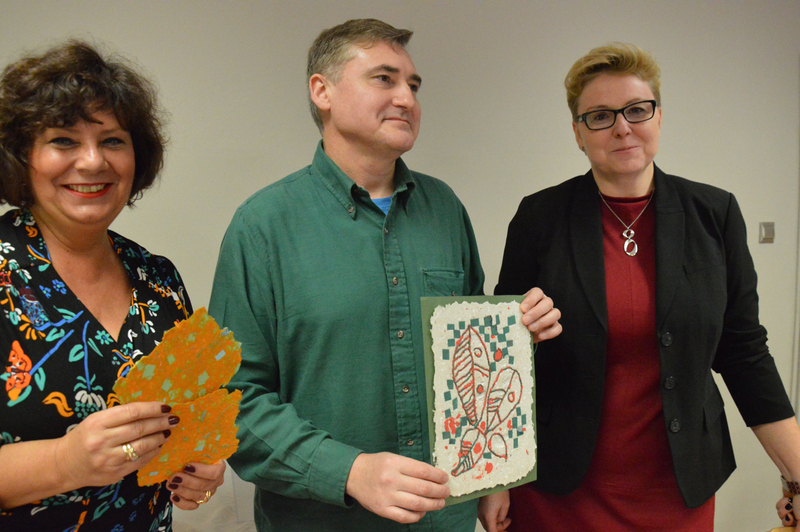 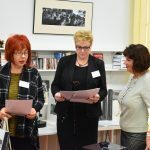 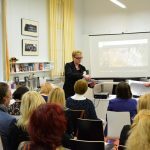 The guests participated in two workshops: on stain glass – conducted by Aneta Głowacka, Faculty of Fine Arts, University of Silesia, and on language – conducted by Ewa Biłas-Pleszak, PhD, Polish Language Institute, University of Silesia. 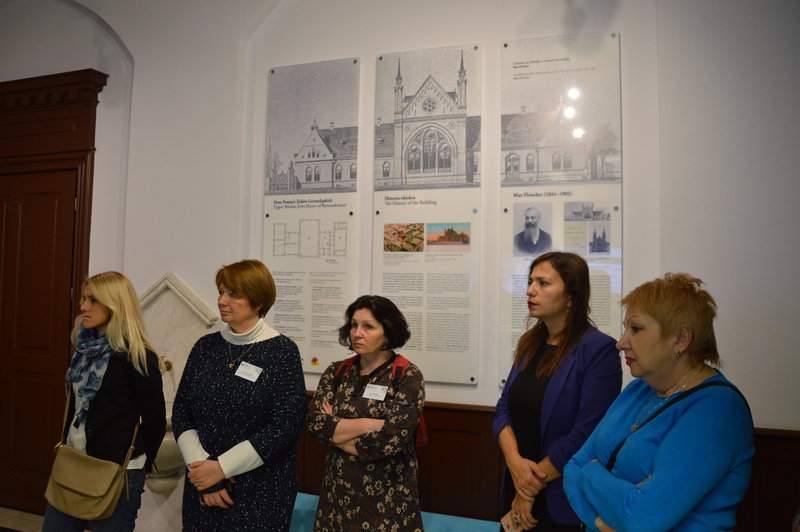 the King John III Sobieski Primary School no 9, School and Kindergarten Complex no 12, Special School Complex no 7, Centre for Practical Learning and Continuing Education no 1, Memorial House of Upper Silesian Jews, Villa Caro and Municipal Palm House. 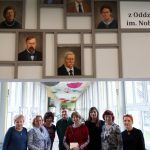 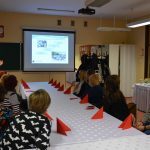 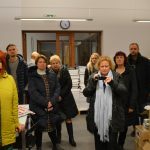 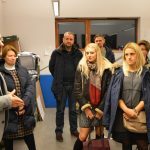 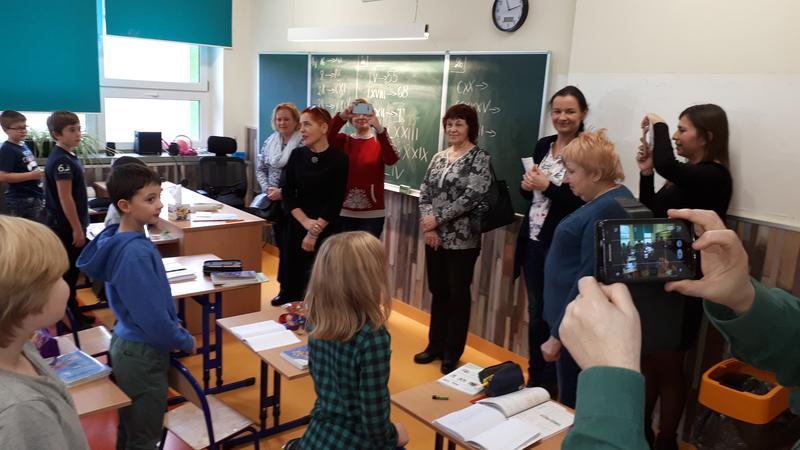 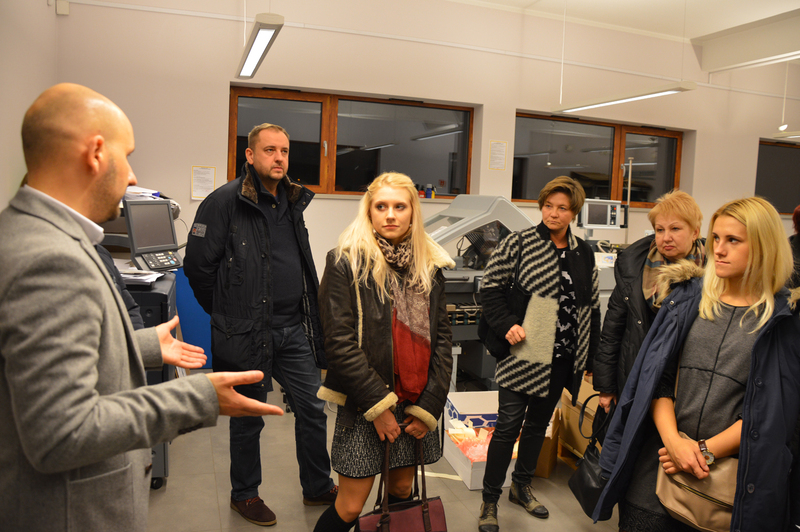 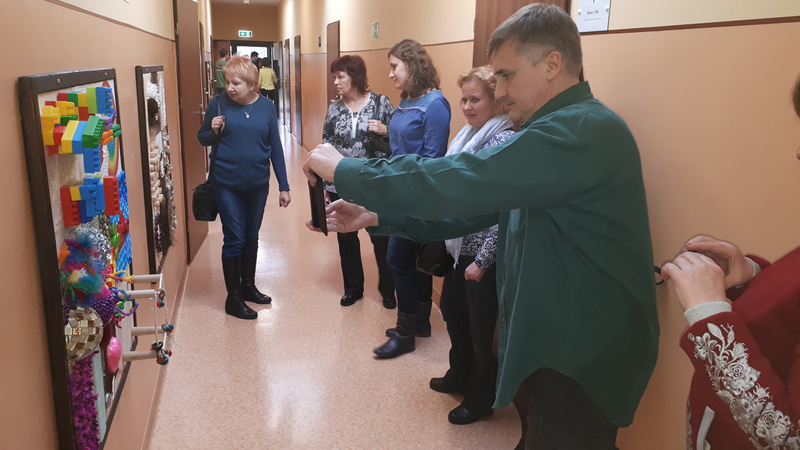 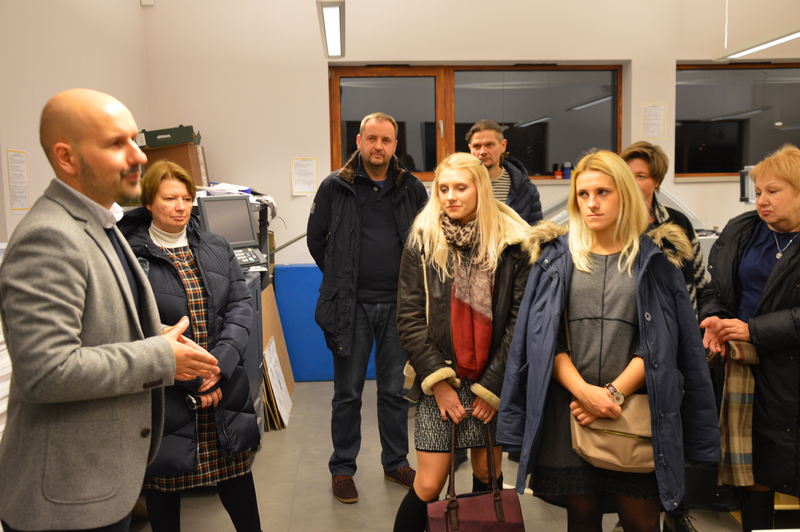 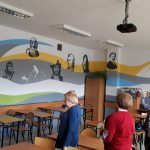 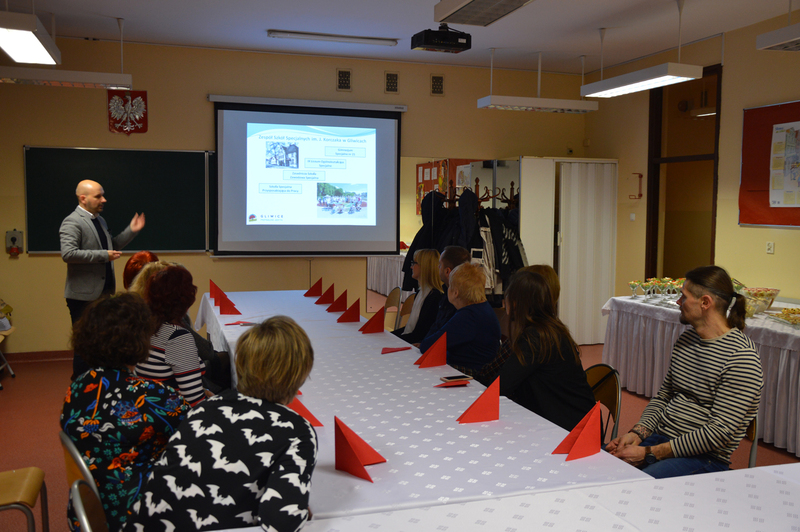 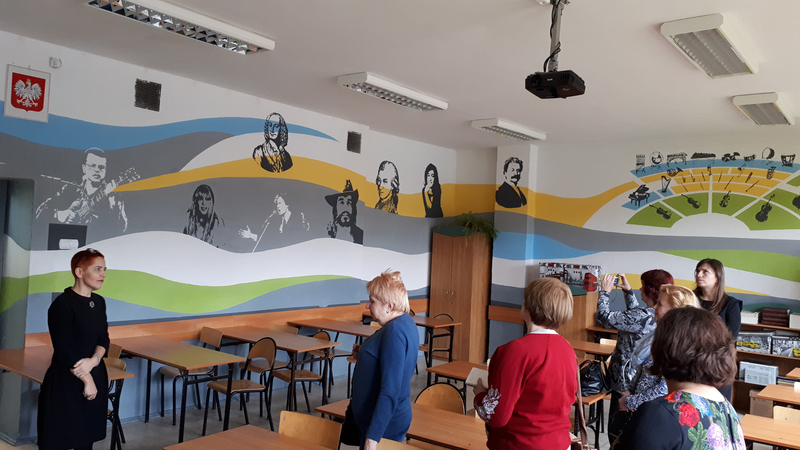 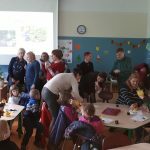 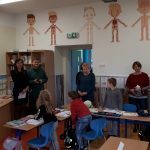 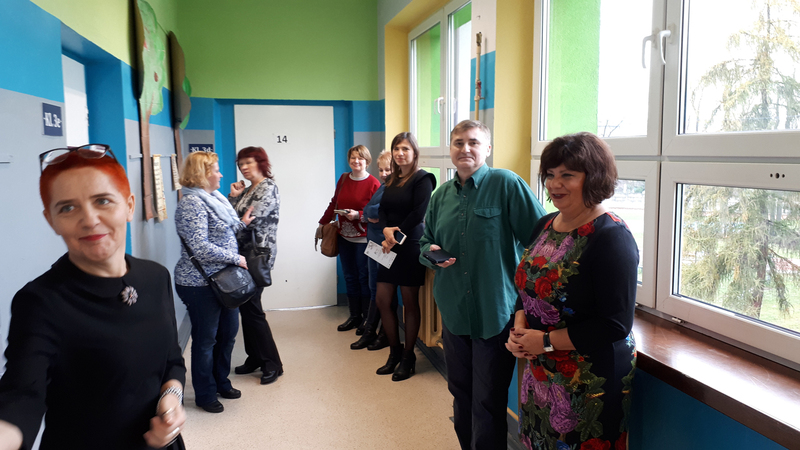 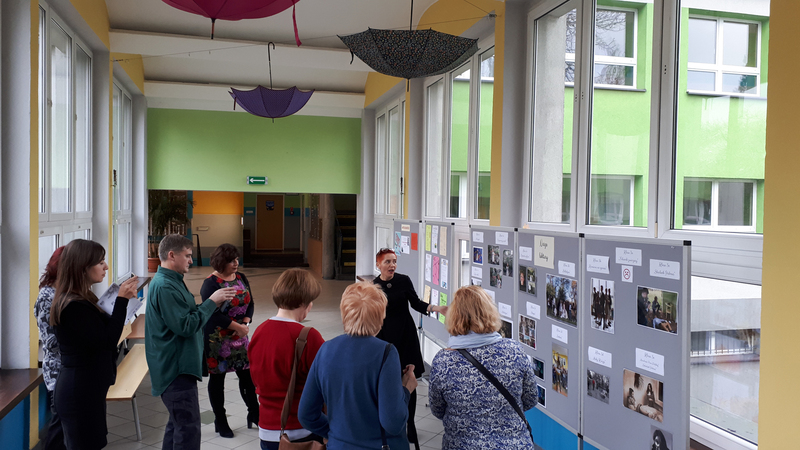 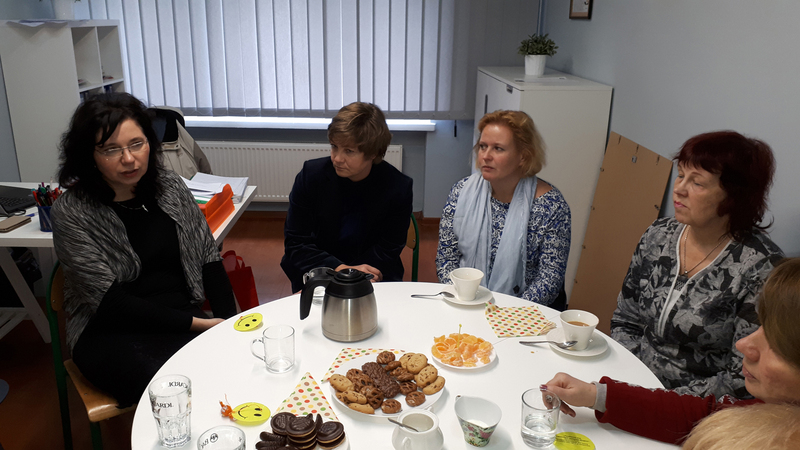 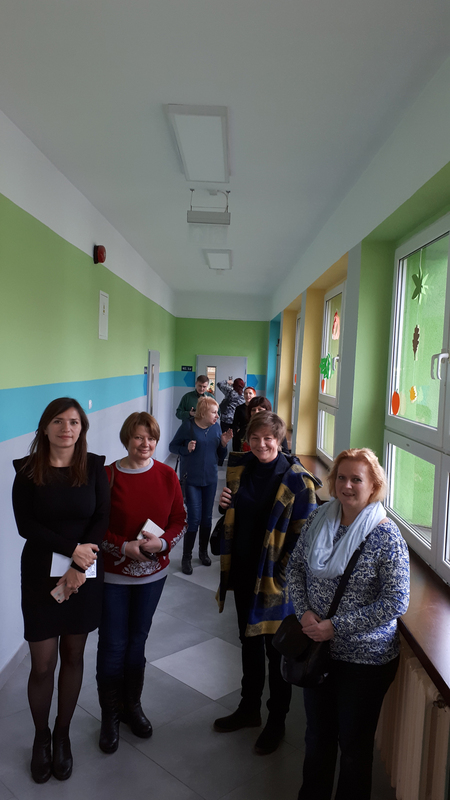 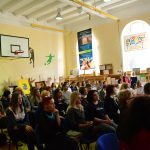 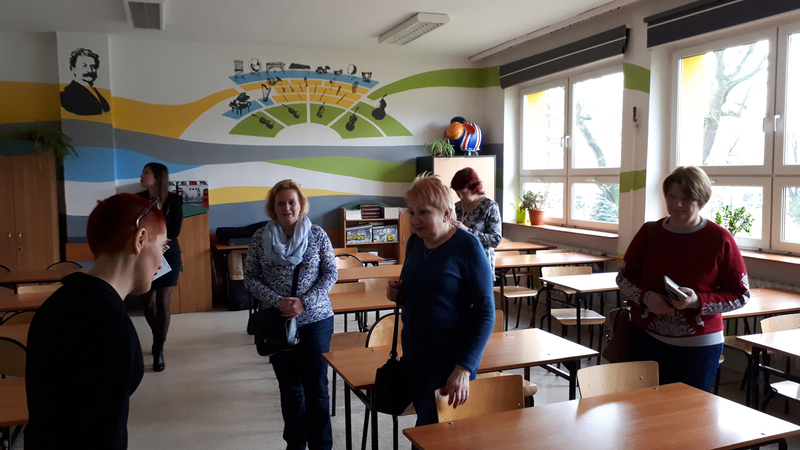 They visited the J. Korczak Vocational Special School Complex and Gliwice Vocational rehabilitation Facility with interest. 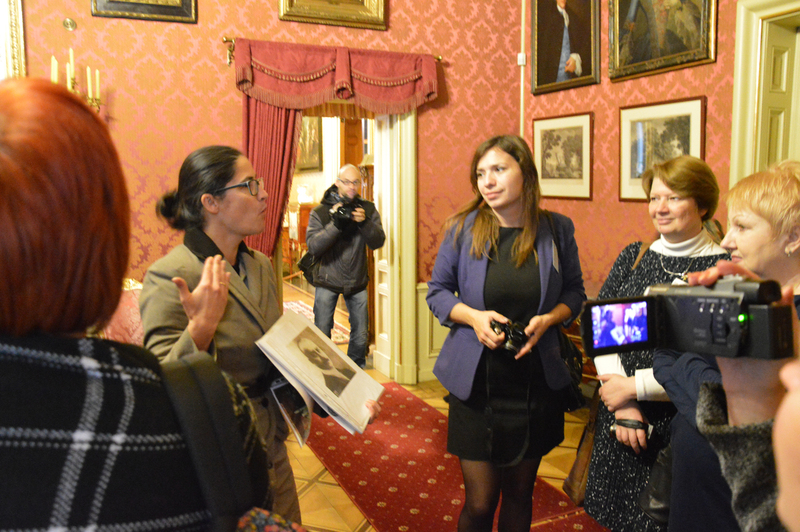 Each event during the two-day visit was an opportunity for discussions and making plans for the future so that the established collaboration would develop towards mutual exploration of culture and art. 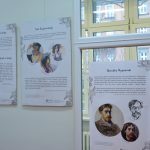 The project devoted to Stanisław Wyspiański executed in 2016 and 2017 was co-financed from the funds of the Minister of Culture and National Heritage of the Republic of Poland and the Gliwice City budget. 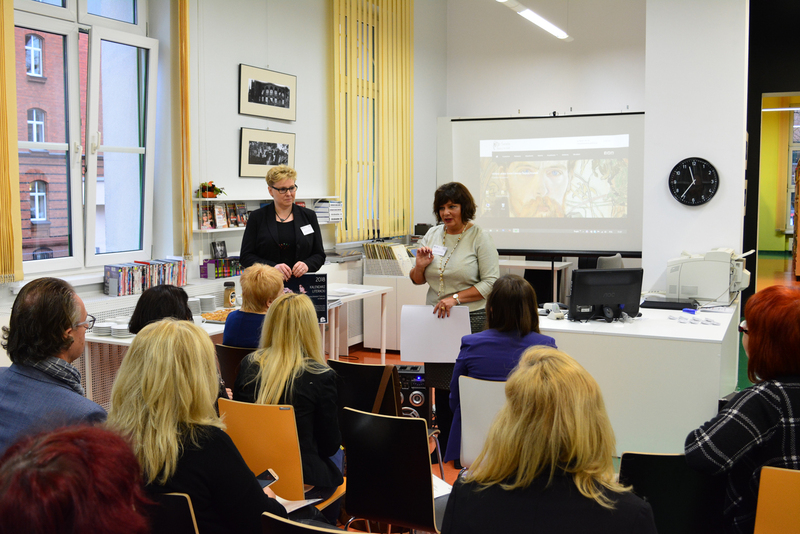 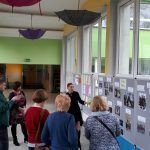 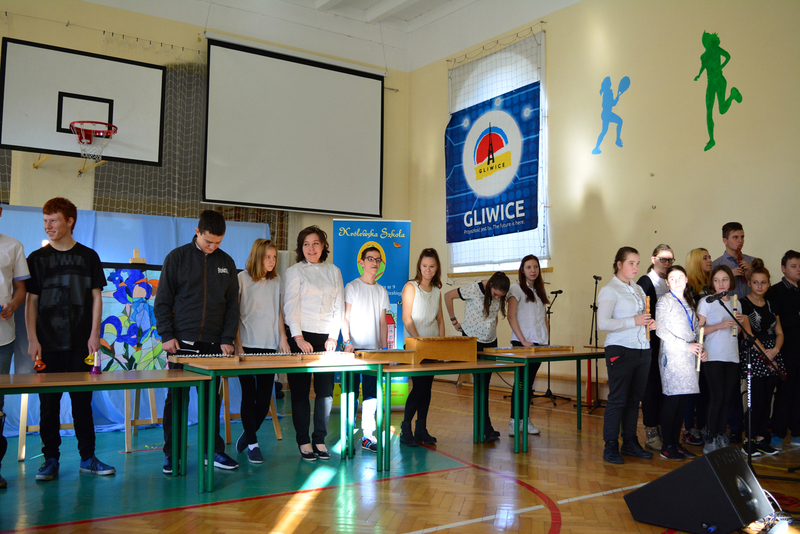 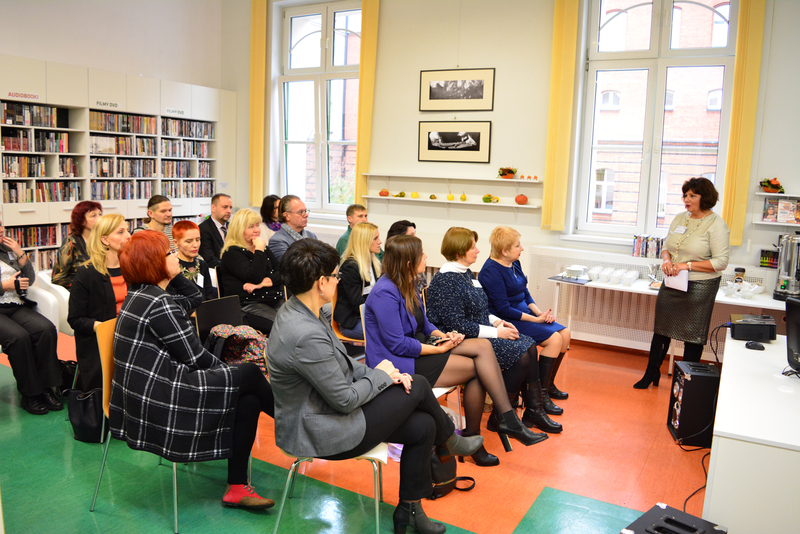 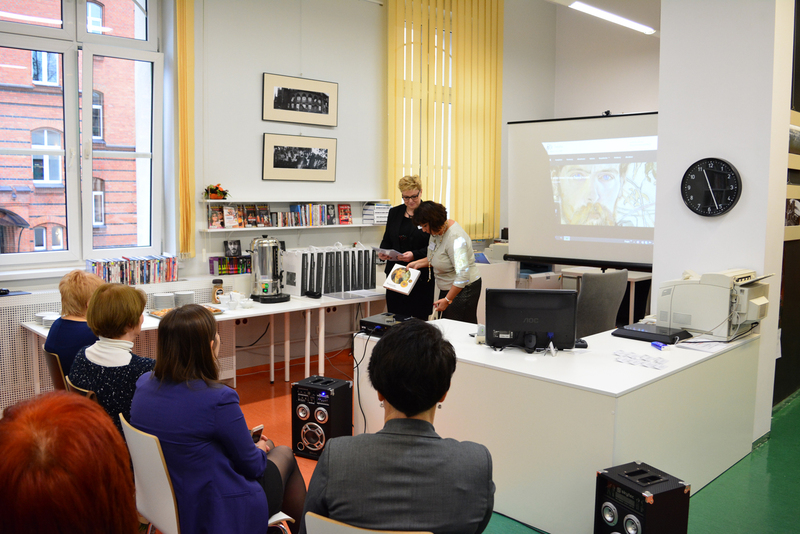 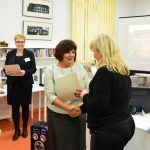 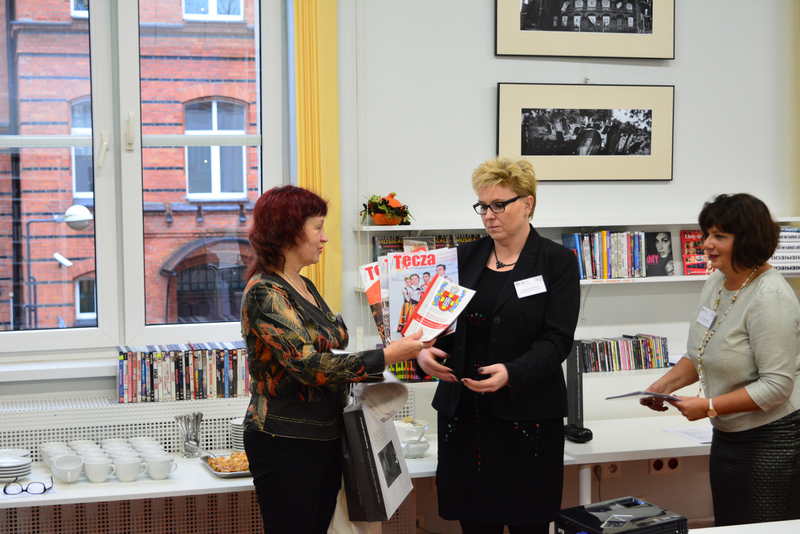 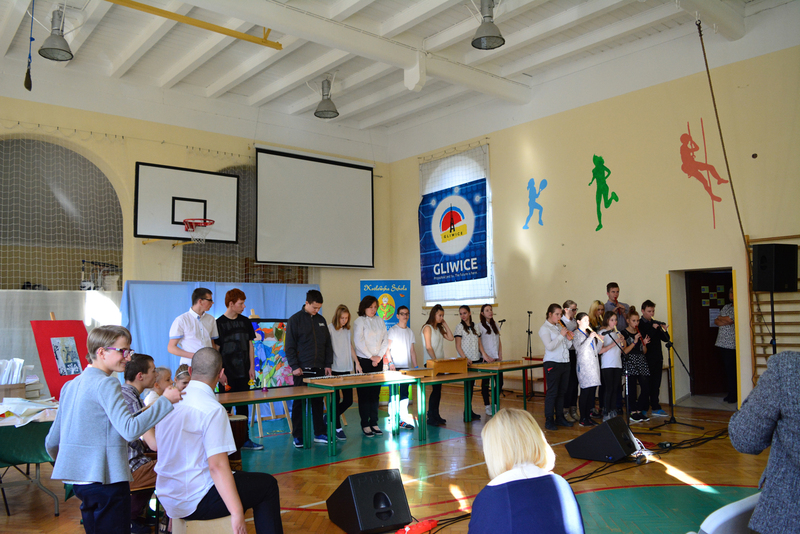 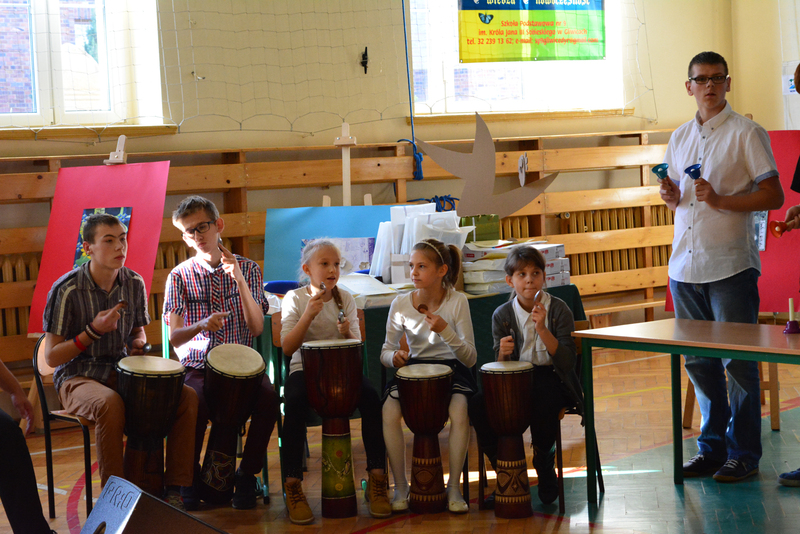 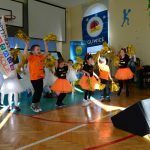 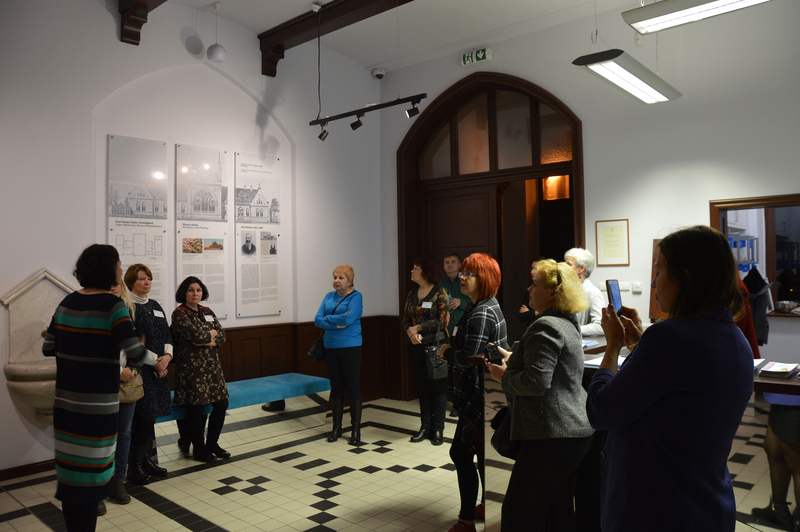 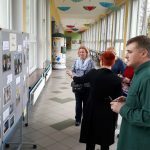 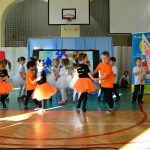 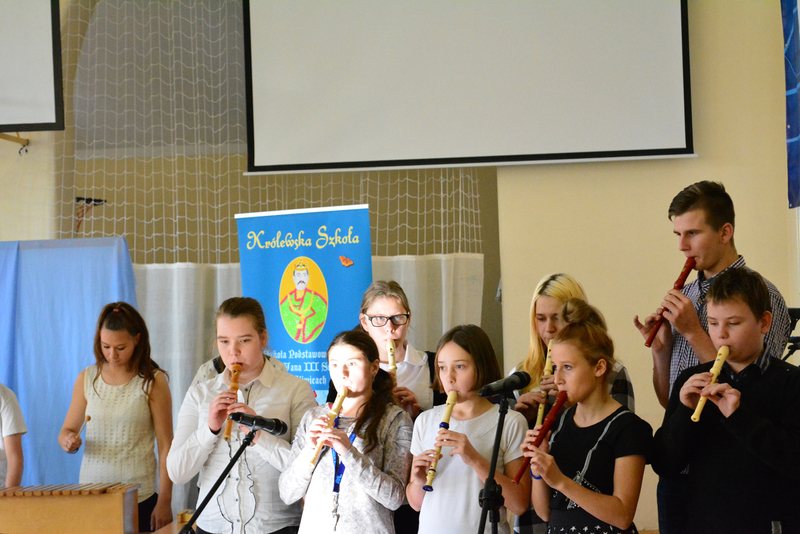 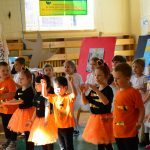 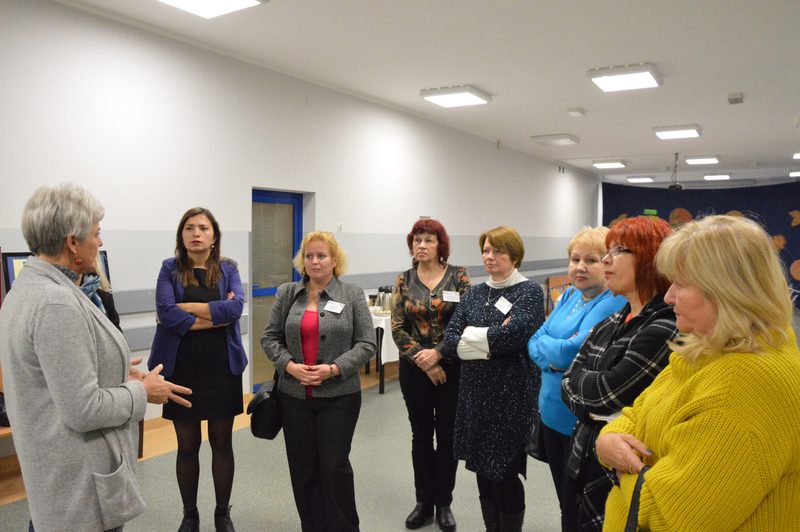 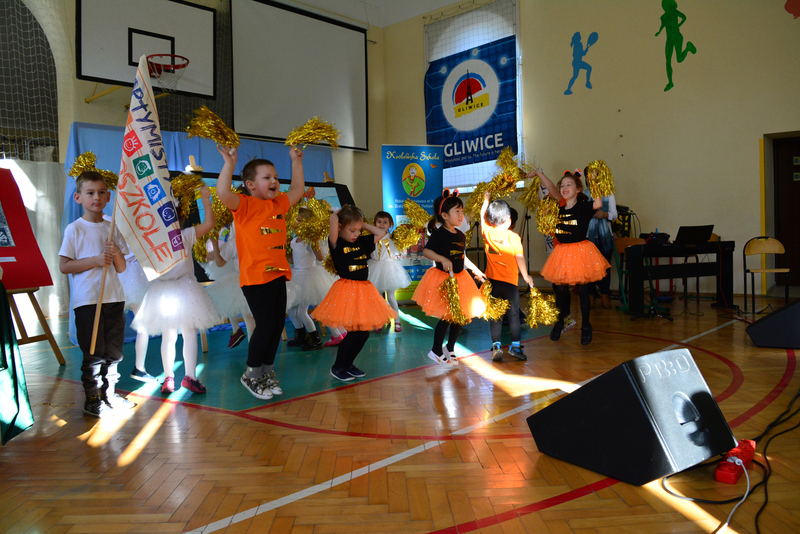 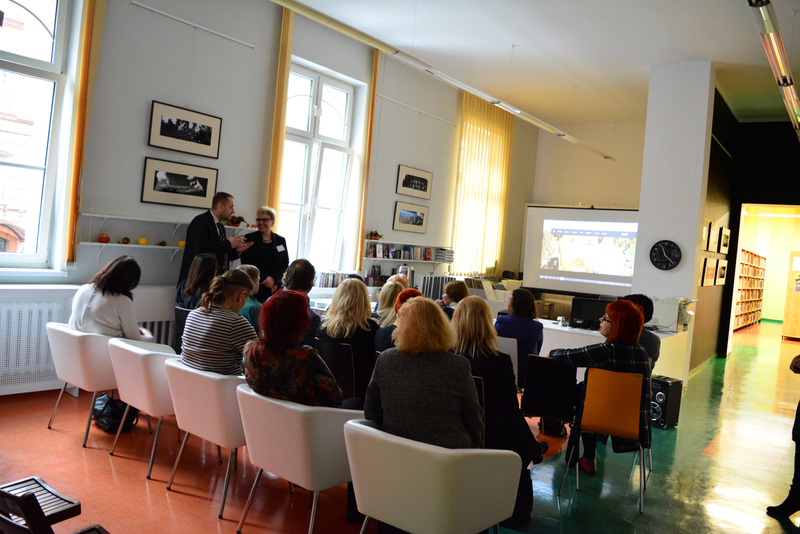 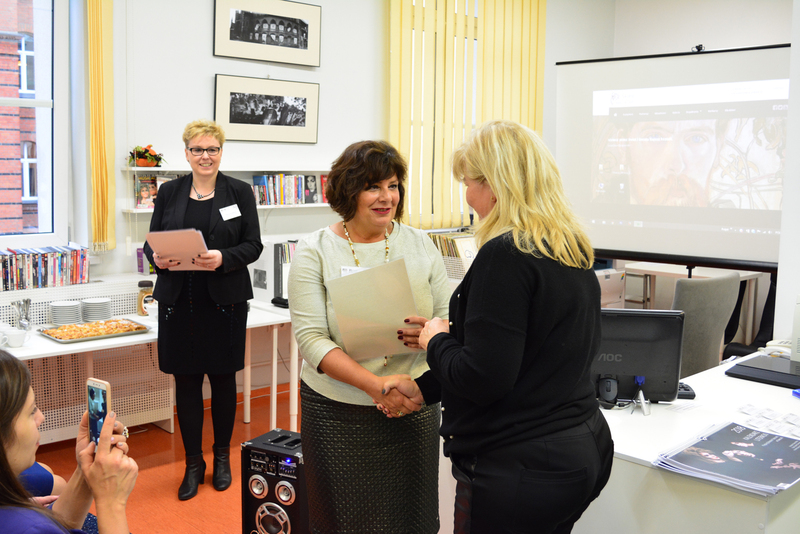 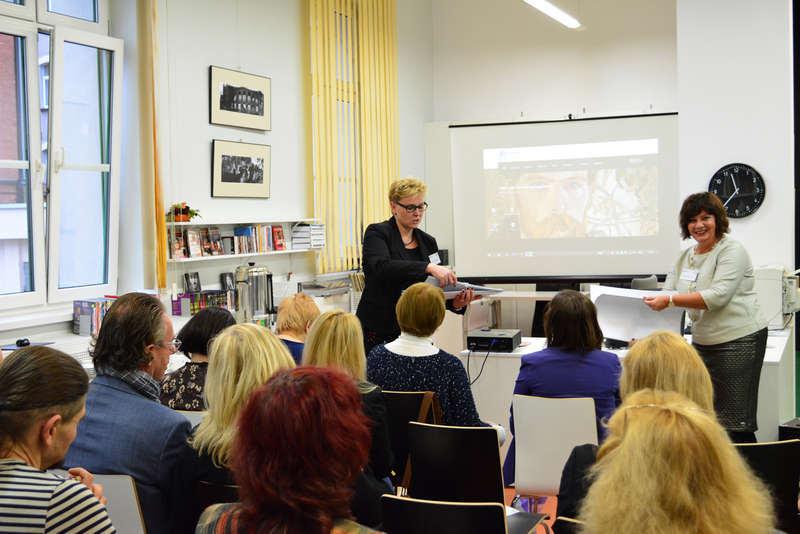 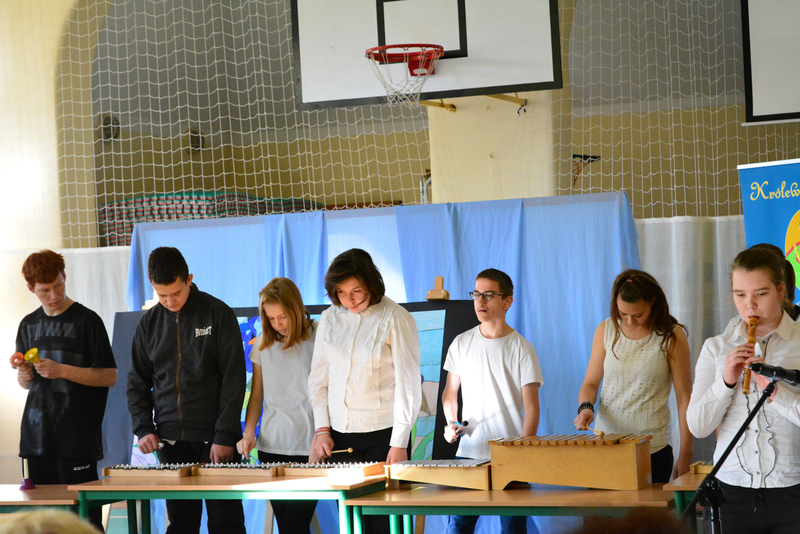 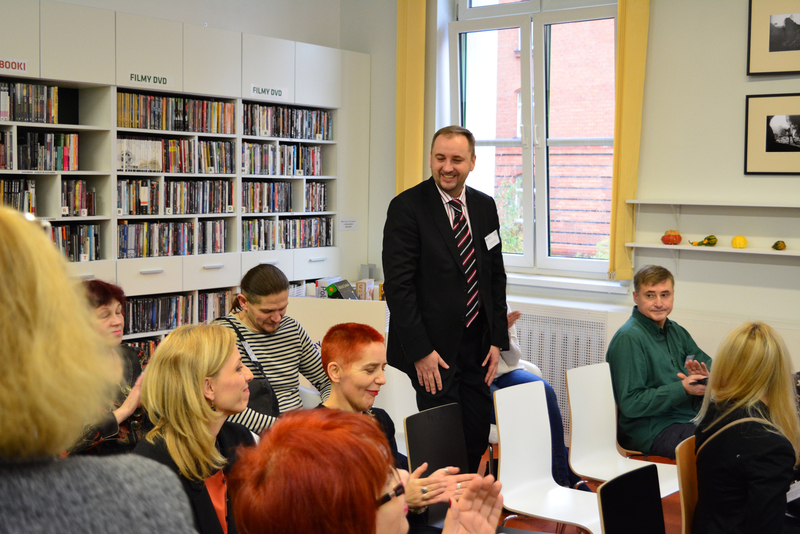 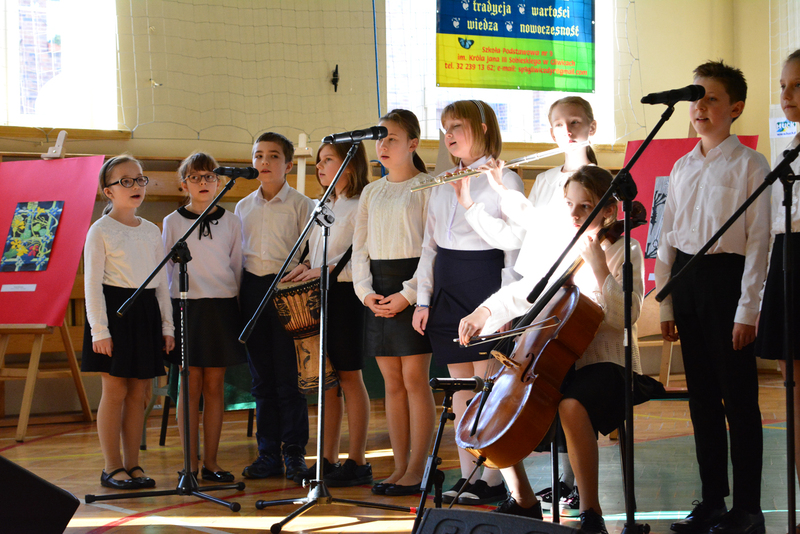 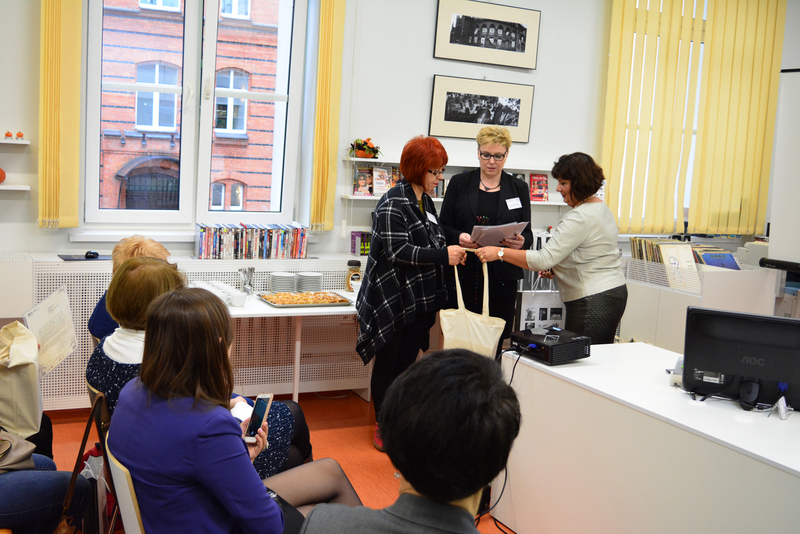 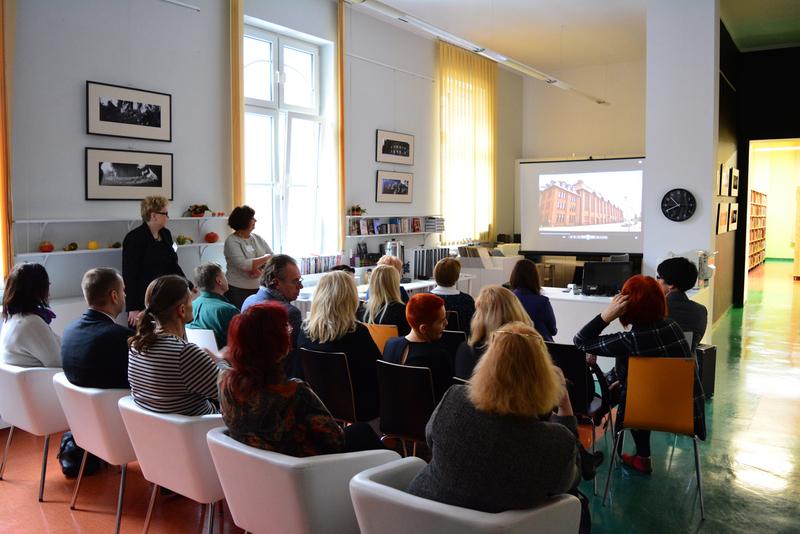 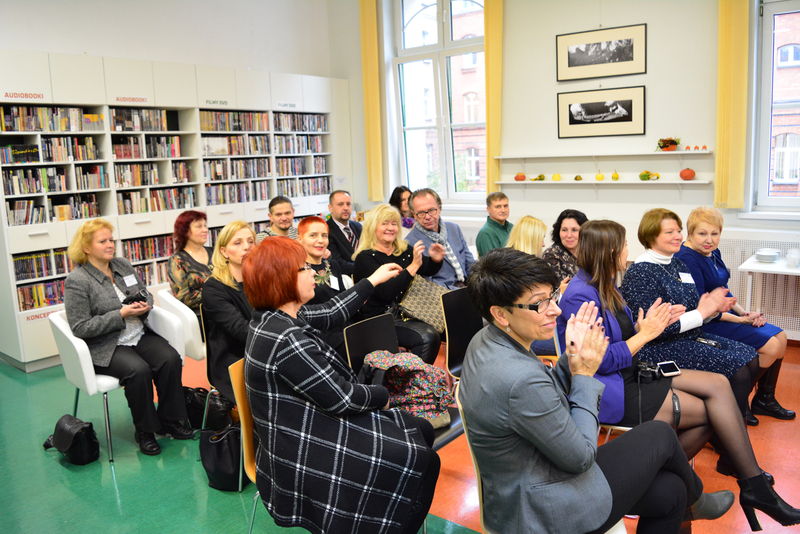 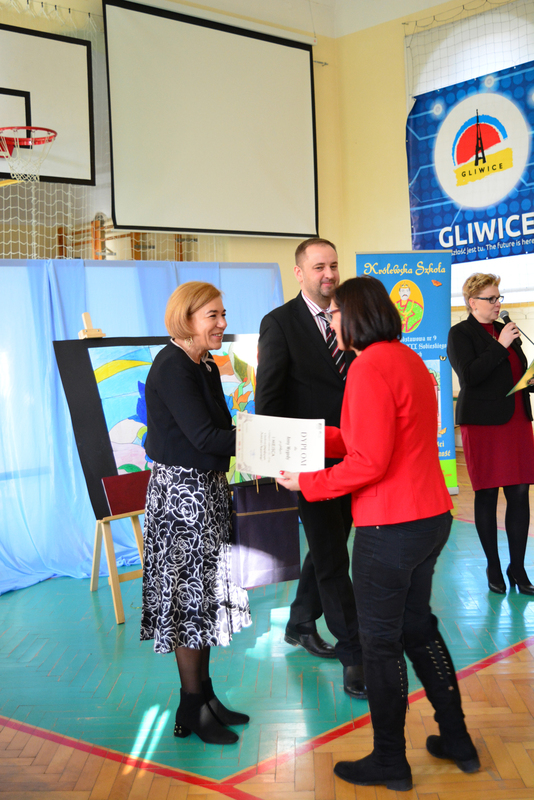 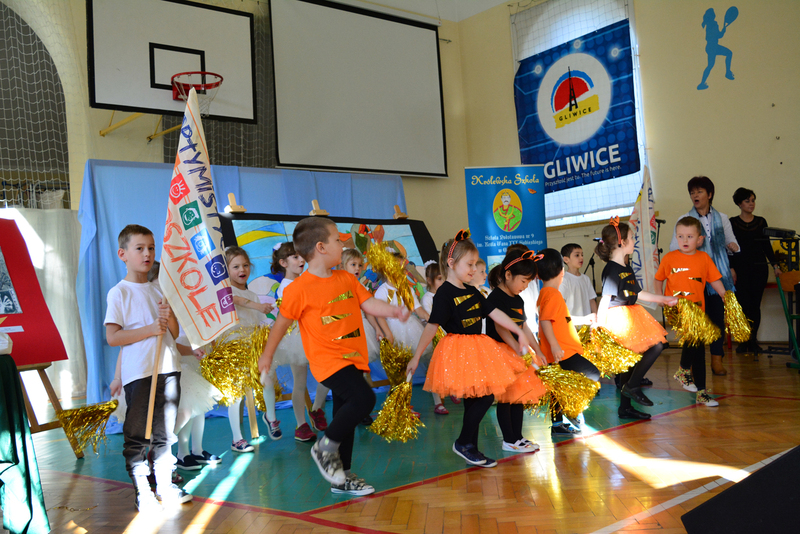 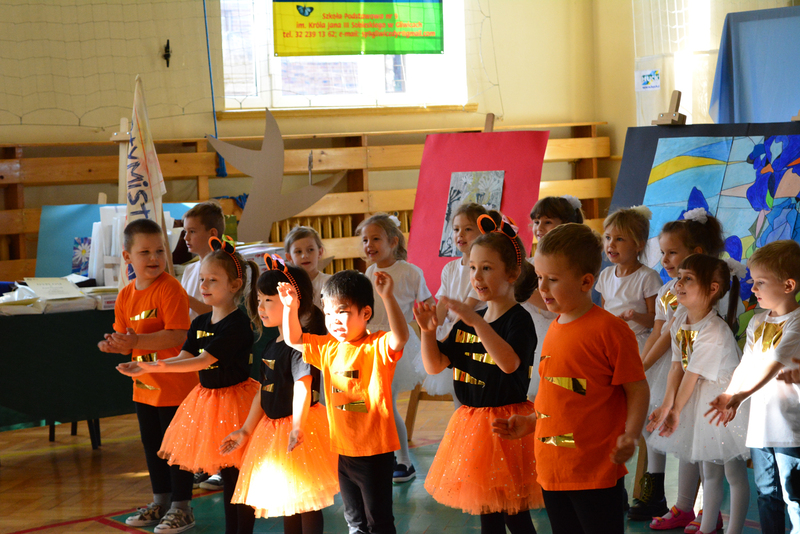 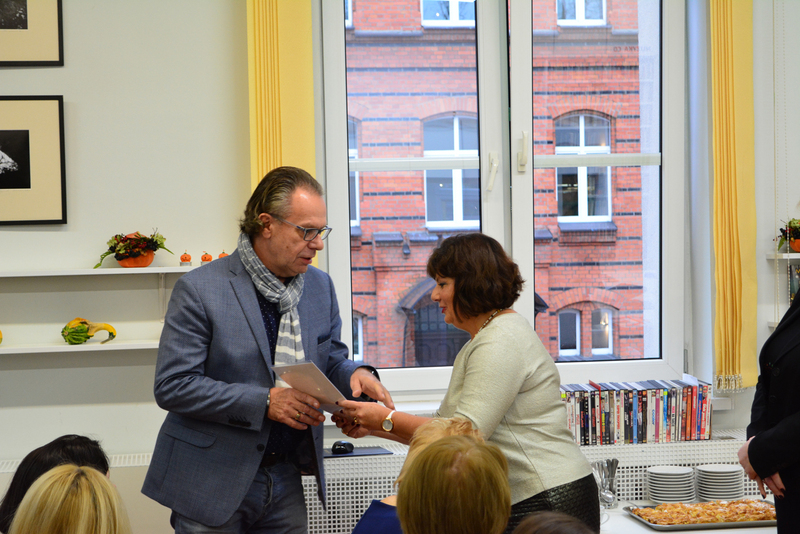 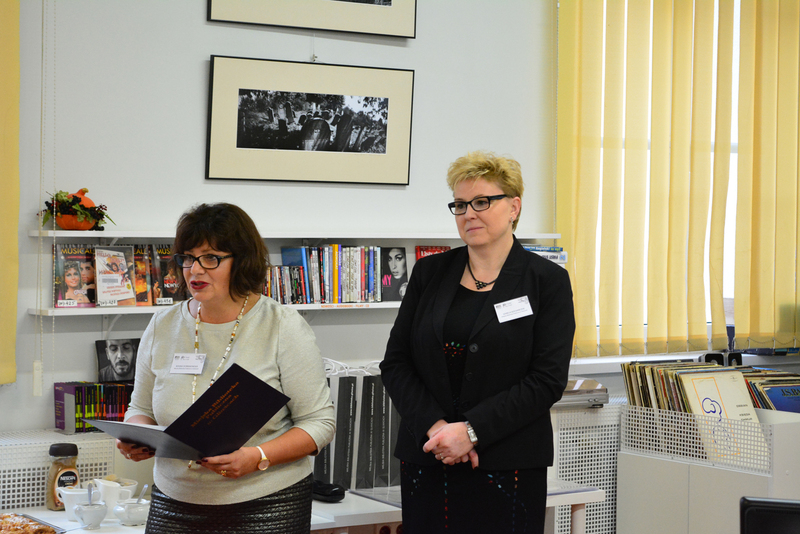 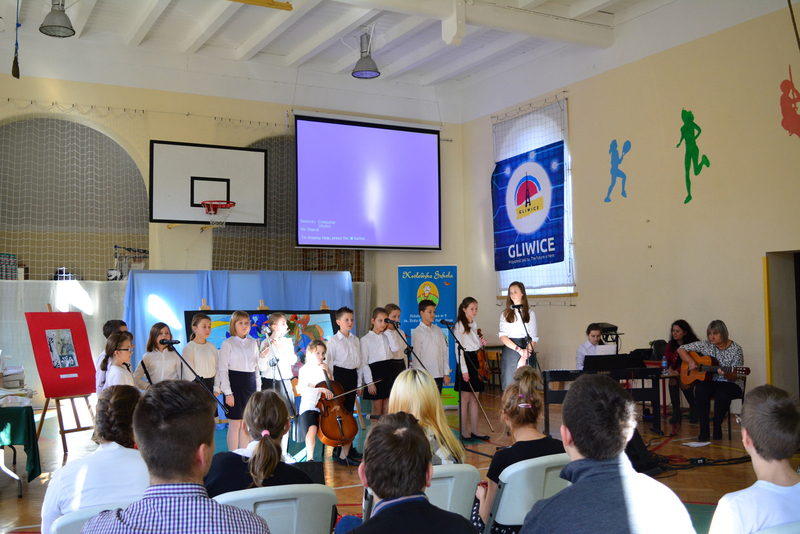 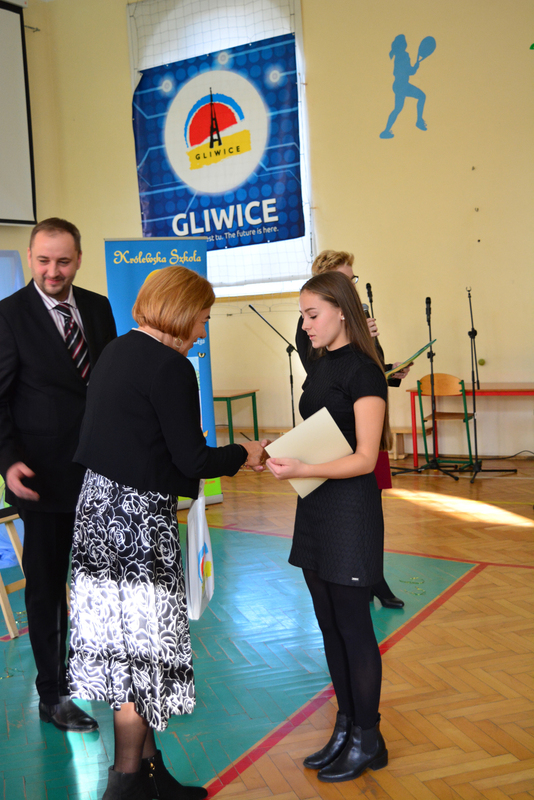 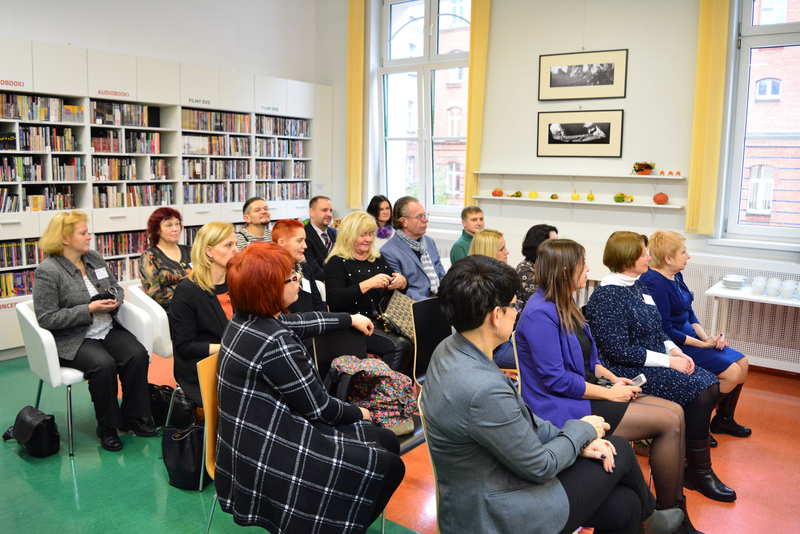 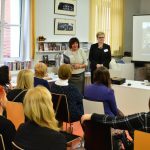 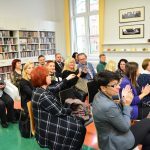 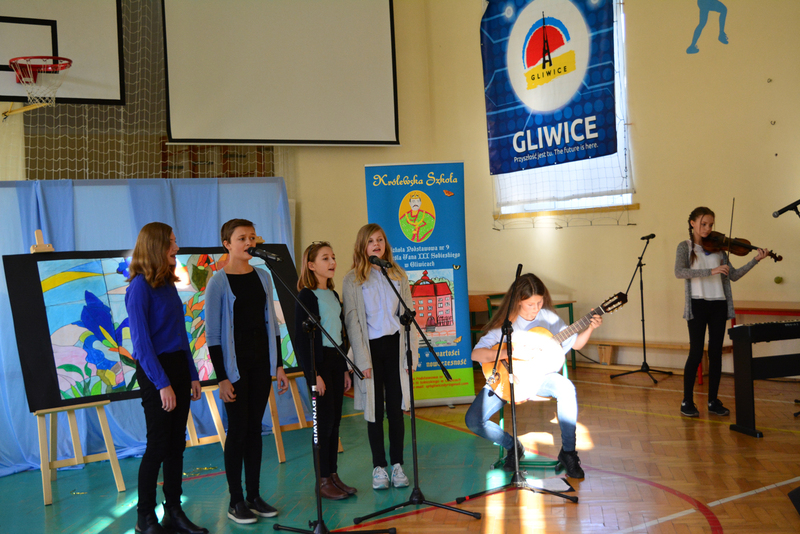 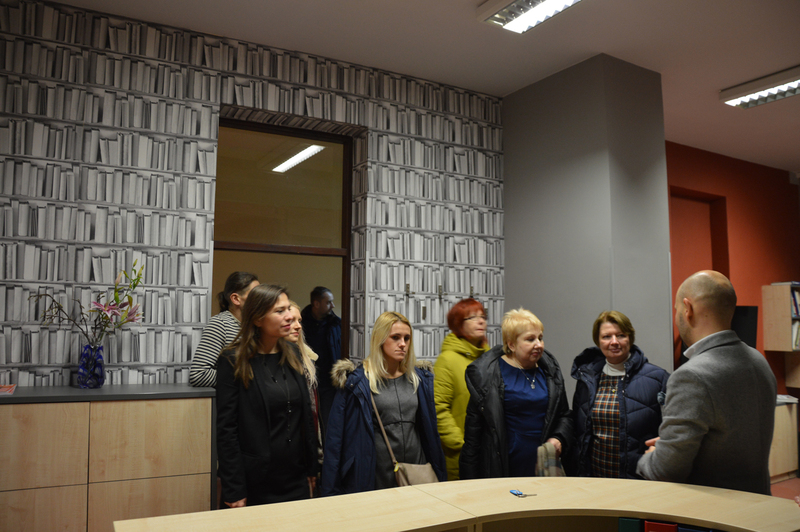 In Poland, performance of two-year actions of the Municipal Public Library in Gliwice was supported by 12 partners. 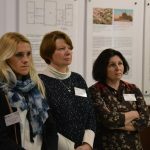 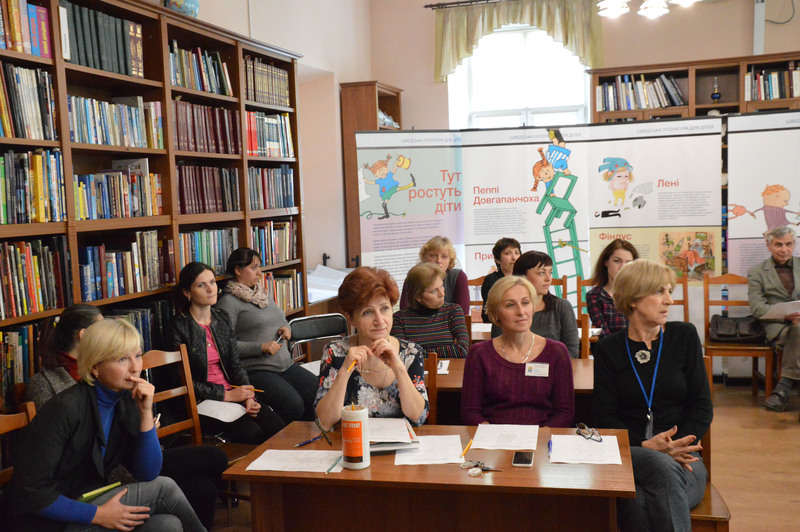 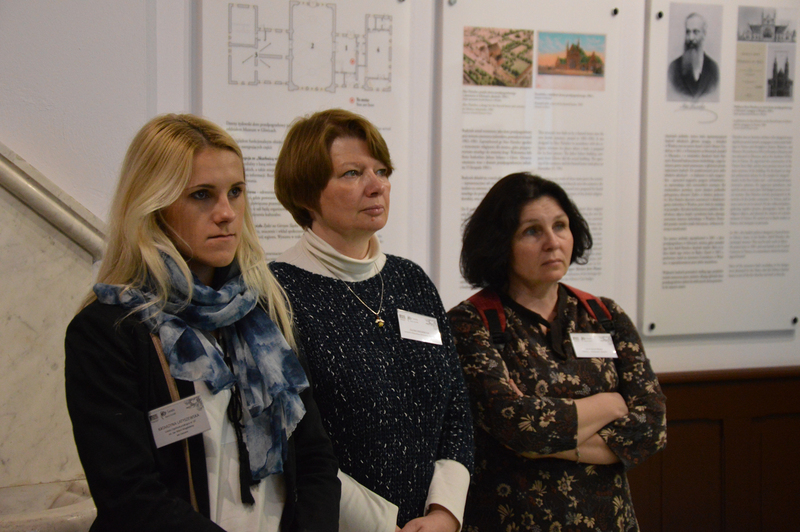 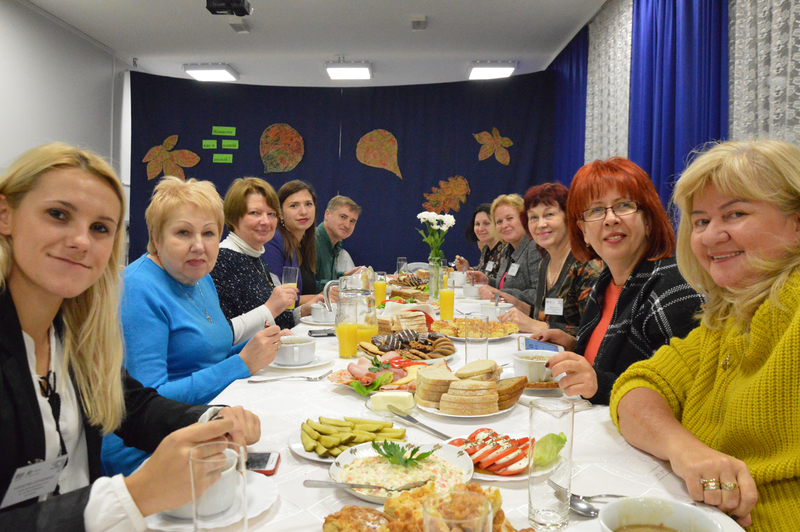 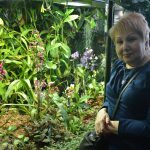 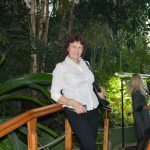 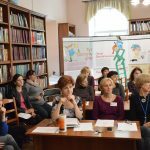 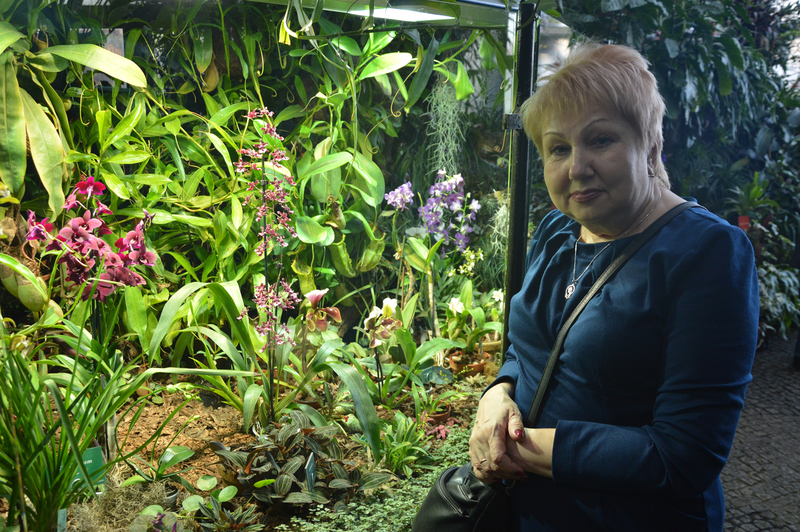 In Ukraine, the project was joined by 32 participants altogether. 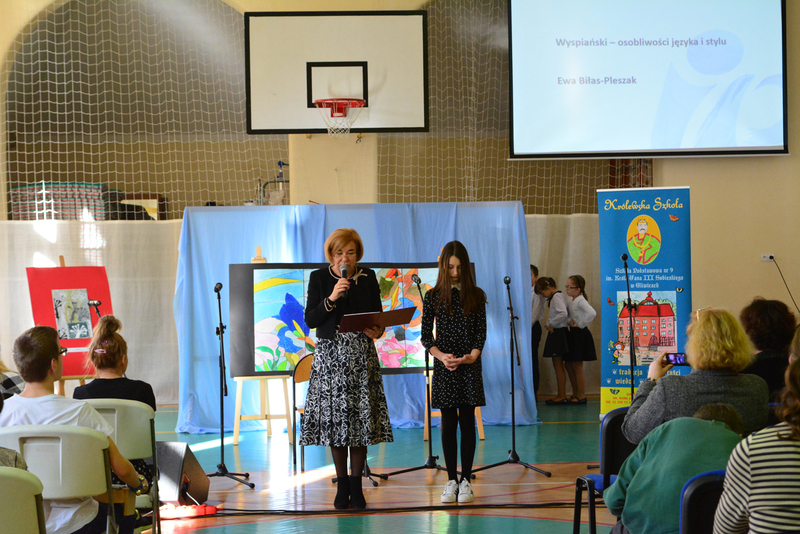 Media patronage was provided by: Dziennik Zachodni, TVP Kultura, Nasze Miasto. 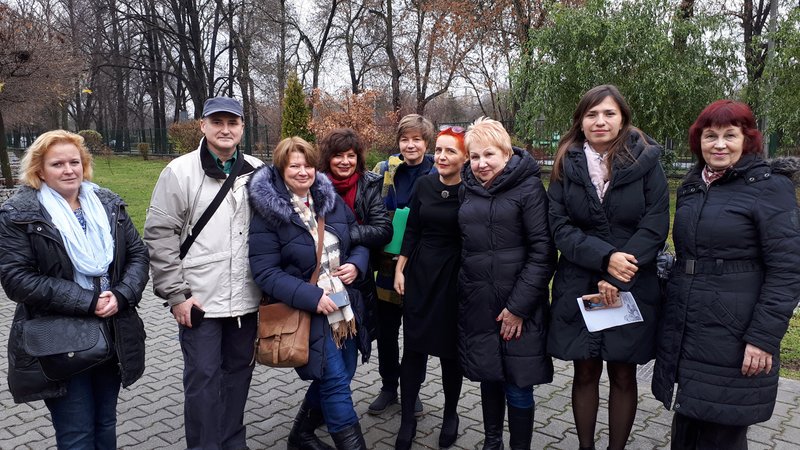 As a part of the international project You Give the World a Shape – 110th Anniversary of Stanisław Wyspiański’s Death a meeting was held with its partners and participants in Ukraine. 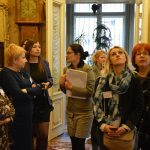 The study visit in Lviv lasted from 18 to 20 September 2017. 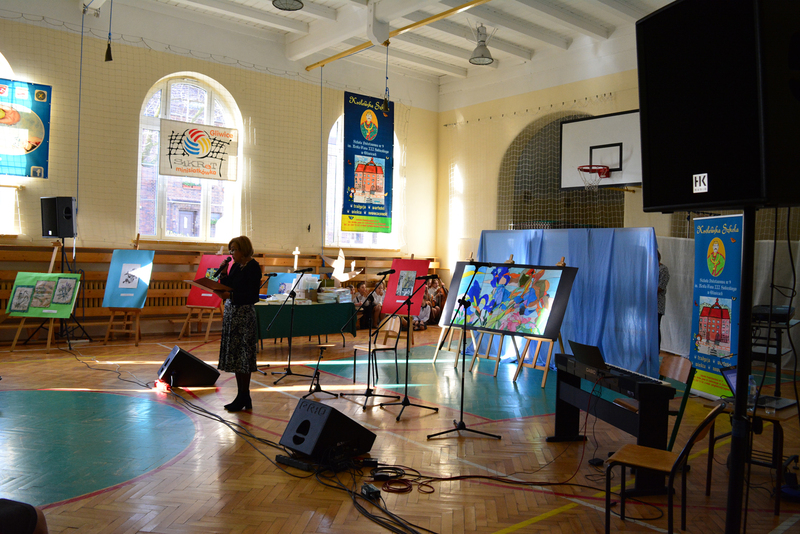 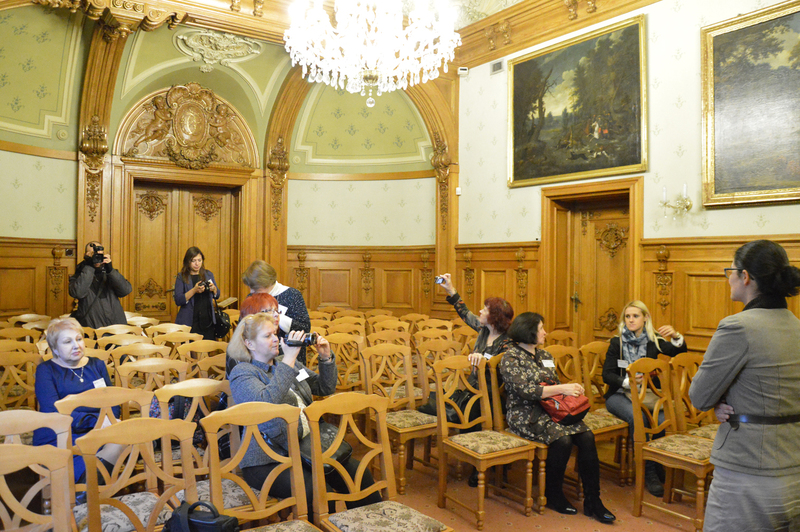 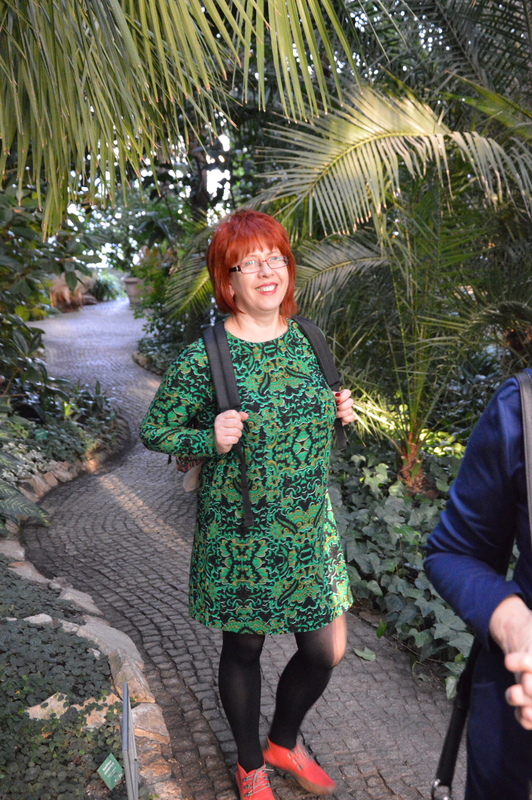 Its agenda included lectures and workshops on the works of the outstanding artist. 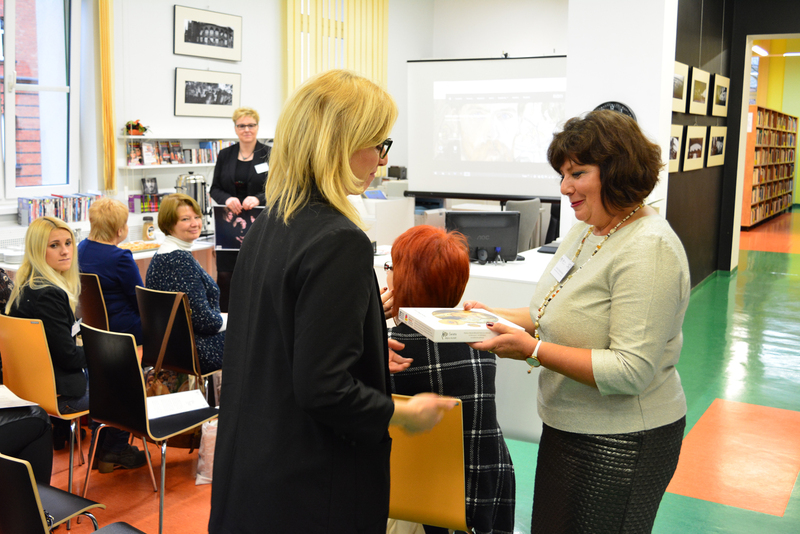 They were given by: Marta Romanowska – an art historian, lecturer in the Stanisław Wyspiański National Academy of Theatre Arts in Kraków, who has for many years been a curator of the National Museum in Kraków, Cecylia Mirela Nawrot – director of the PARTNER Centre for Practical Learning and Continuing Education in Gliwice, and Marta Frąckowiak – a PhD student of the Faculty of Arts of the University of Silesia in Cieszyn. 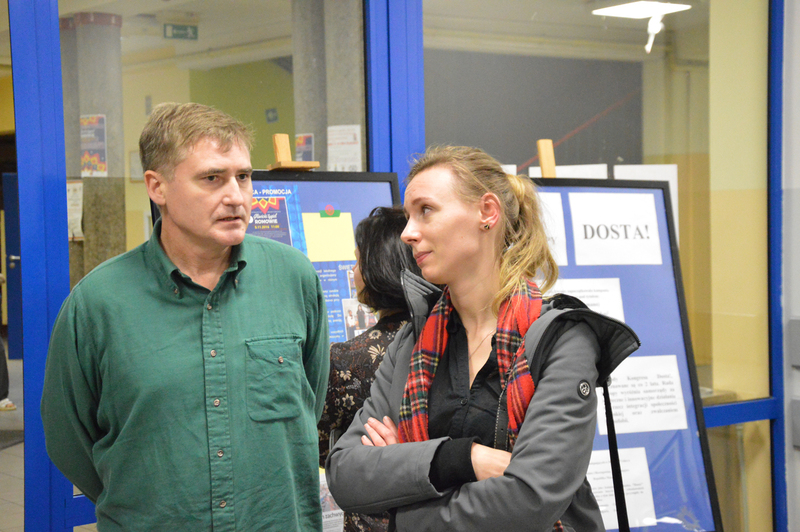 The project Organiser, i.e. 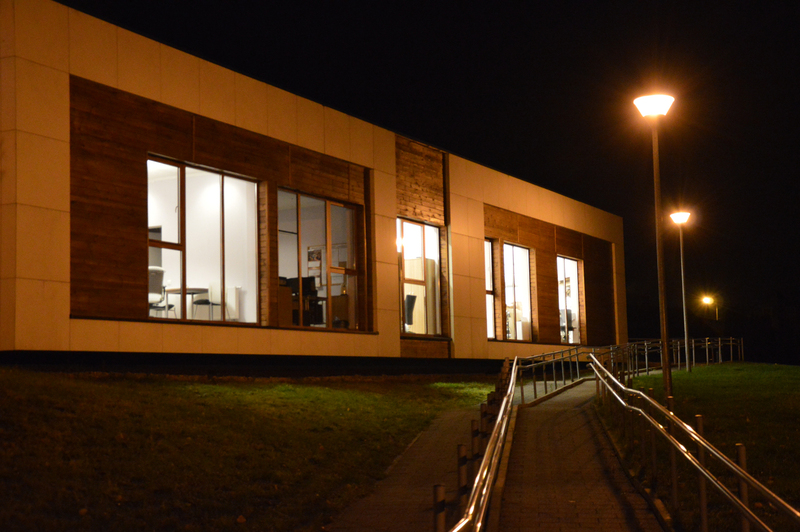 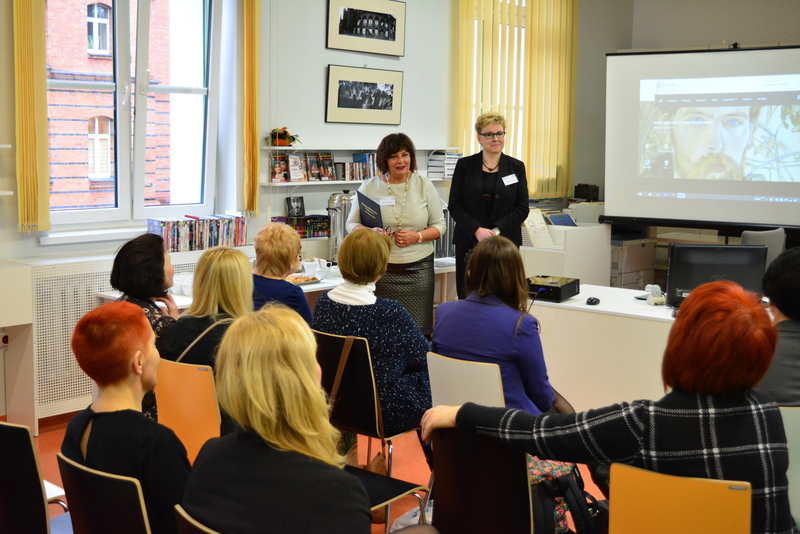 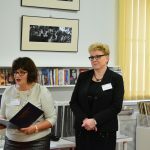 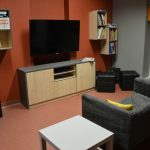 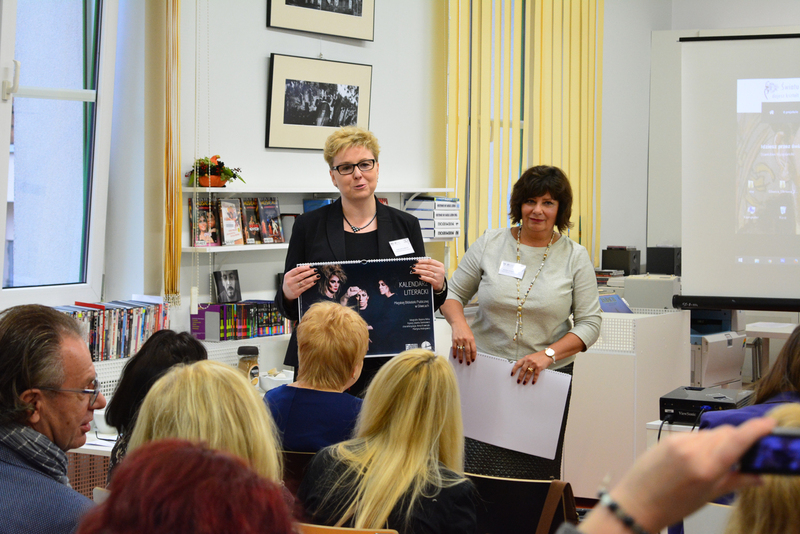 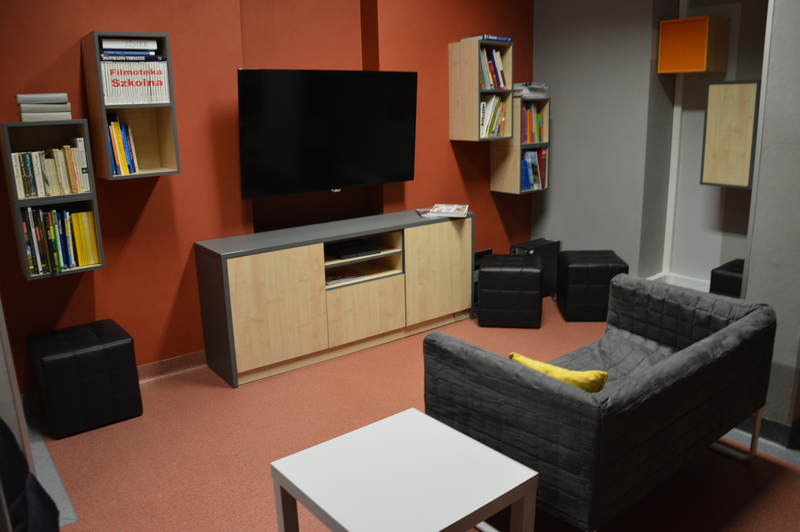 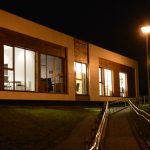 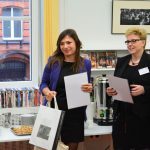 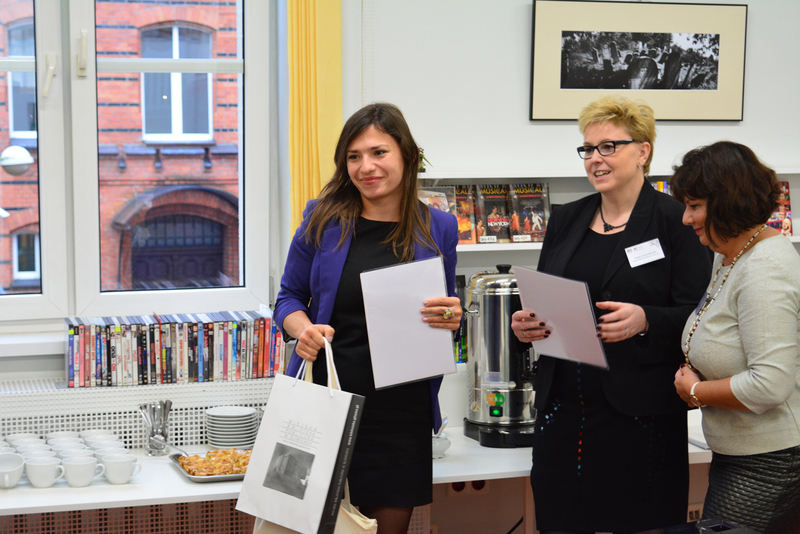 the Municipal Public Library in Gliwice, was represented by: Izabela Kochańczyk – deputy director and Marta Kryś – manager of the Instruction and Methodology Department. 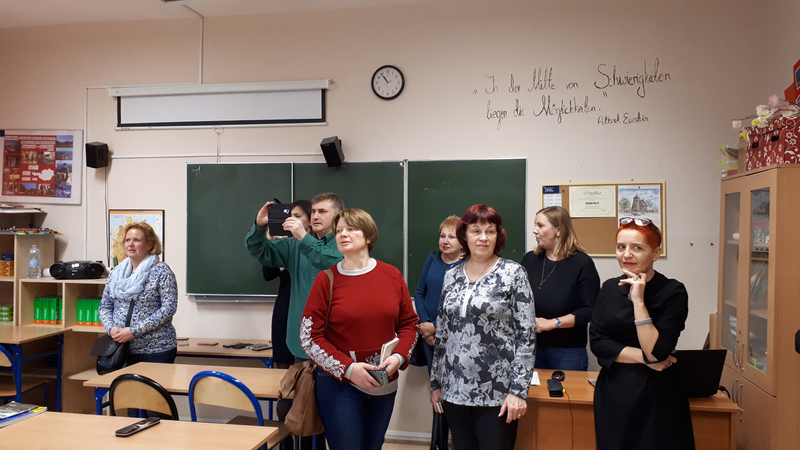 The visit started with the meeting with Prof. Wołodymir Odrechivsk, Rector of the Lviv National Academy of Fine Arts – a strategic partner of the project. 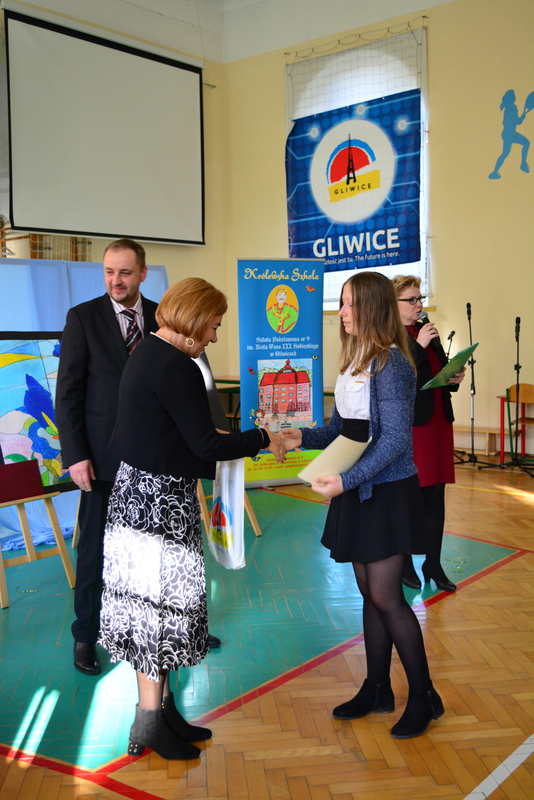 The Rector heartily thanked and accoladed the whole enterprise. 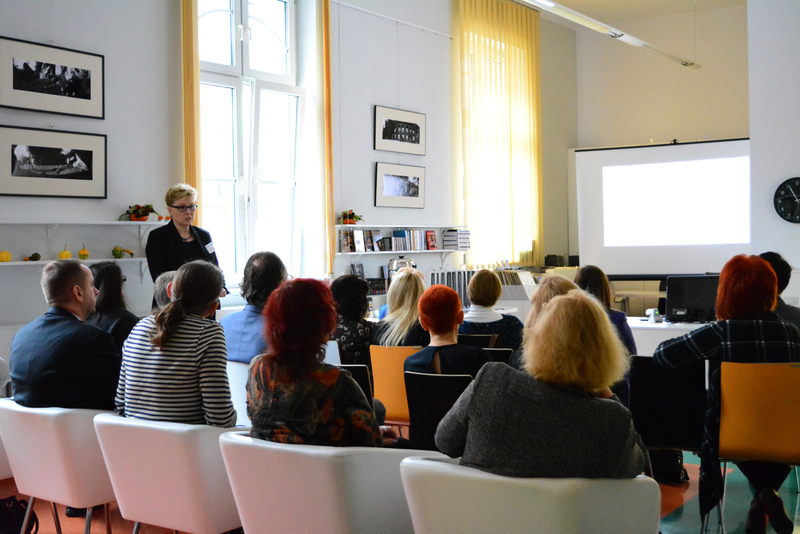 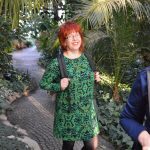 Marta Romanowska gave a lecture titled Master and Student – Jan Matejko and Stanisław Wyspiański and Their Spaces of Visual Creation. 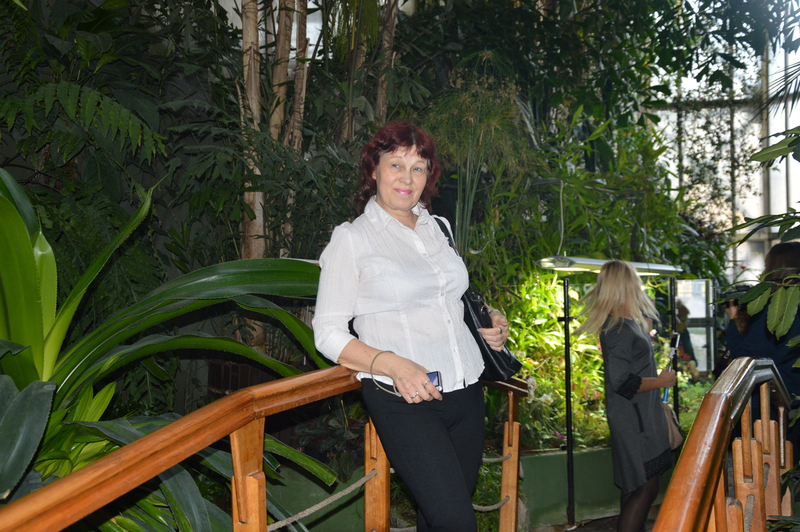 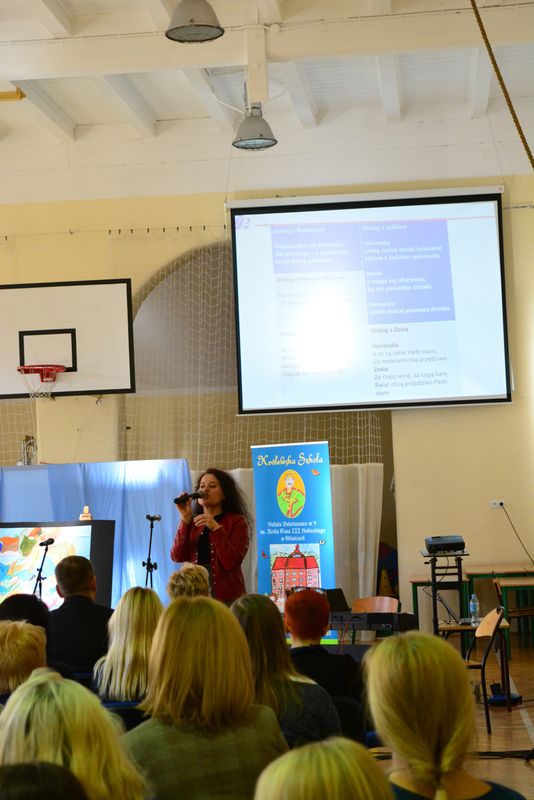 Izabela Kochańczyk discussed performance of the project in the years 2016-2017. 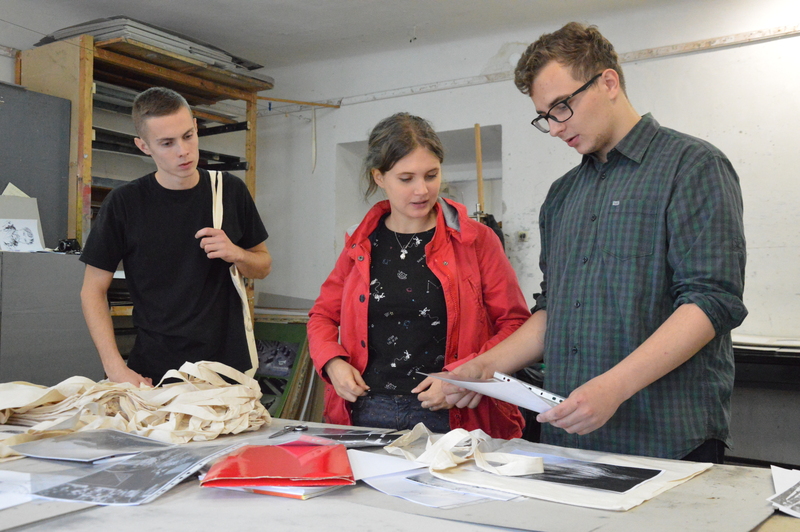 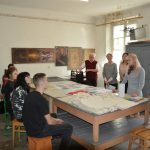 Afterwards, in the graphic studio, a workshop was held under the guidance of Marta Frąckowiak on transferring a picture into fabric. 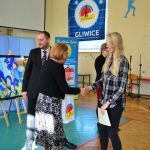 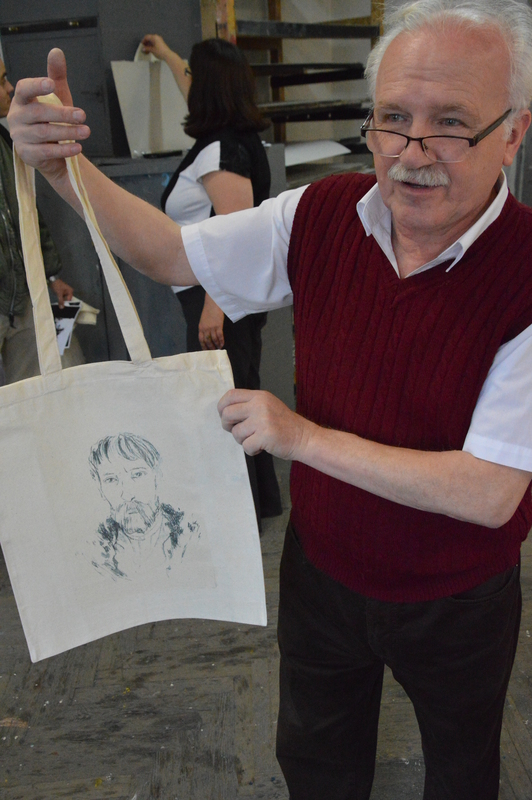 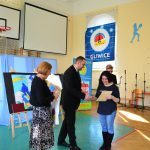 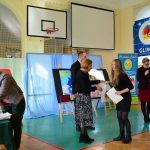 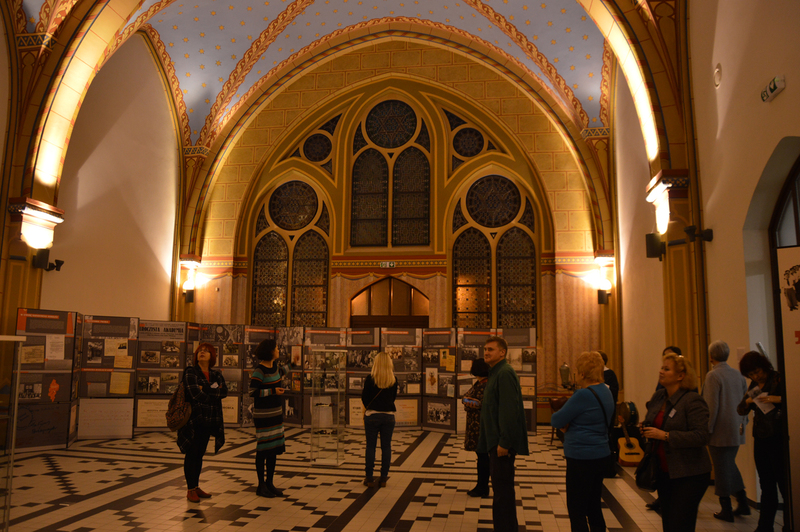 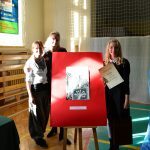 The Lviv Acacemy was the first place to present the works submitted for the competition for a Graphic Inspired by the Works of Stanisław Wyspiański. 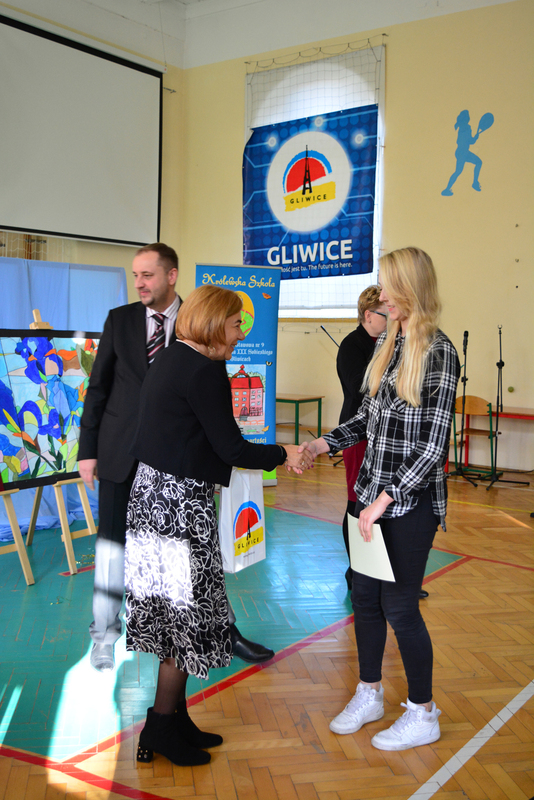 In the following months, the exhibition will be shown in Gliwice and Cieszyn. 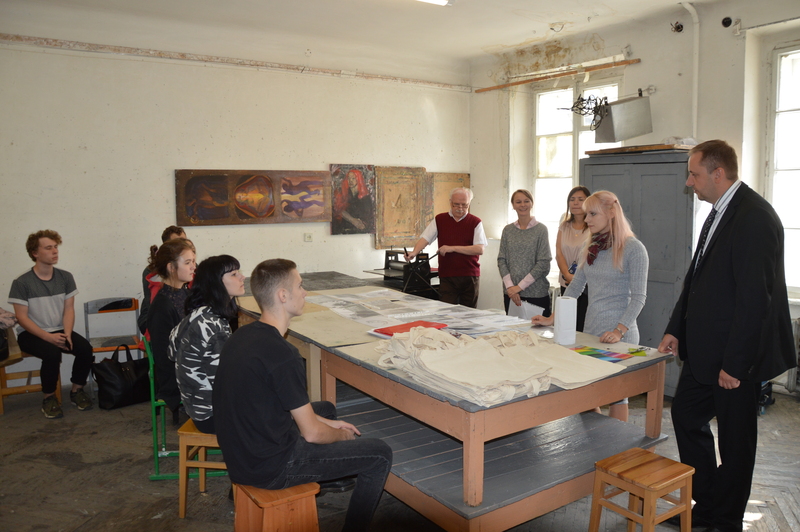 The competition was co-organised by the Faculty of Fine Arts of the University of Silesia in Katowice. 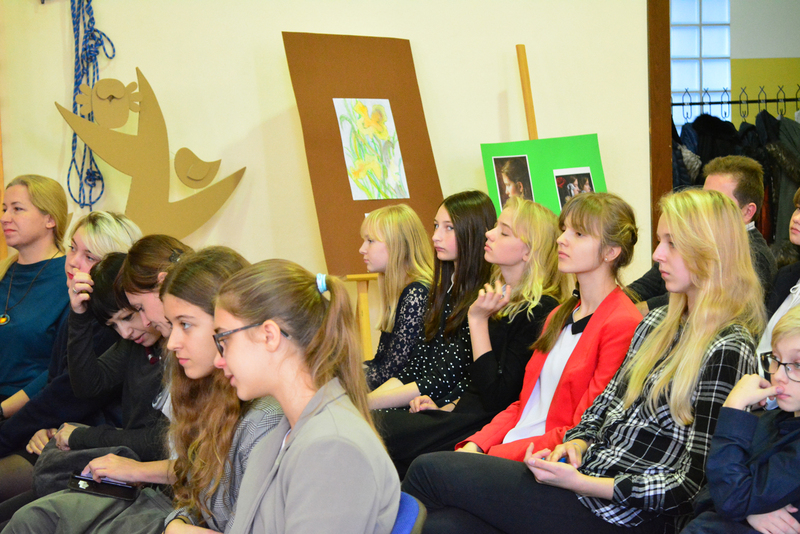 The second day’s meetings were planned in the Saint Mary Magdalena Comprehensive Secondary School no 10. 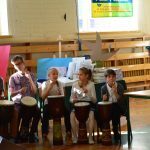 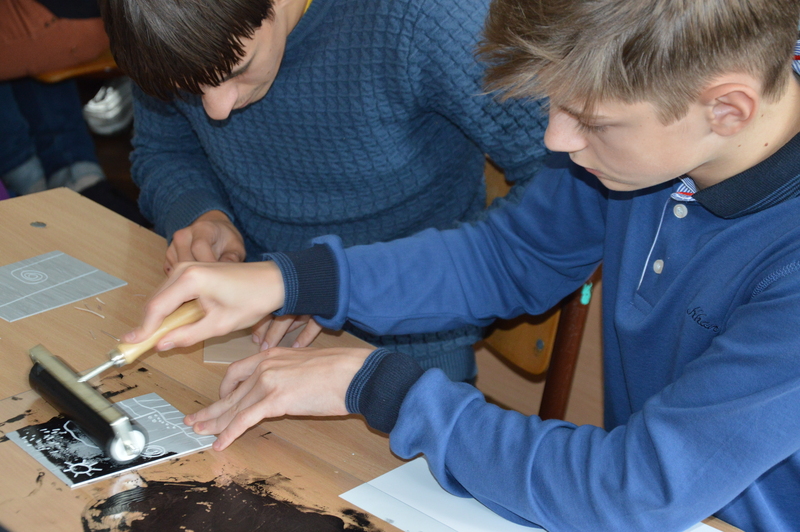 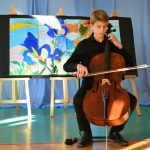 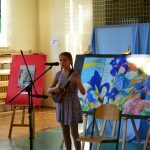 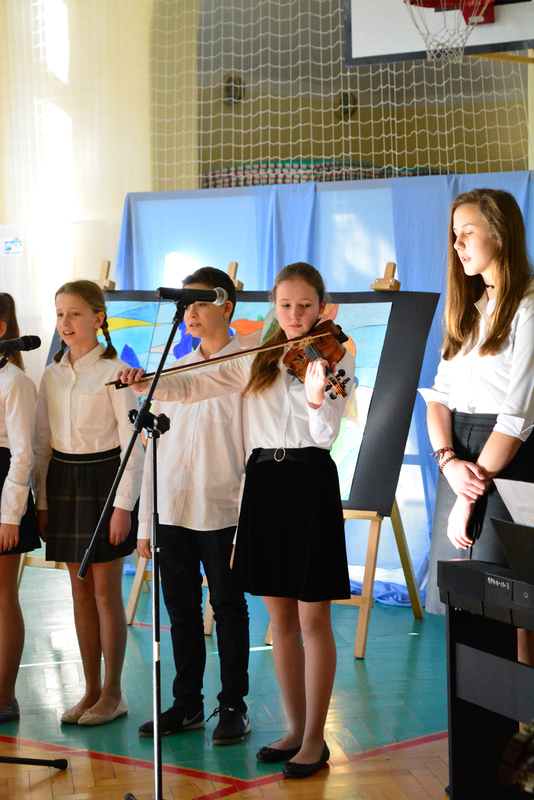 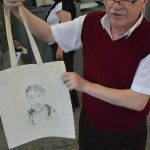 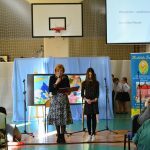 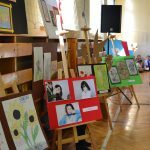 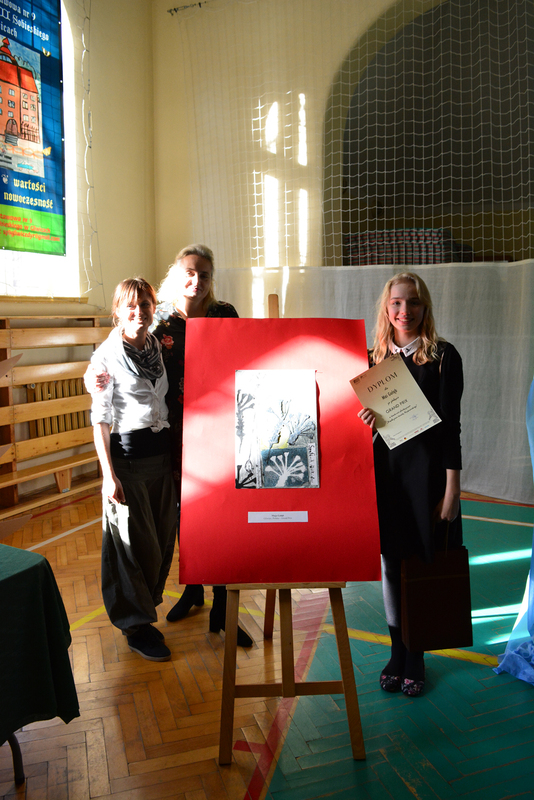 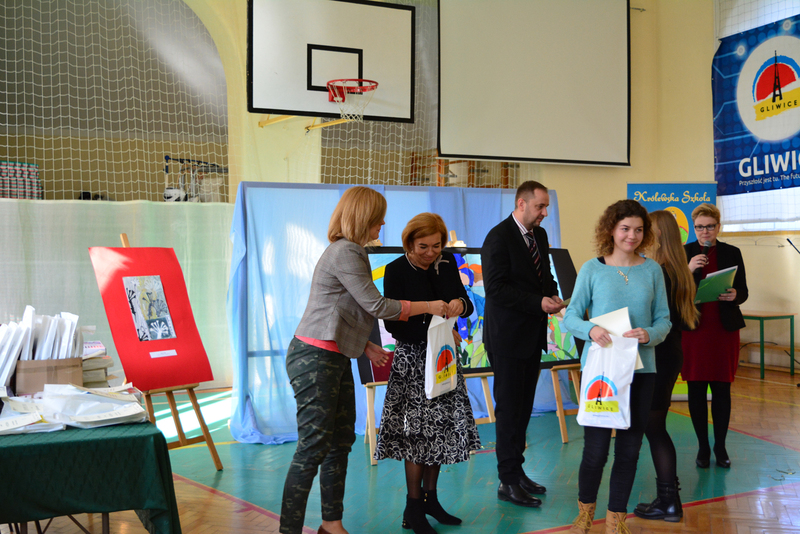 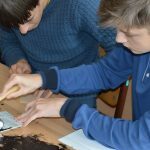 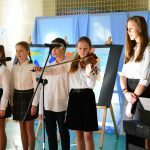 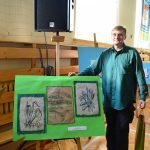 Pupils took part in art workshops, and the person supervising them presented the values of linocut and encouraged young participants to search for inspirations in works of the author of The Wedding. 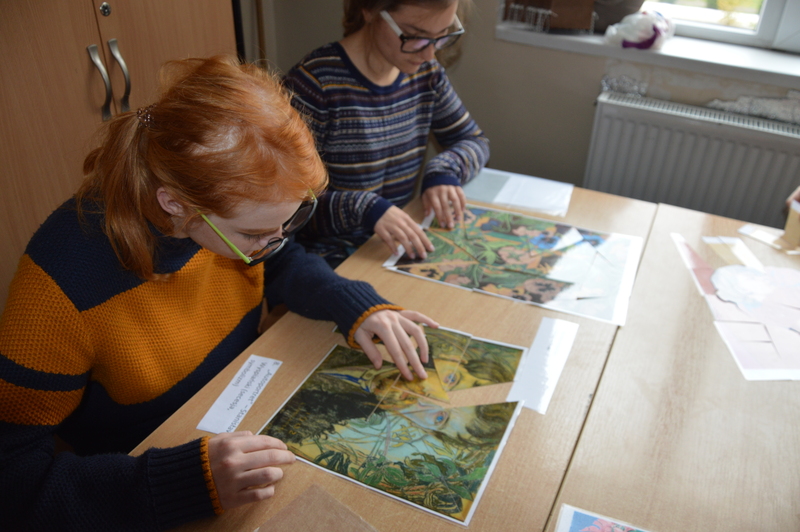 At the same time, a group of the youth learned how to play the board game – Wyspiański under the Microscope. 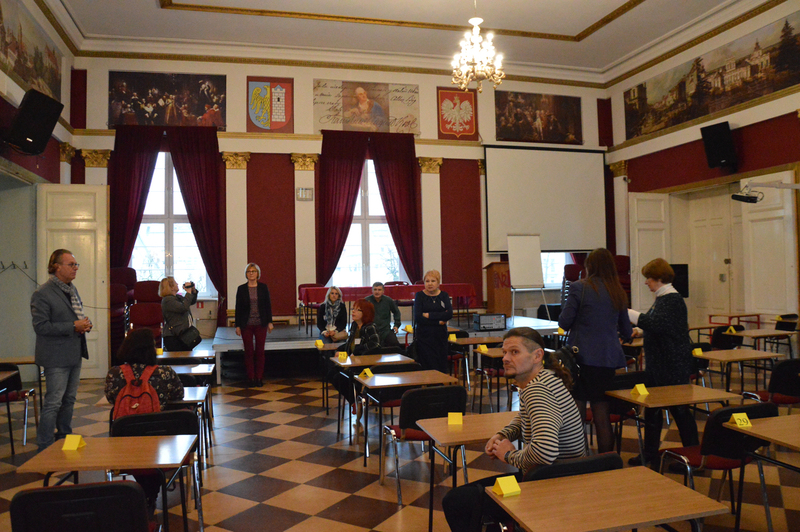 Rules of the game, which was developed under the You Give the World a Shape project, were presented by Marta Kryś. 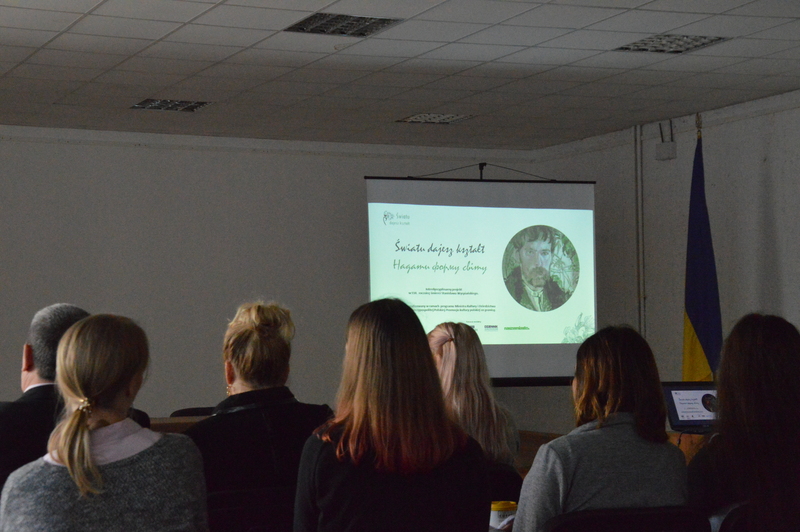 And Marta Romanowska, in her presentation on Stanisław Wyspiański – Signs of Life and Death, drew the audience’s attention to methods of education and presentation of the Polish artist’s works. 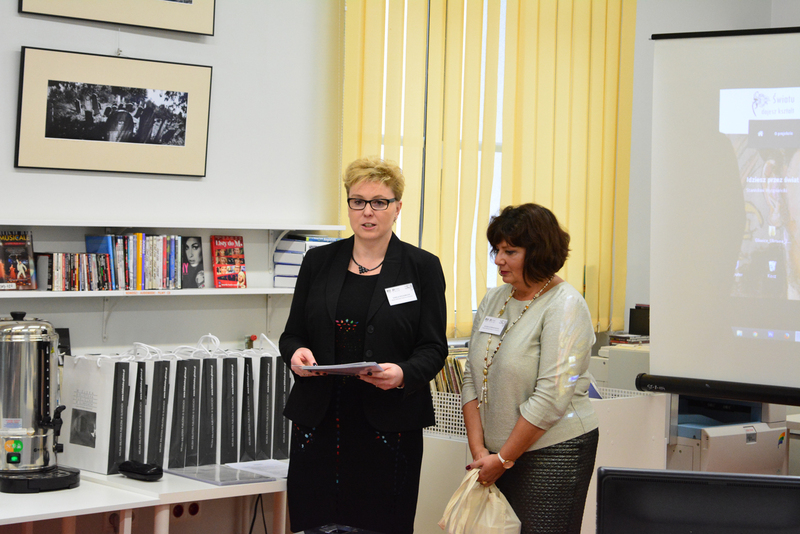 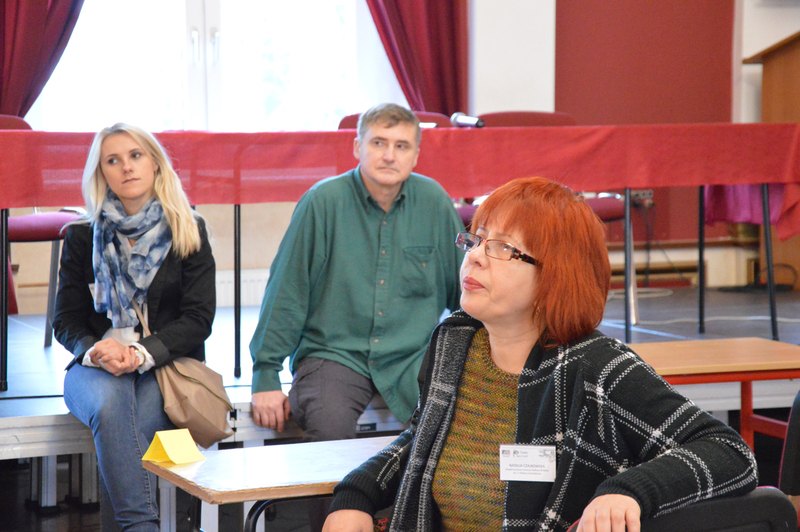 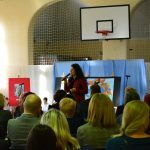 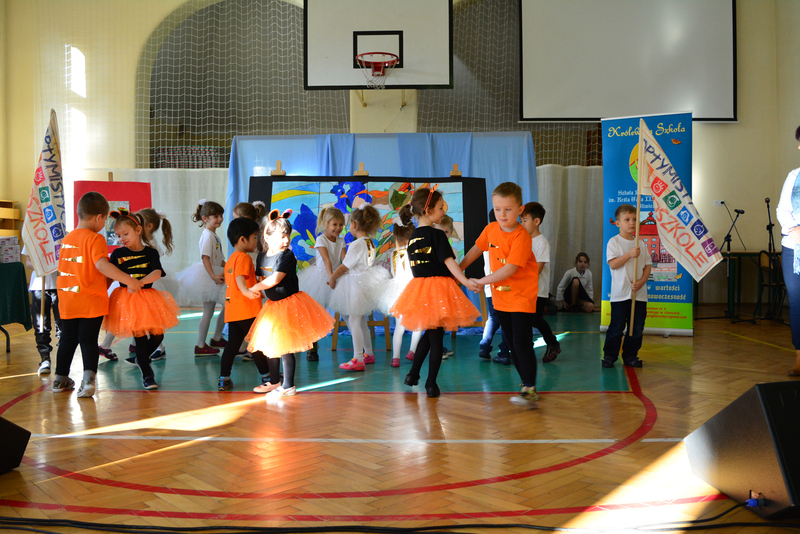 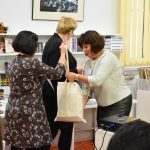 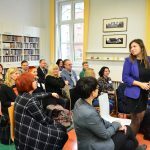 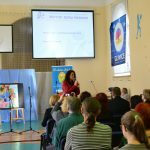 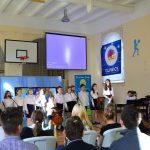 At the end, Cecylia Mirela Nawrot conducted a workshop on teaching pupil’s key competences. 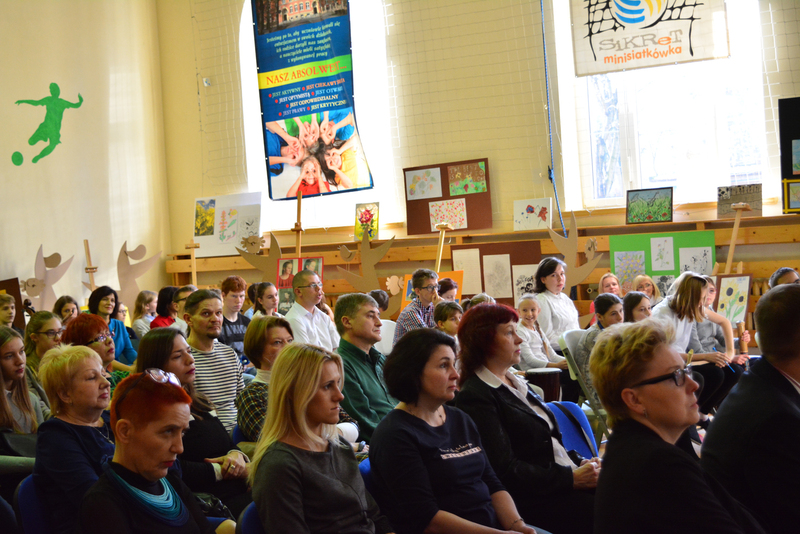 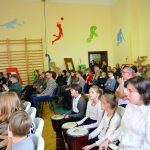 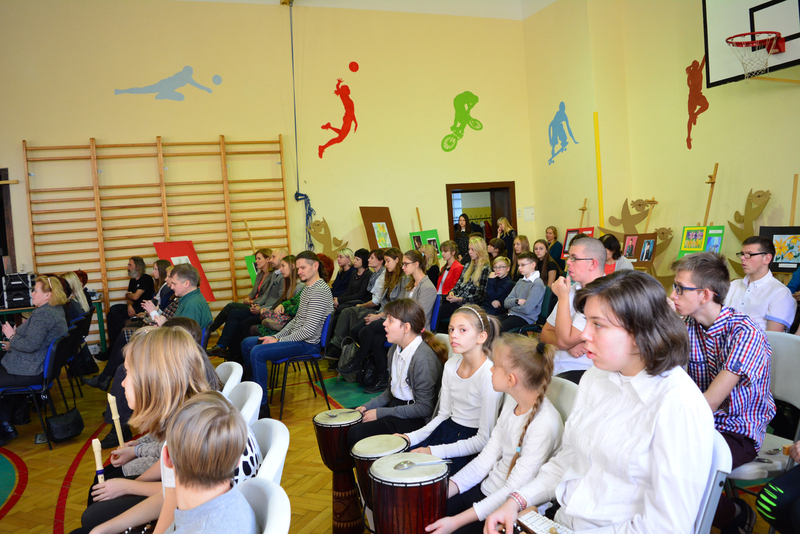 The venue of the latter events was the Lviv Regional Library for Children. 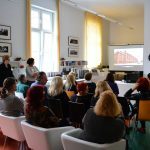 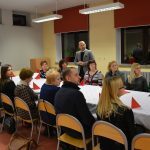 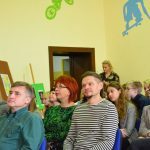 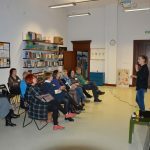 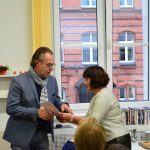 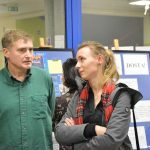 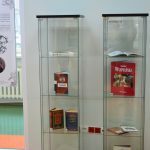 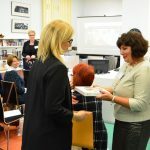 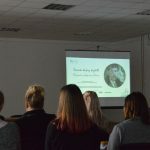 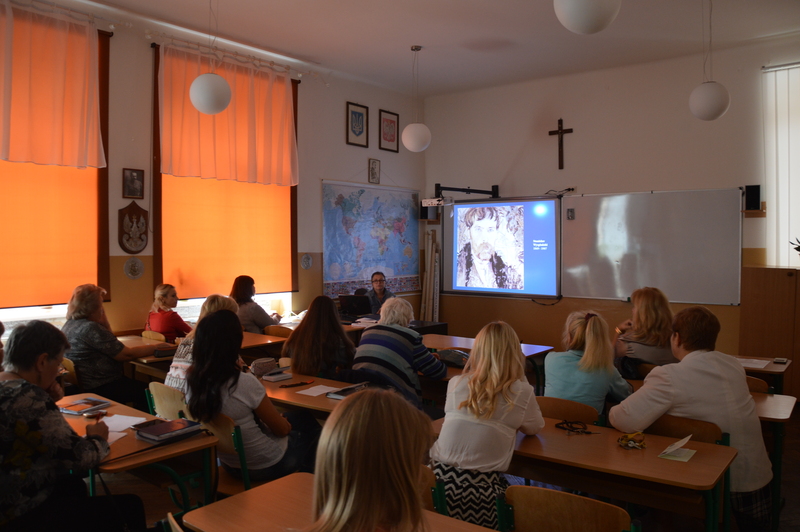 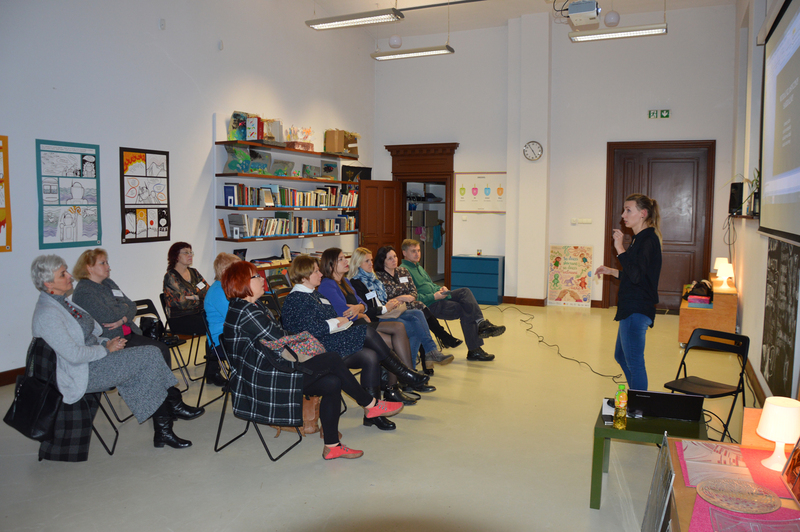 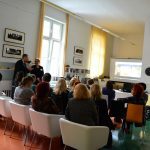 The lecture titled Stanisław Wyspiański and His Reform of Typography was attended by librarians, readers, enthusiasts of Polish culture and students of the department of theatre studies of the National University of Lviv. 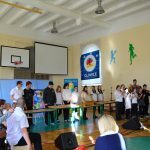 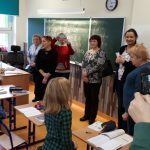 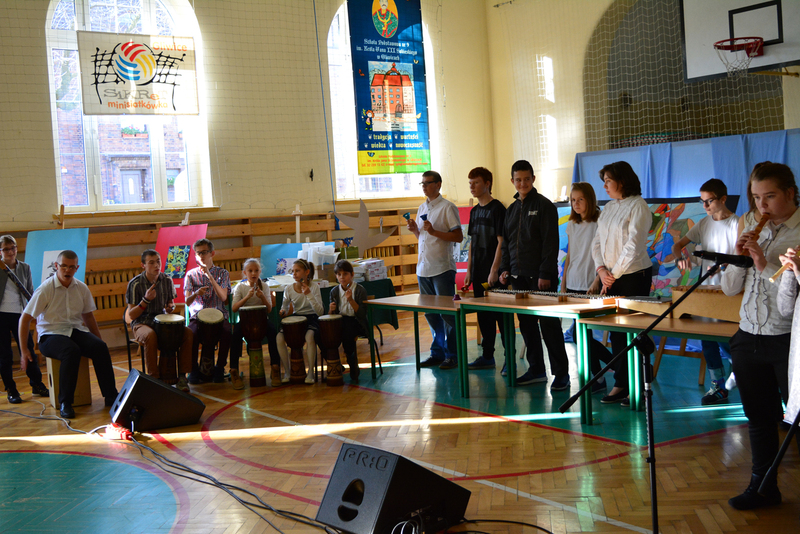 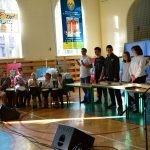 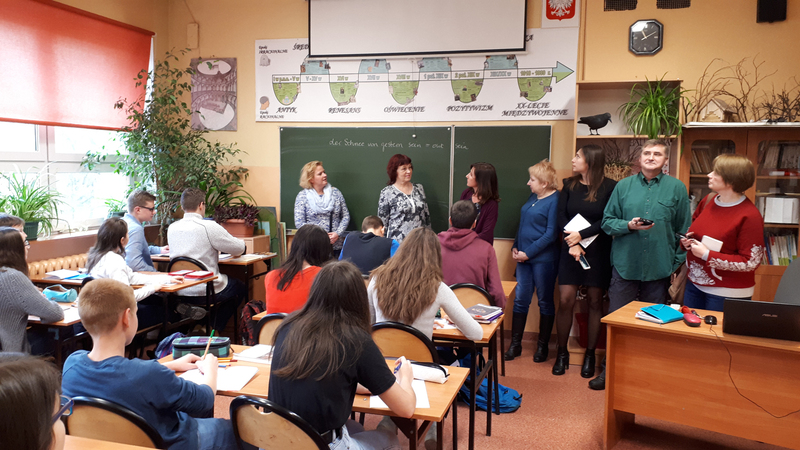 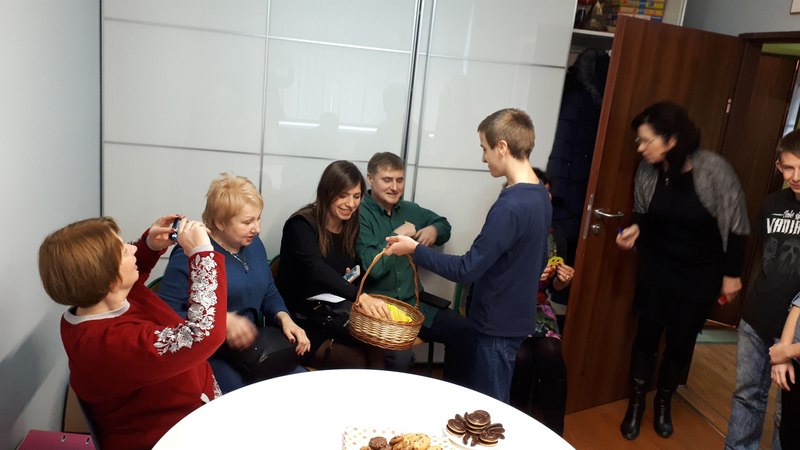 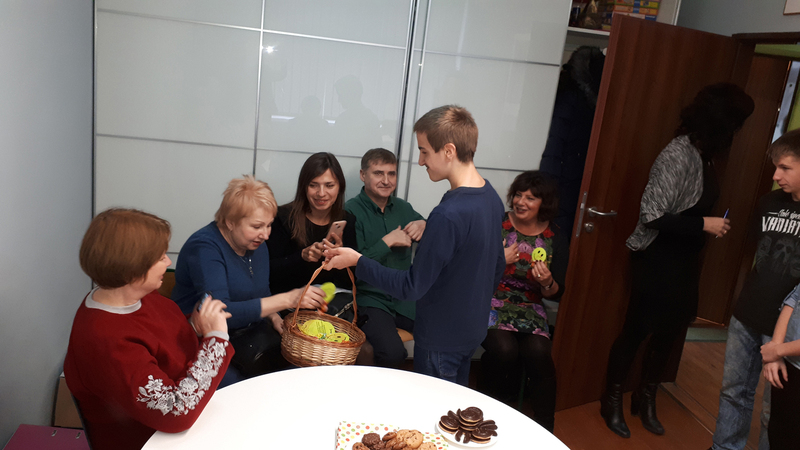 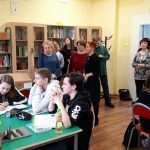 The subsequent graphic workshops on mono-typing were attended by children from the John III Sobieski Saturday School from Yavoriv and Maria Konopnicka Comprehensive Secondary School no 24 in Lviv. 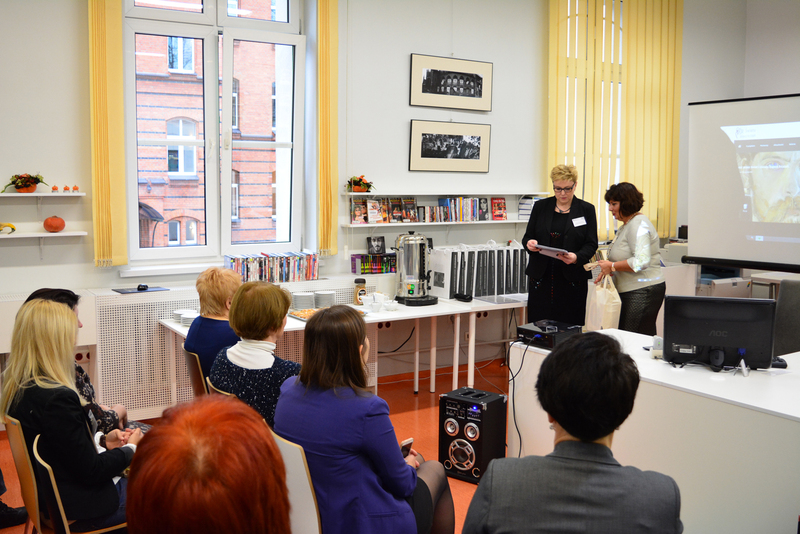 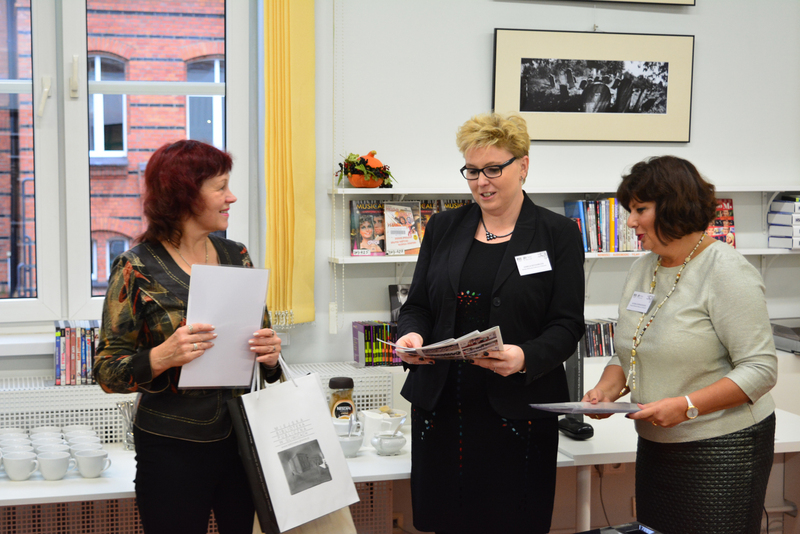 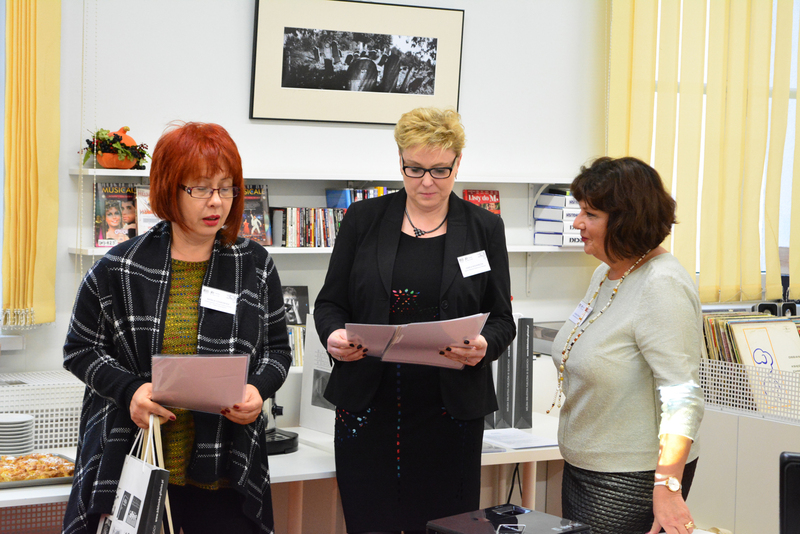 That day’s agenda included also workshops on models of reading competencies developments and on the board game. 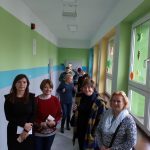 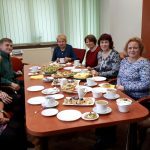 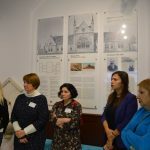 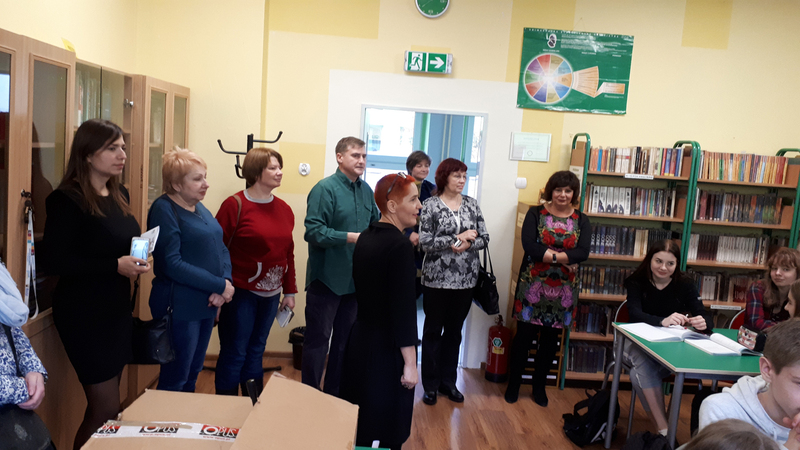 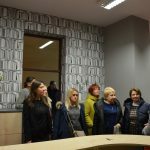 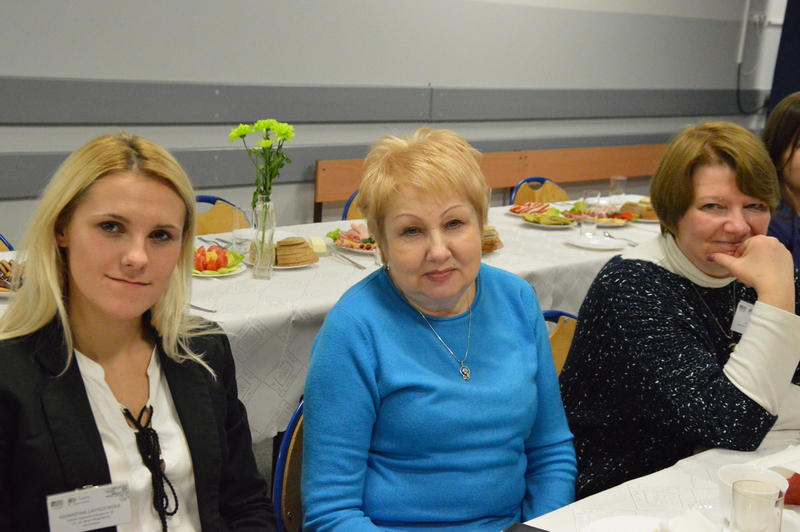 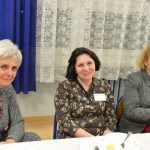 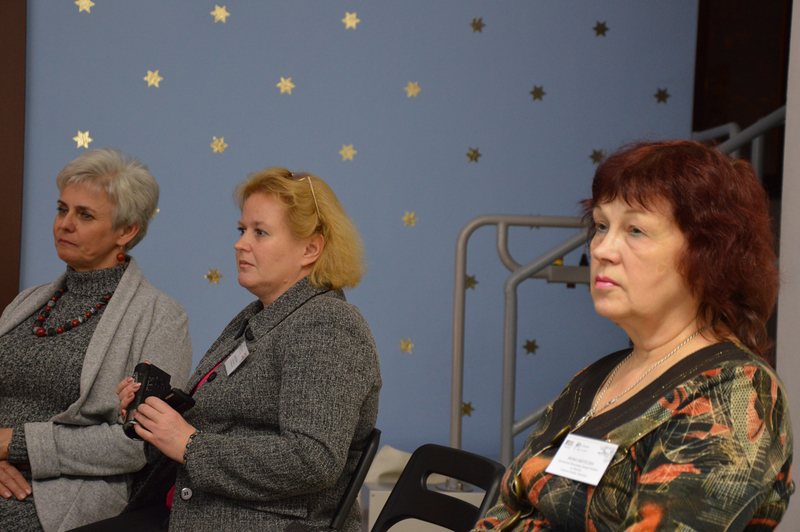 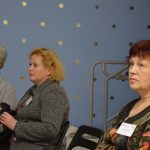 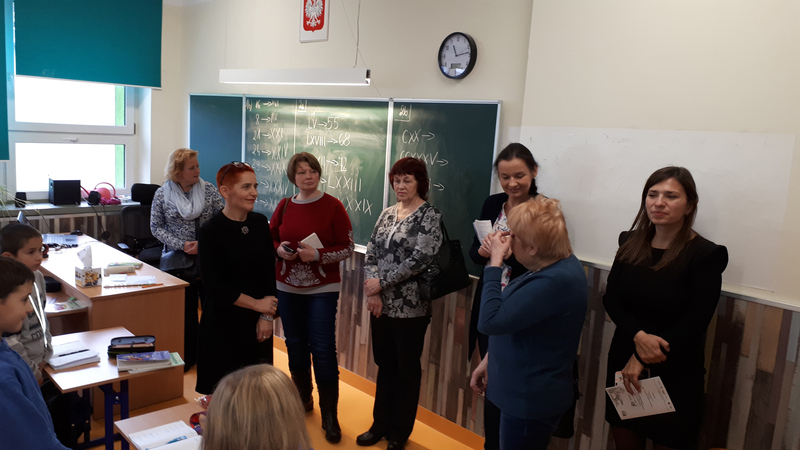 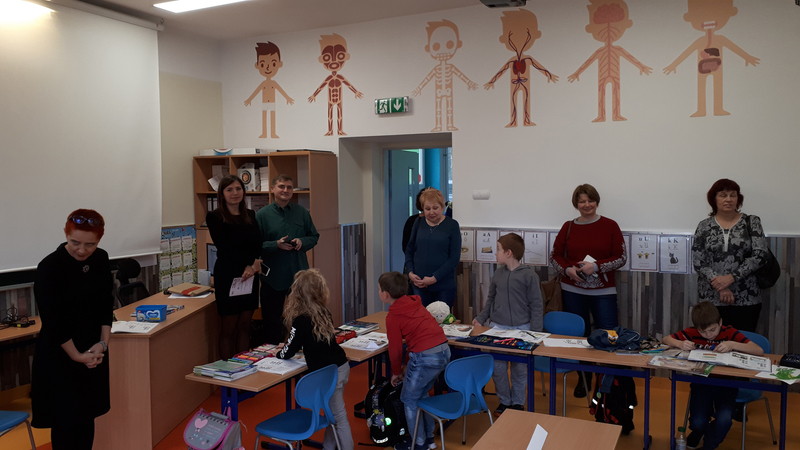 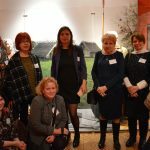 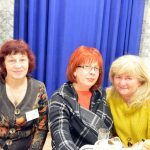 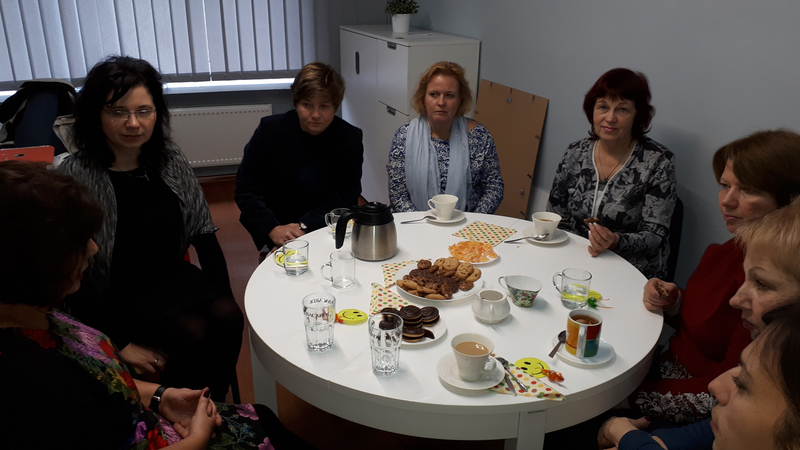 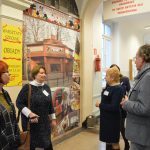 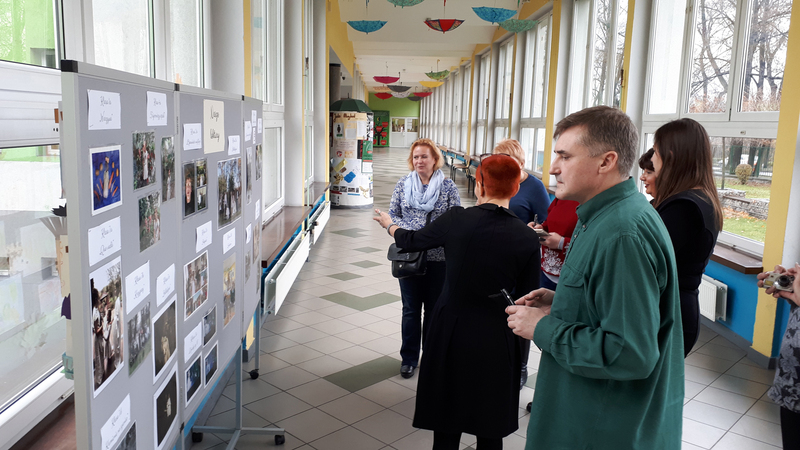 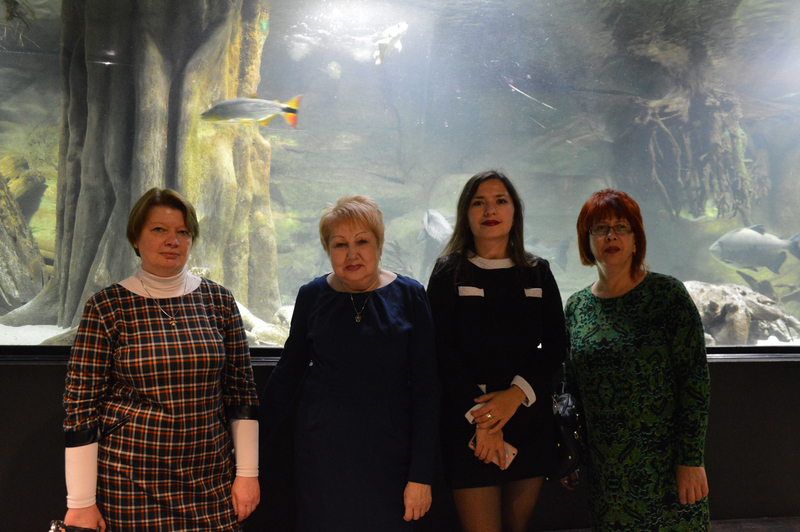 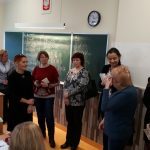 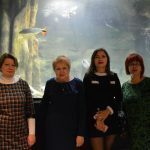 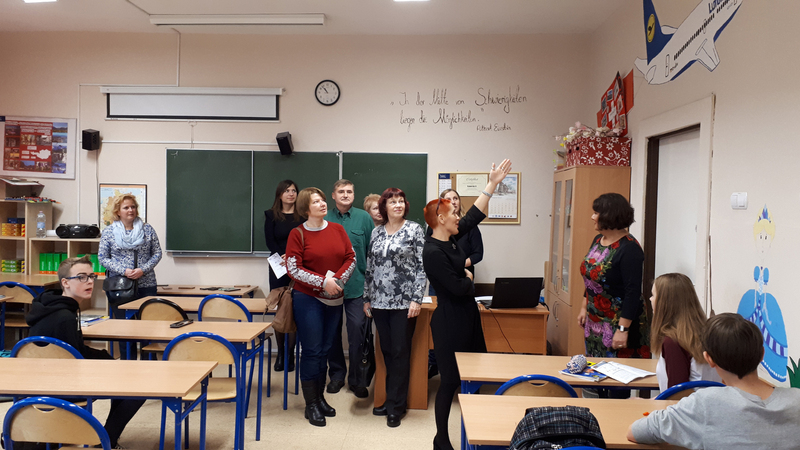 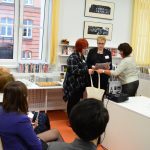 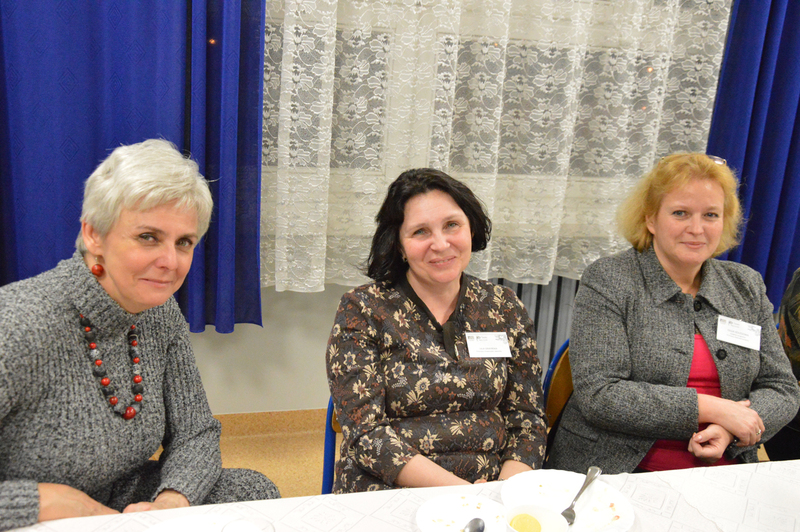 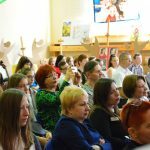 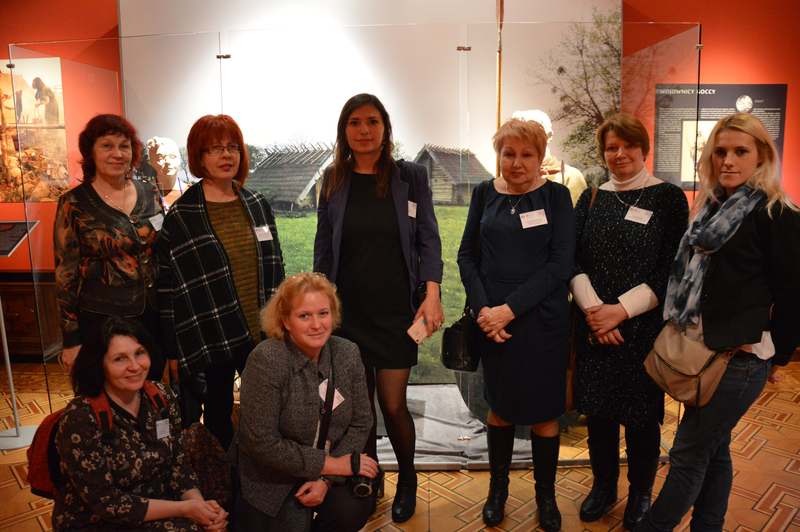 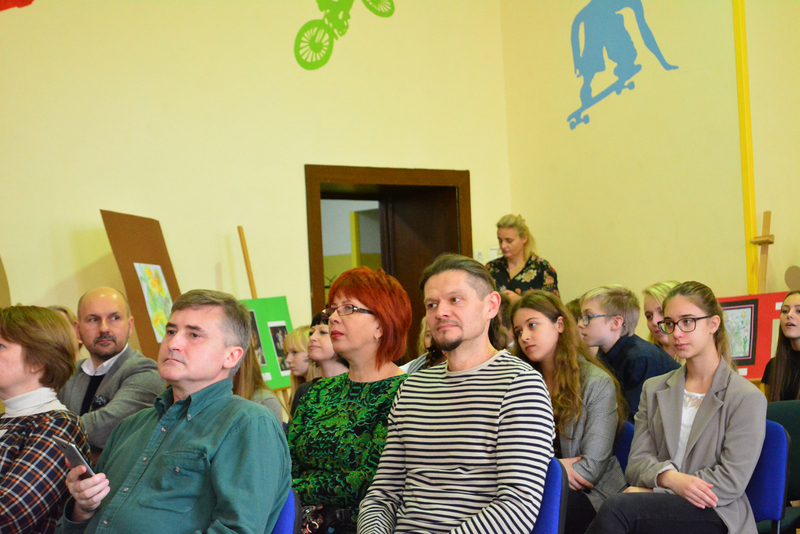 Among attendees of the meetings were inter alia representatives of the University of Polish Studies of the Yavoriv Town, T Padura Polish Centre of Culture Association in Koziatyn and Regional Library for Children in Sambor. 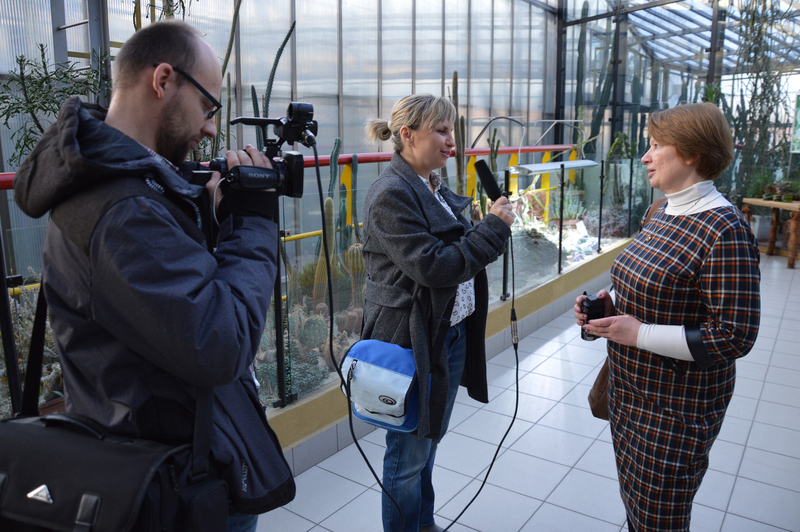 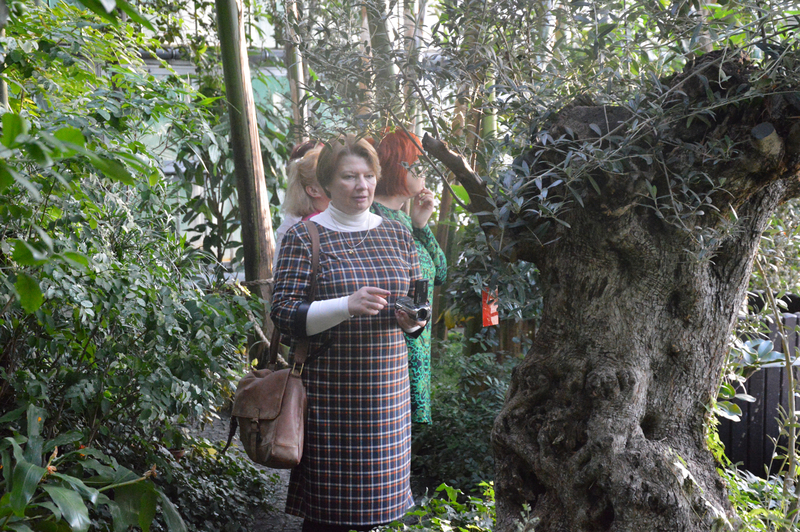 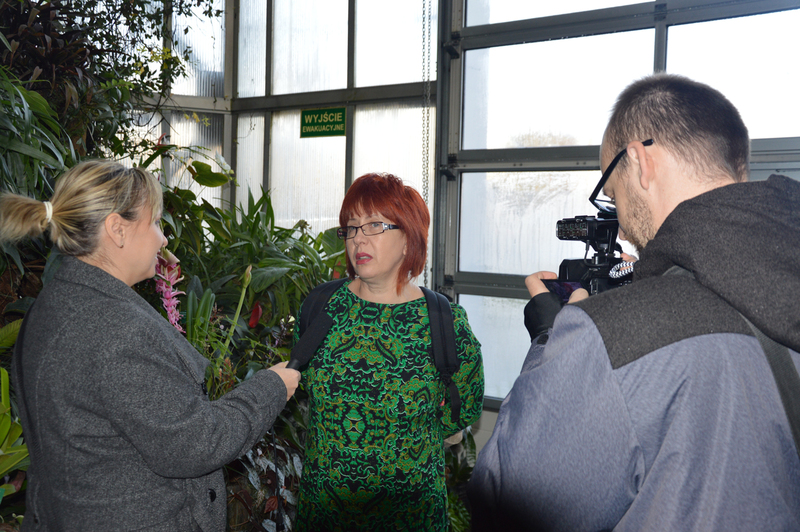 An article about the visit was published in the Lviv’s biweekly Kurier Galicyjski. 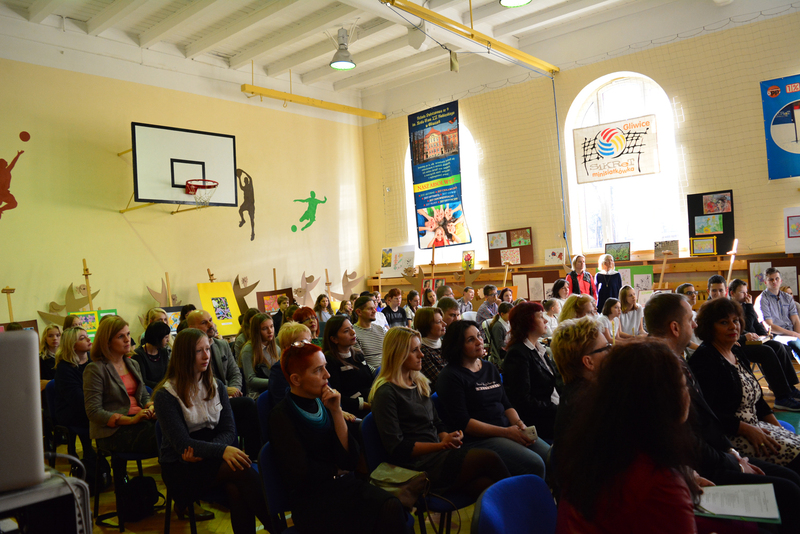 The whole event was attended by 240 persons in total. 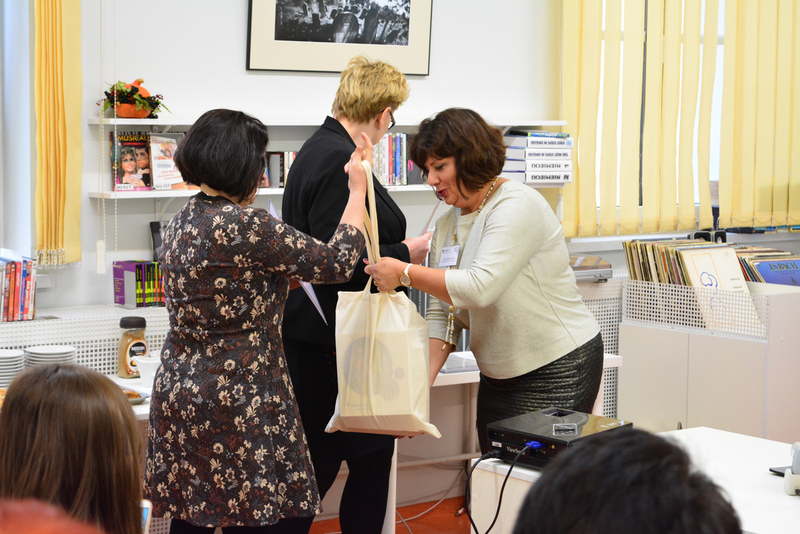 It was also an opportunity to hand over materials developed for the project, i.e. 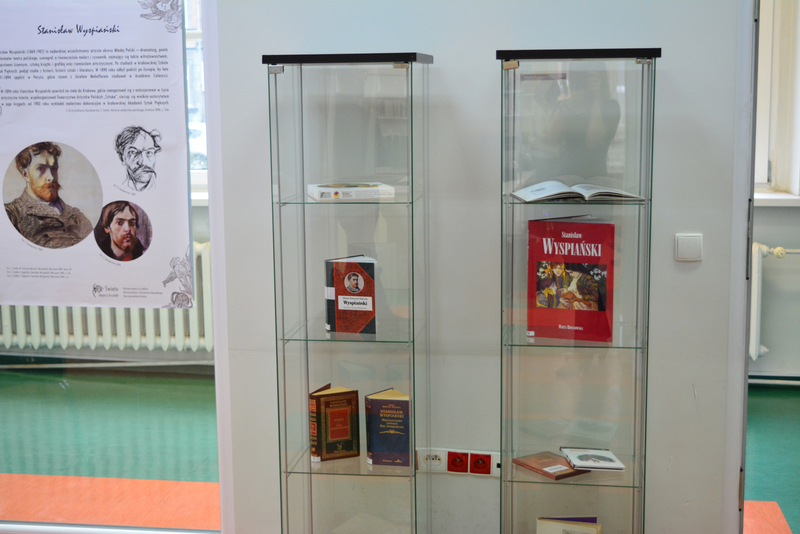 scenarios of lessons about the Stanisław Wyspiański’s works, exhibition catalogues, and board games. 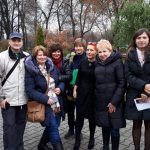 Lviv is a beautiful city where Polish group was welcomed warmly and with openness. 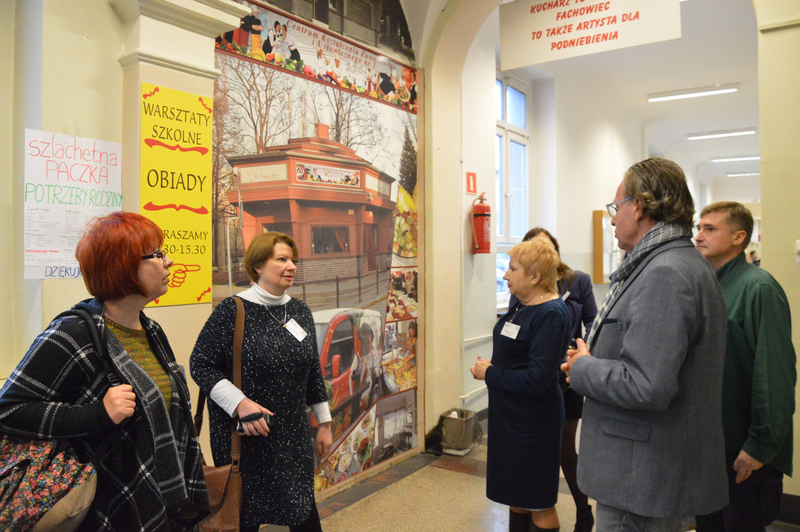 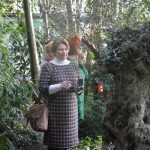 The Organisers emphasise that the highest value of the visit was an opportunity to talk about Polish culture and art and mutual inspiration. 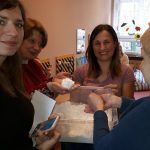 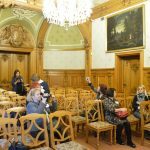 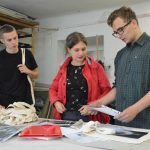 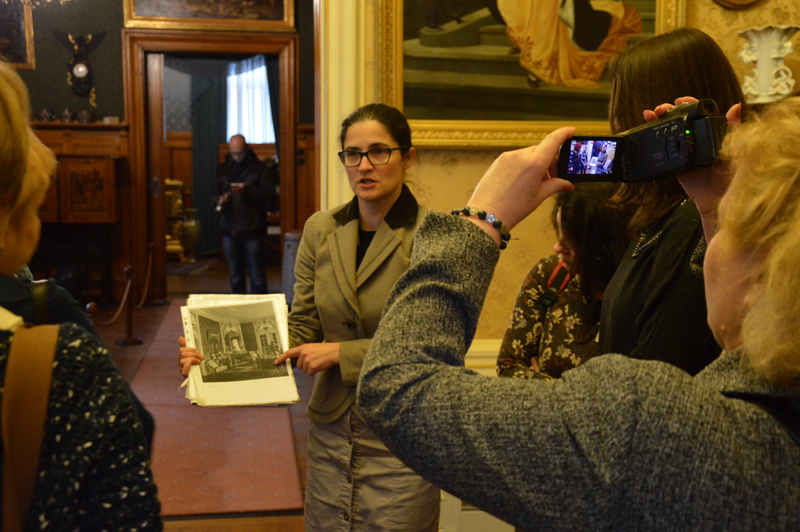 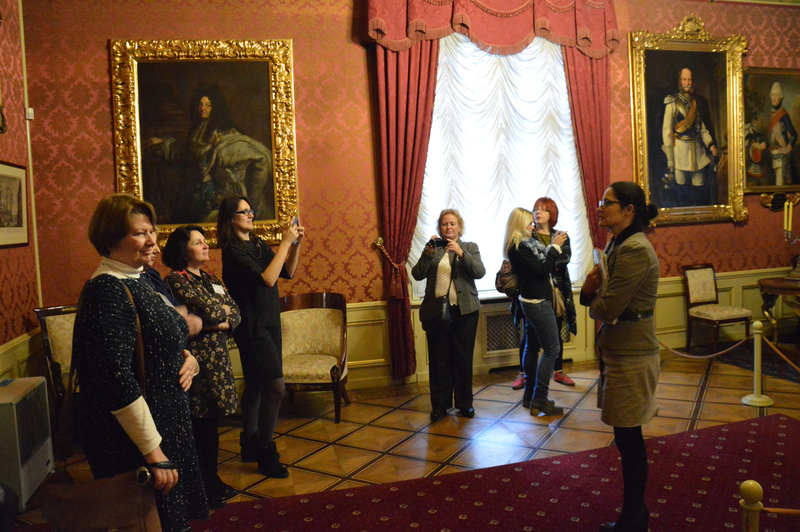 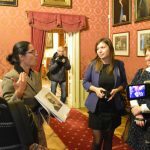 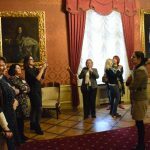 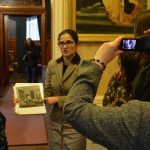 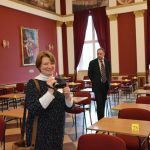 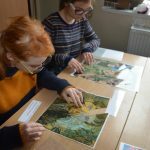 The You Give the World a Shape project, including the study visit in Lviv, is co-financed from the funds of the Minister of Culture and National Heritage of the Republic of Poland and the Gliwice City budget. 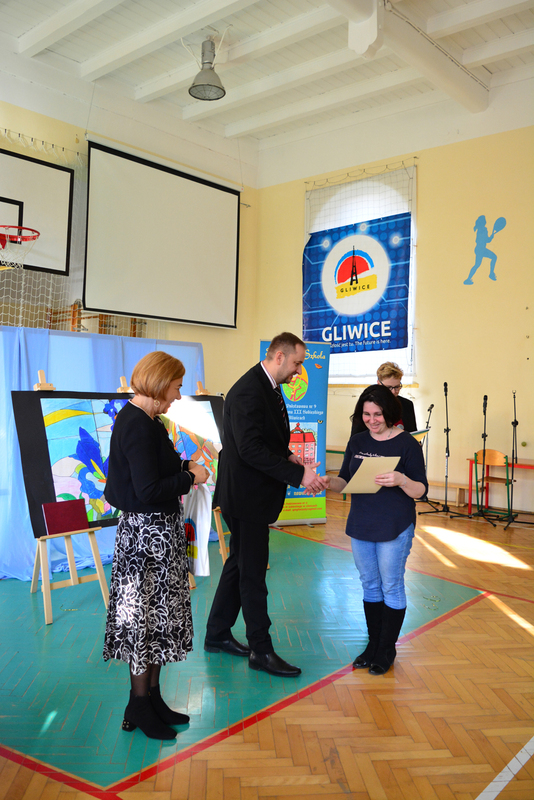 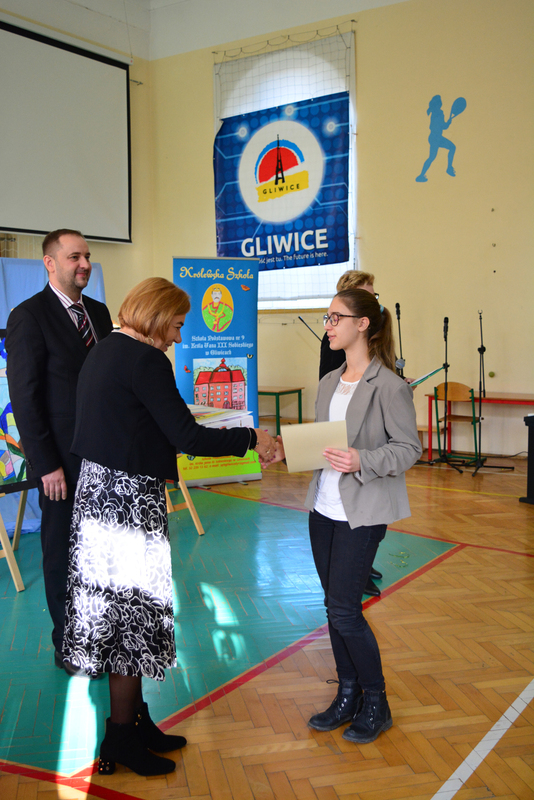 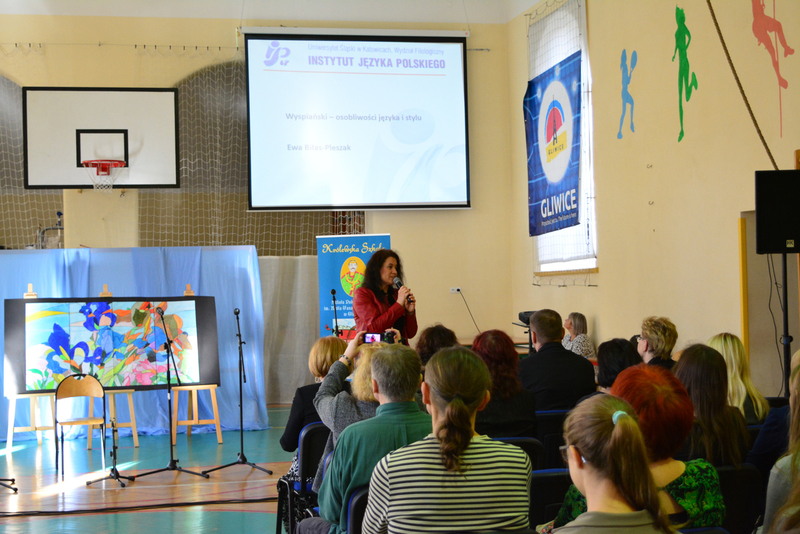 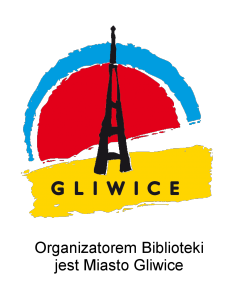 In Gliwice, it is supported by 11 partners, in Ukraine it is joined by 32 institutions.